Spring Fling is in full swing! What a great day at Crawford Elementary! 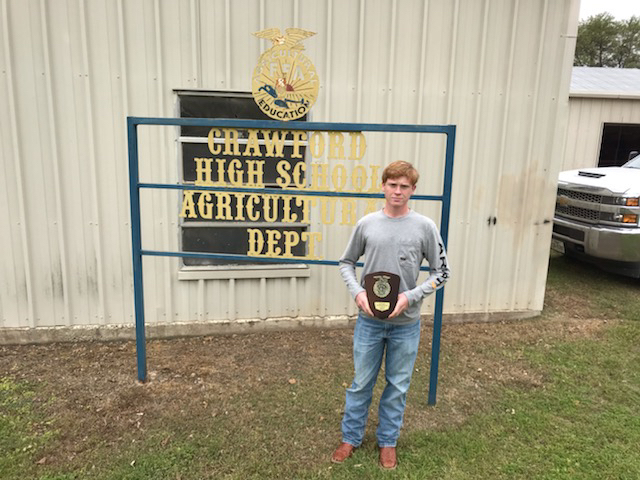 Crawford FFA Dairy Cattle team placed 2nd in District and 6th in Area. They missed going to the state contest by one place. 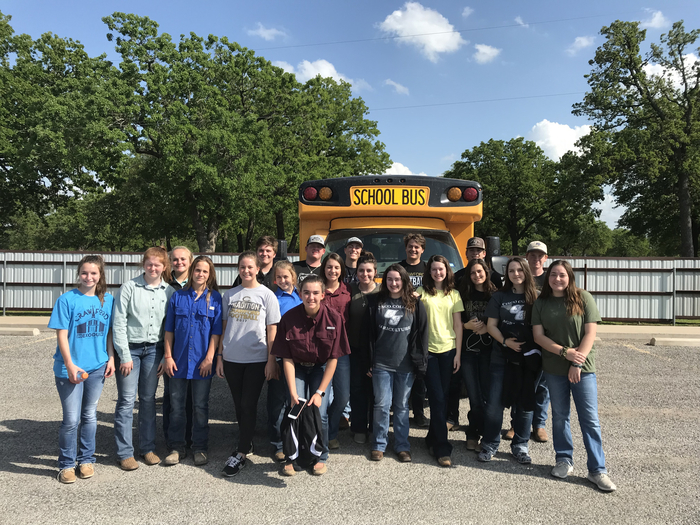 Homesite team placed 3rd in district and the Poultry team placed 2nd in district. Congratulations to all the teams! Congratulations to the Ag. Mechanics team who finished 1st in District and in Area! Mason Perry was 2nd high individual, Luke Brookshire 4th high individual, Trey Lacina 7th high individual and Cooper Gohlke was 10th. The team will advance to the State Contest! 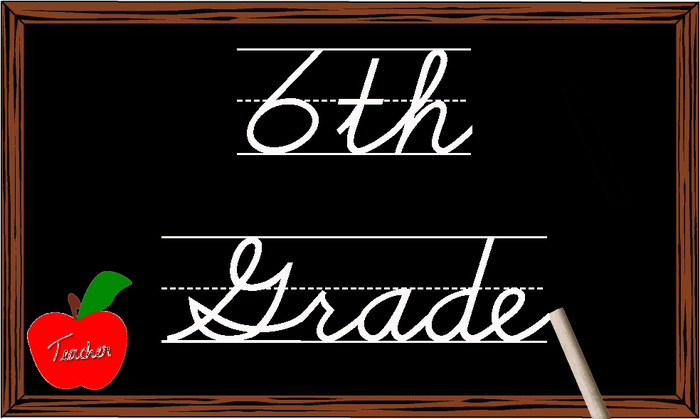 6th grade needs to report to the elementary in the morning, NOT to the high school. This change is due to the Elementary Spring Fling that will be taking place tomorrow. Congratulations to our 3 UIL Participants who medaled at the Regional Meet at Panola College in Carthage this past weekend! 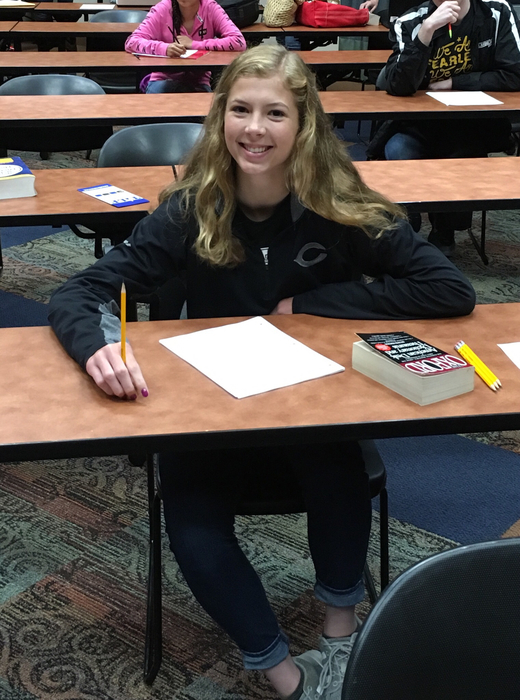 Lily Norcross placed 1st in Spelling and Vocabulary and will be advancing to the State Meet that will be held in Austin on May 4th! Will Browning placed 4th in Science and Brianna Downie placed 4th in Persuasive Speaking. The baseball game this Friday with Bosqueville has been moved up to noon (Varsity only) in Bosqueville. Congratulations to Coach Heidi Elmore!!! She was named a TABC (Texas Association of Basketball Coaches) Assistant Coach of the Year! Congratulations on this well deserved honor! UIL Extemporaneous Speakers are getting ready to compete at Regionals in Carthage! Good luck to this team and all other Crawford students who are competing! Crawford ISD will have an Early Release next Thursday, April 18th. Elementary will release at 12:45 and High School at 1 p.m. 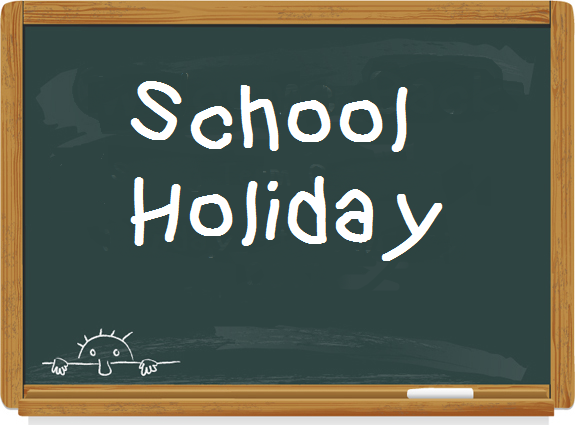 There will be no school on Friday (April 19th) or on Monday (April 22nd). Happy Easter! Spread the Word! 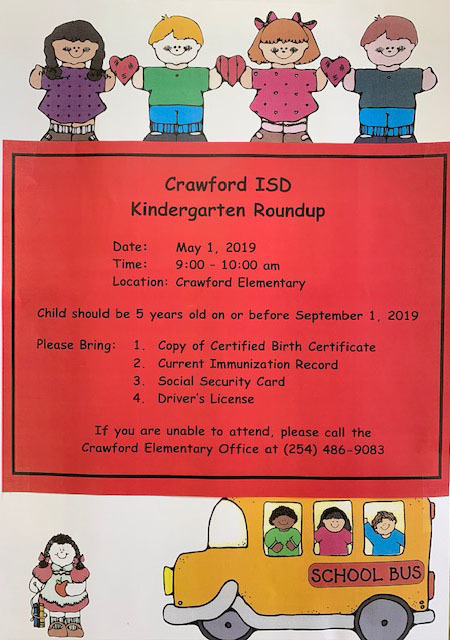 Kindergarten Roundup is May 1st from 9 - 10 a.m. at Crawford Elementary! 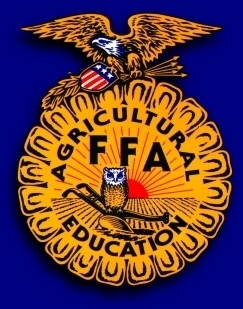 FFA Banquet will be held May 2nd in the High School Cafeteria. 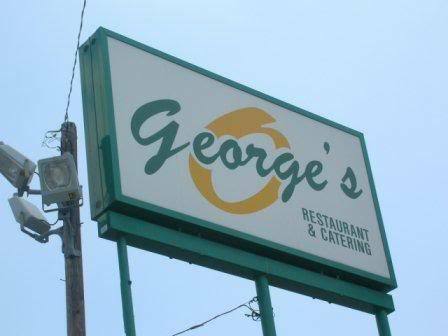 BBQ meal starts at 6:30 p.m. Support Crawford FFA and help celebrate their many accomplishments they have had this year! RSVP by May 1st to Mr. Hunter via email ahunter@crawford-isd.net or by phone 254-486-2381. 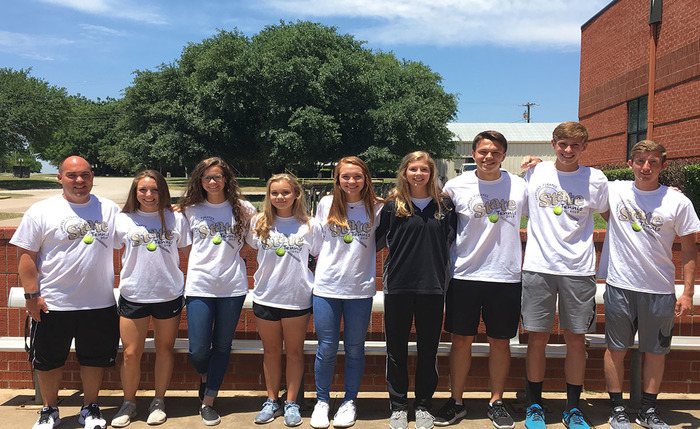 Good Luck to our Pirates & Lady Pirates who are competing today and tomorrow in the Regional UIL Meet at Panola College in Carthage! 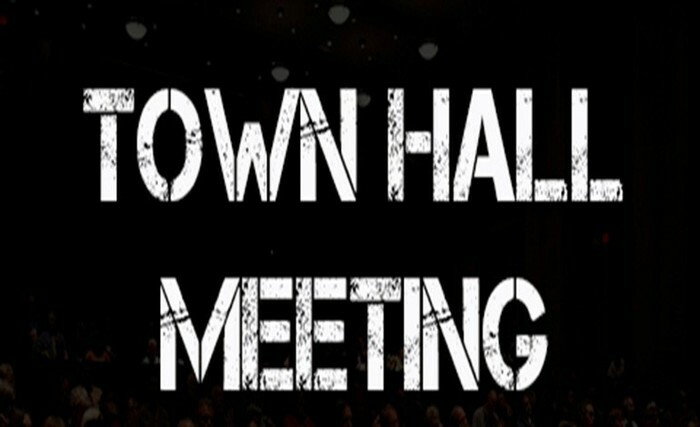 Town Hall Meeting will be held tonight at 7 p.m. in the High School Cafeteria! Attention seniors! 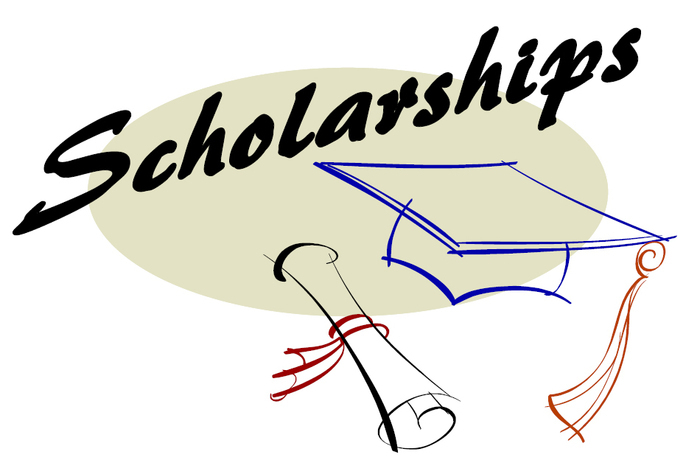 Local scholarship applications are due Monday, April 15, at noon. Please note: Late applications will not be accepted. Next Tuesday's Varsity softball game has been moved to Monday night (April 15). JV will still play Lorena at 5 at home on Monday night followed by the Varsity game. Varsity will play Meridian at 7 p.m. Come out and cheer on the Lady Pirates as they celebrate Senior Night! Next weeks baseball game with Meridian has been moved up to Monday, April 15th, in Crawford. The game will start at 4:30. 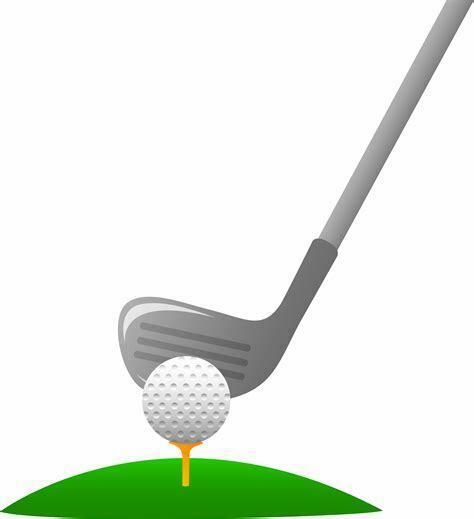 Congratulations to Crawford golf teams as both are advancing on to the Regional Golf Tournament! Great job to our Lady Pirates who are the District Champions! Parents! We have some big testing days coming up. 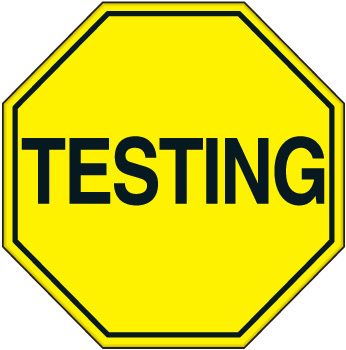 Crawford ISD testing schedule for this week: Tuesday April 9 - Grades 4 and 7 Writing, English 1 End-of-Course. Wednesday April 10 -Grades 5 & 8 Reading. Thursday April 11- Grades 5 & 8 Math. English 2 End-of-Course. Congratulations to the Jr. High Boys Track Teams! 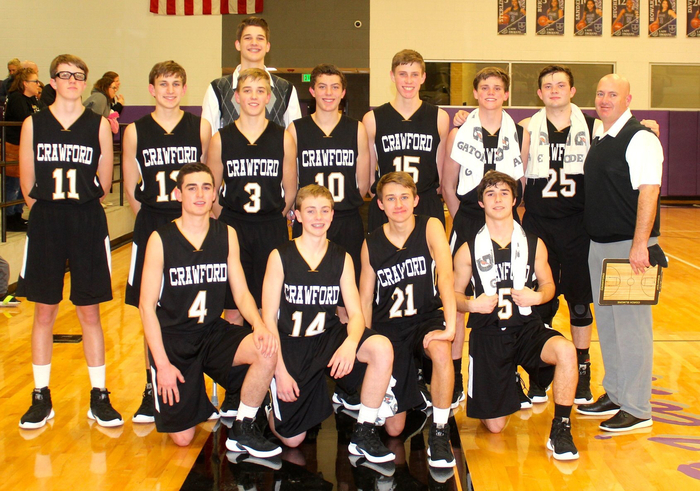 7th grade boys team won the District Championship and the 8th grade boys finished 2nd. Congratulations to both on a great season! Congratulations to the Jr. High Track Teams! 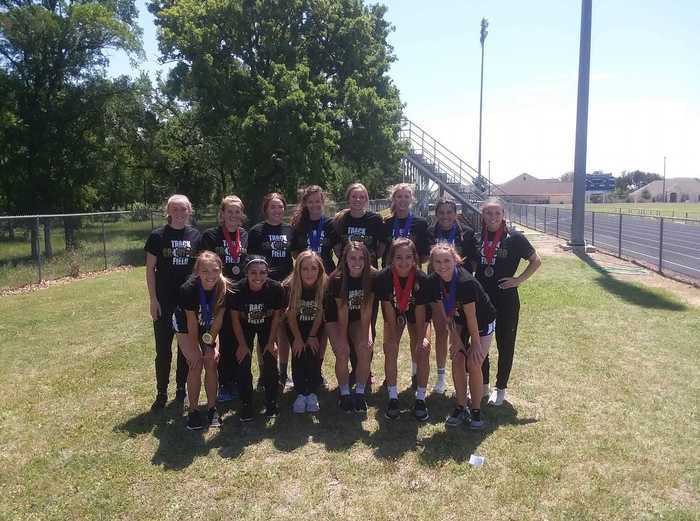 The 7th & 8th grade girls track teams are the 2019 District Champions! Great season Lady Pirates! Congratulations to Mason Perry who was 2nd. high in Ag Mech at Texas A&M! Congratulations to Crawford OAP Cast, Crew, and Directors! The season ended at Area but what a great year it has been! Individual Awards: Johnnye Parker received All-Star Cast! Kristin Bernhardt- Honorable Mention All-Star Cast and Carolyn Reynolds- All-Star Crew! 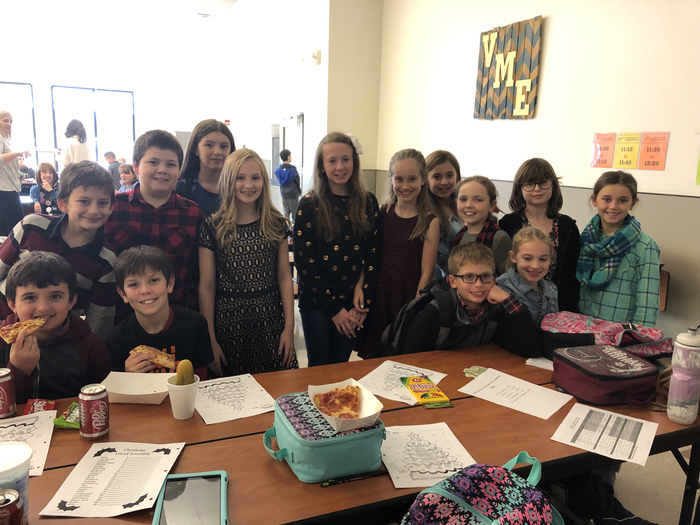 Congrats to all students who competed in the District UIL contest this last Saturday in Moody! 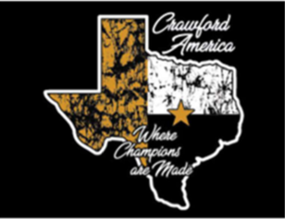 Crawford won 1st place so are now the UIL Champs for 5 years in a row! We also had 5 teams who finished 1st: Speech, Mathematics, Number Sense, Accounting, and Spelling Teams! OAP is ready and waiting! Curtain opens in 13 minutes at the Area Contest! Good luck!! 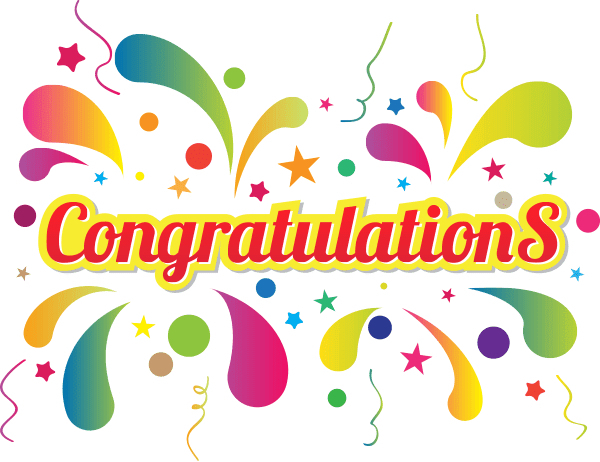 Congratulations to our students who are advancing to the Regional UIL Meet that will be held April 12-13 at Panola College in Carthage! Those advancing are: Grace Powell, Sarah Love. 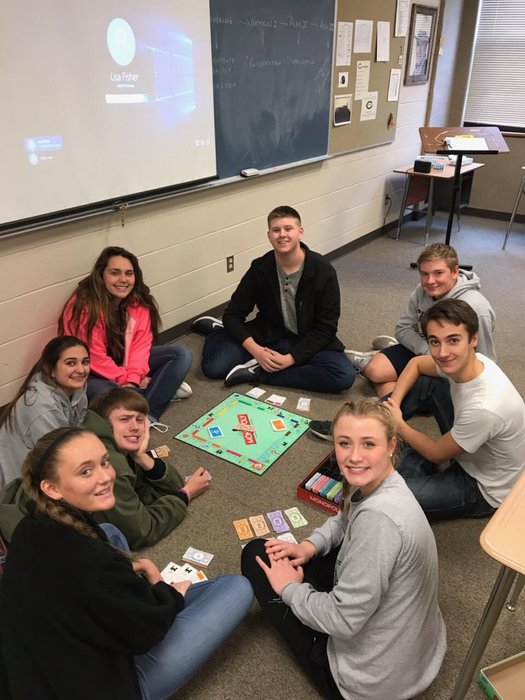 Peyton Elmore, Ana Maddox, Kendall Schuerg, Luke Westerfield, Kaleb Donald, Weston Metayer, Brianna Downey, Colby Plemons, Jazmine Salazar, Stephen Weatherman, Blaine Hyland, Ty Hilliard, Sean Donaghe, Kourtney Bernhardt, Lily Norcross, Taylor Westerfeld, Mackensie Wiethorn, Liizleidy Velasquez, Jaelyn Lewis, Courtney Allen, Will Browning, and Anne Williams. 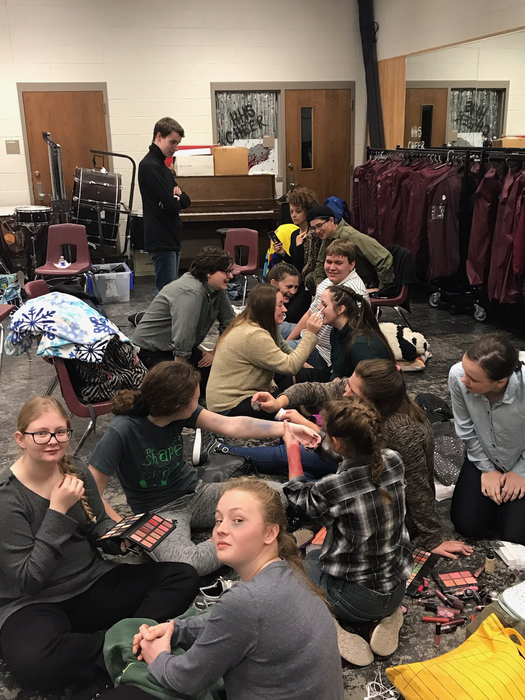 Crawford One Act Play is getting ready for competition in the Area Contest! Good luck this morning to Crawford OAP Cast, Crew, and Directors! 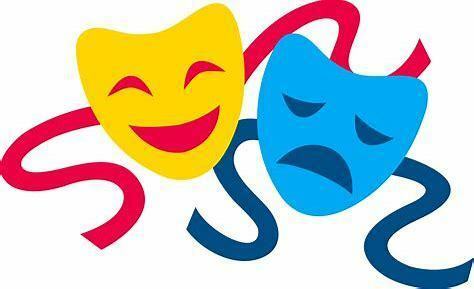 Good Luck to OAP as they compete today in the Area Contest at Hillsboro High School! Curtain will go up on Crawford's play at 11 a.m. this morning! Results will be announced later tonight. Ag. Mechanics team placed 2nd at the Cisco College contest! Luke Brookshire was 2nd hIgh individual and Mason Perry was 3rd high individual! Congratulations to Camille Ward! 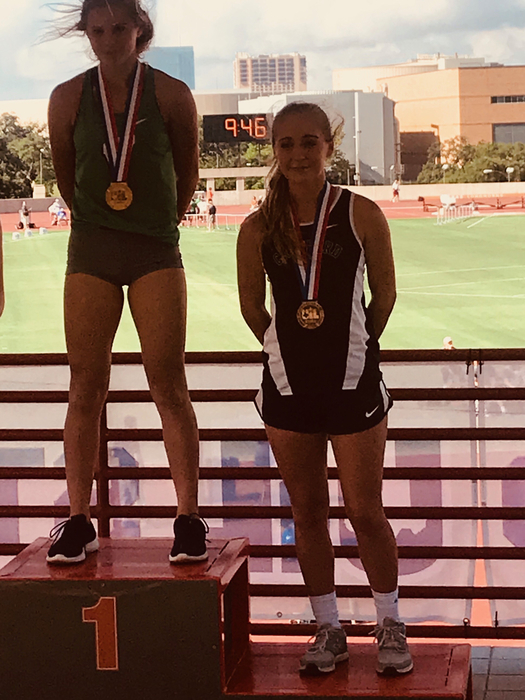 She placed 2nd at the Texas Relays this weekend in the pole vault. She broke her own school record twice along the way. Cleared 12'6" which is her all time best! 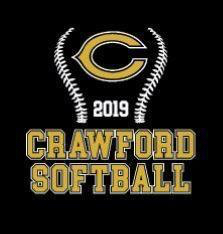 DATE CHANGE: The 3rd annual Crawford Softball Alumni Game is Sunday, April 14th. Beginning at 6 p.m. in front of the High School there will be a short ceremony to dedicate the 2012 and 2014 state championship monuments! Alumni game will start at 6:30pm at Pirate softball field followed by a small reception. Please spread the word so we can have as many past players present as possible. 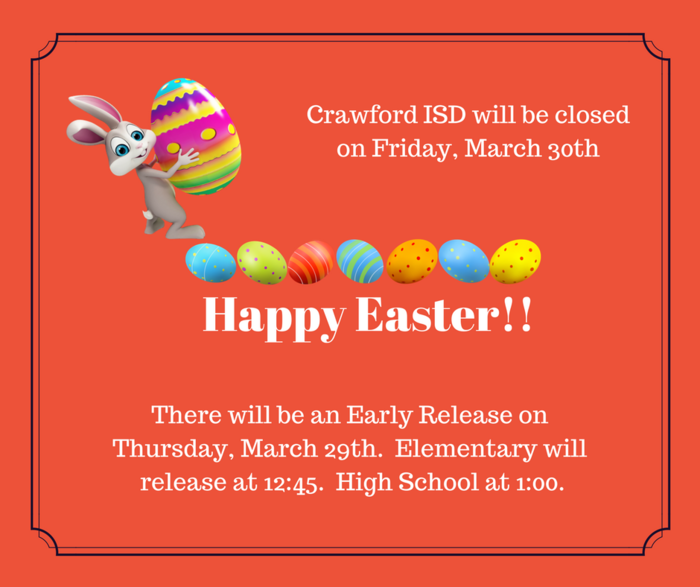 Crawford ISD will have an Early Release on Thursday, April 18th. Elementary will release at 12:45 and High School at 1 p.m. 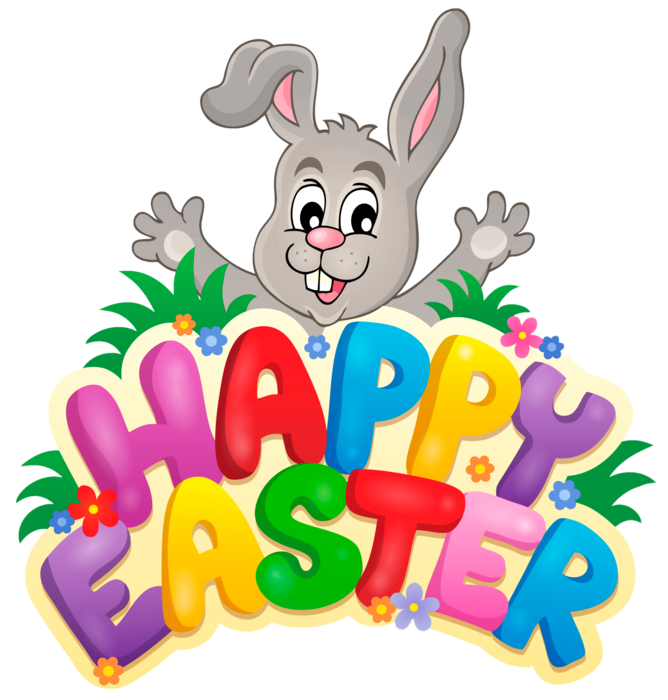 There will be no school on Friday (April 19th) or on Monday (April 22nd). Happy Easter! 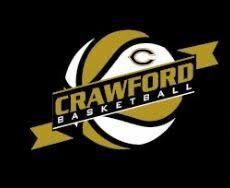 Support Crawford Athletics! Only 400 tickets will be sold..contact any Booster Club Member to get your tickets today! Please Note: Enrollment paperwork for dual credit is due by Monday, April 1st. 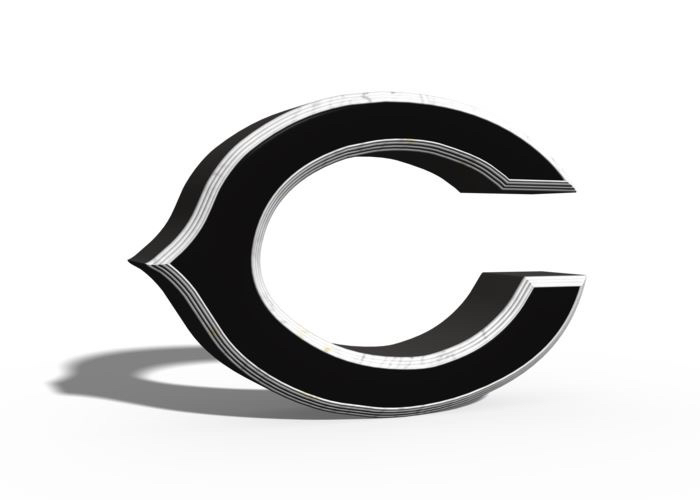 Crawford ISD has a job opening for a Band Director. This position will work with students in grades 6 - 12. 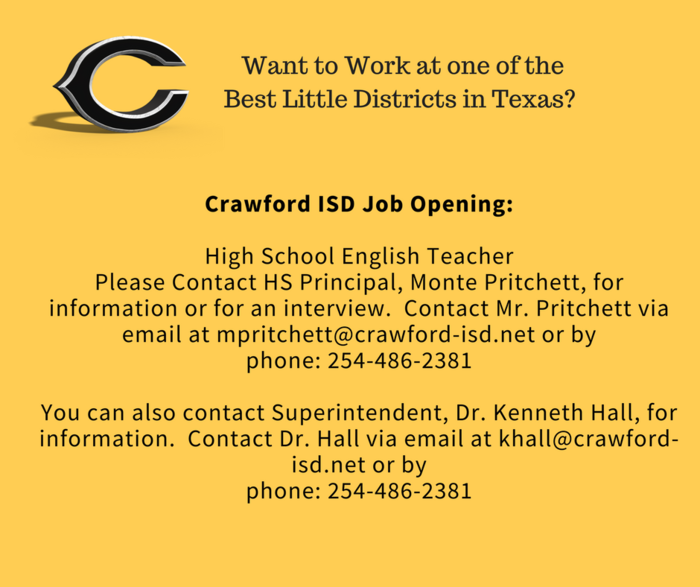 To apply or for more information please contact High School Principal Monte Pritchett at mpritchett@crawford-isd.net or by phone at 254-486-2381. Congratulations to Hogan Hall for being selected to the THSCA Academic All-State Basketball Team! 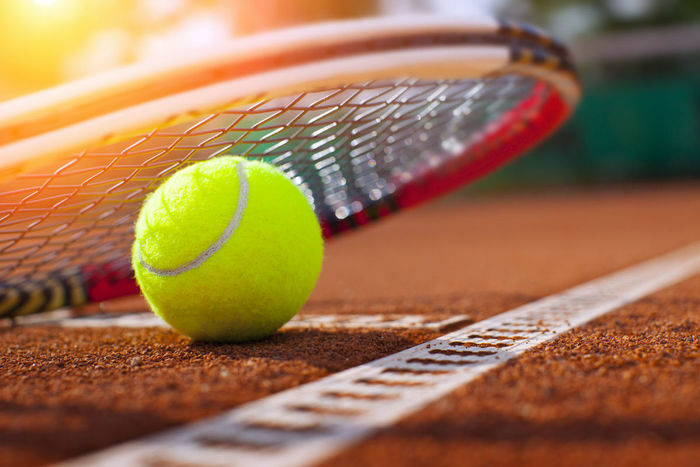 Good luck to those who will be competing in day 2 of the District Tennis Tournament tomorrow. All 7 still have a chance to qualify for Regionals! 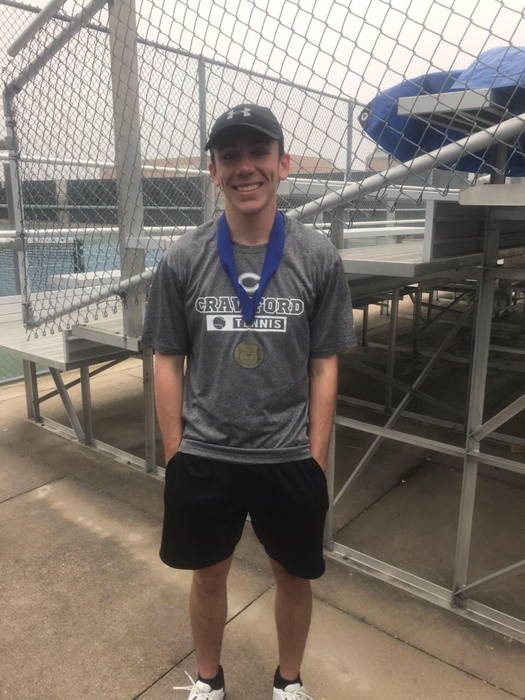 Hogan and Dakota are in the Boys Doubles Championship, Karson and Taylor are in the Mixed Doubles Championship, Blair and Anne are in the Girls Doubles Championship, and Dalton is in the Boys Singles 3rd place match. Please Note: Elementary Spring Pictures will be taken tomorrow. Congratulations to our Pirates who were named to the Super Centex Boys Basketball Team! 1st Team: Cole Reid (only Freshman listed on 1st Team). Honorable Mention: Tate Abel. Congrats to our Lady Pirates who were named to the Super Centex Girls Basketball Team! 1st Team: Anne Williams. 2nd Team: Ana Maddox. Honorable Mention: Makenzie Dunbar, Hannah Morton, and CeCe Villa. Congratulations again to Seth!! 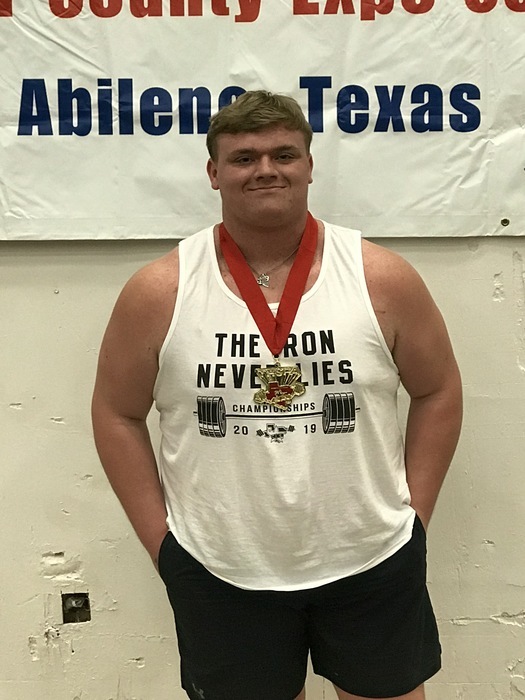 Seth Kohlscheen won the SHW class in Division 3 at the boys state powerlifting meet held this past weekend in Abilene. Seth dominated his opponents winning by a whopping 100 pounds over his nearest competitor. His lifts were as follows: Squat - 760, Bench - 435, Deadlift - 605. His overall total was 1800. Seth reclaimed his title from last year. On top of that, Seth also was selected to receive the THSPA scholarship worth $1000. 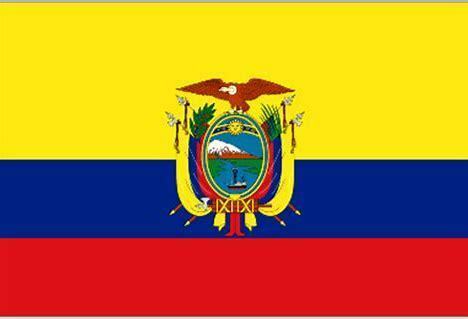 Please note: The meeting scheduled for tomorrow night regarding the Ecuador/Galapagos Island Trip has been cancelled. It will be rescheduled at a later date. 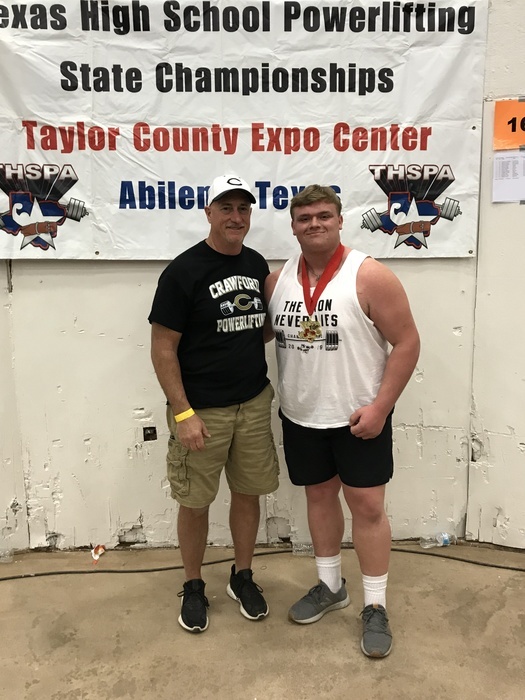 Congratulations to Seth on his second State Championship in Powerlifting! Parents of Elementary Students: WE NEED YOUR HELP! If your child is picked up in the car line please make sure you have the sign with your child's name visible. Must be visible when you first enter the car line so the teachers can place students where they need to be lined up! Thank you for your help in keeping our students safe and for helping us maintain an orderly process during pickup! 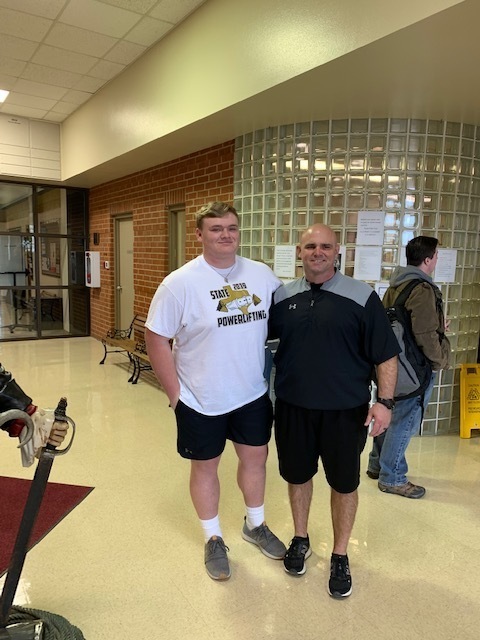 Congratulations and Good Luck to Seth as he competes in the State Powerlifting Meet in Abilene tomorrow! 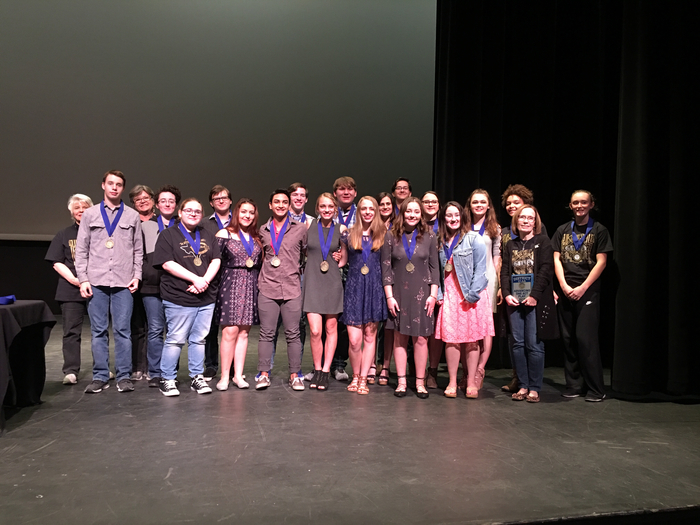 Congrats to our Pirates and Lady Pirates who received individual awards tonight at the Bi-District OAP Contest! All Star Crew: Tristan Johansen. 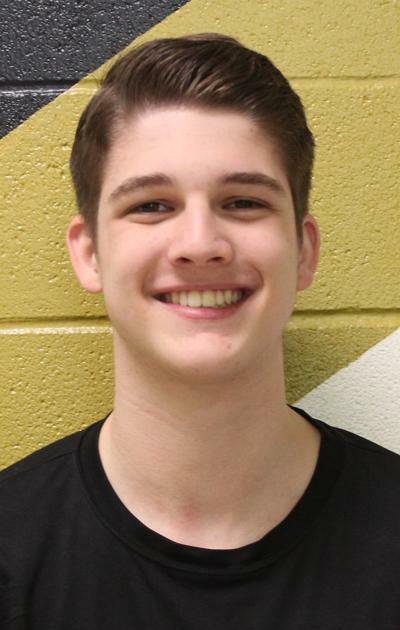 Honorable Mention All-Star Cast: Luke Westerfield. All-Star Cast: Johnnye Parker & Molly Augeri. 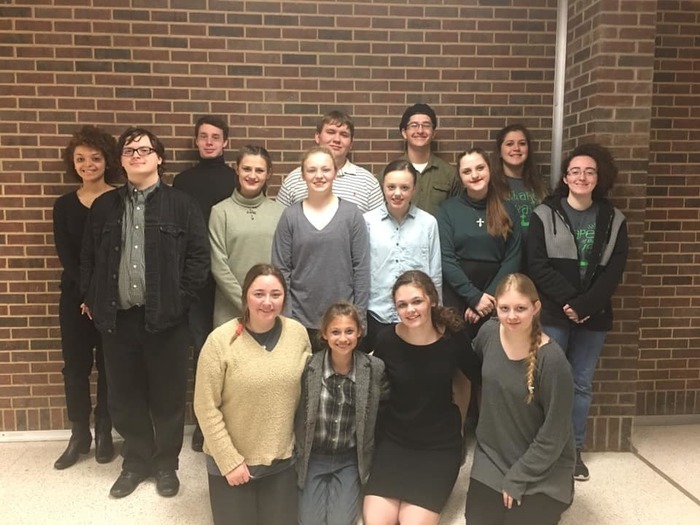 Congratulations to Crawford High School for advancing to the Area One-Act Play Contest that will be held on April 4th at Hillsboro High School! 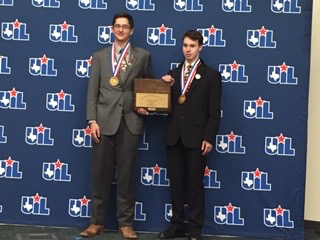 Congratulations to Luke Westerfield and Kaleb Donald who placed 3rd at the State Cross-X Debate Tournament in Austin today! 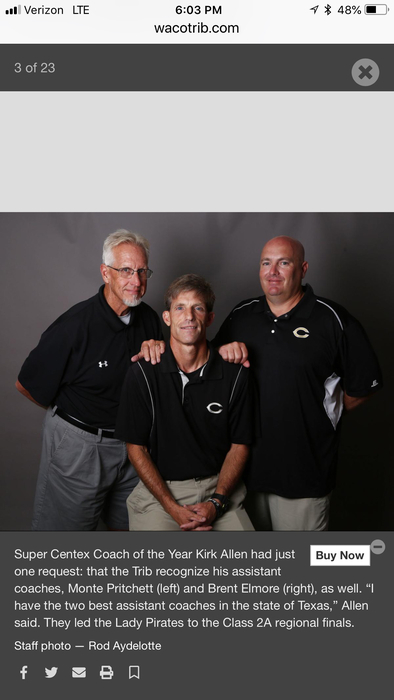 They are coached by Mrs. Walters. 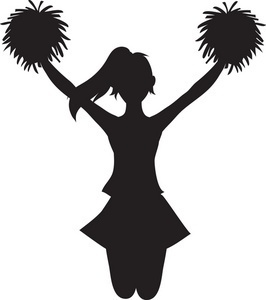 Congratulations to the following Lady Pirates who were recently named to the 2019-2020 Cheerleading Squad: Kelsey Compton, Jaelyn Lewis, Johnnye Parker, Emily Pearson, Kendall Schuerg, Haylee Carroll, Logan Connally, Shay Hyatt, and Kennadi Witt! Congratulations to our Lady Pirates and to Coach Abel who competed in the State Powerlifting Meet today! The team finished 5th overall. Kealey and Caieleigh both placed 2nd, Sadey got 4th and Kamryn 7th. Baseball game versus Valley Mills has been pushed back to 2:00 today in Valley Mills. 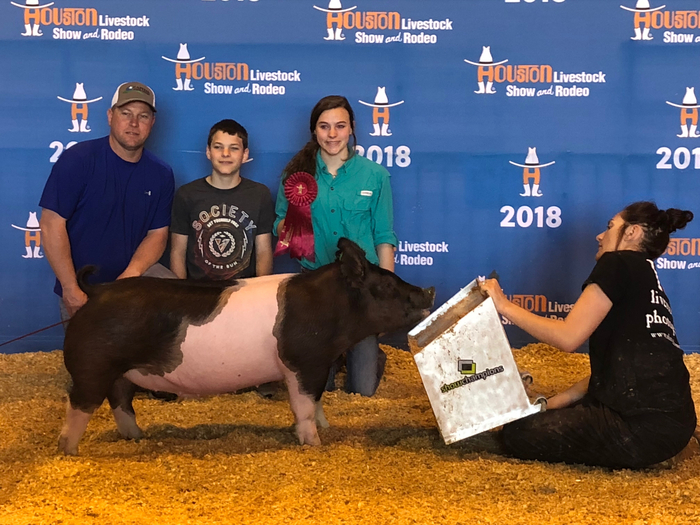 Cooper Gohlke had the Grand Champion Chester White swine at the Houston Livestock Show! Taylor Gohlke placed 9th in the light weight division . The baseball game with Valley Mills today has been moved to tomorrow at noon in Valley Mills. 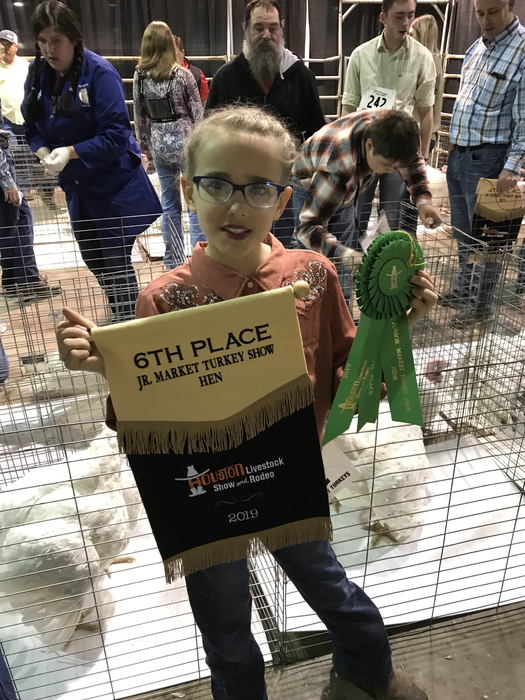 Congratulations to Megan Ray with her 6th place finish with her Turkey at the Houston Livestock Show! 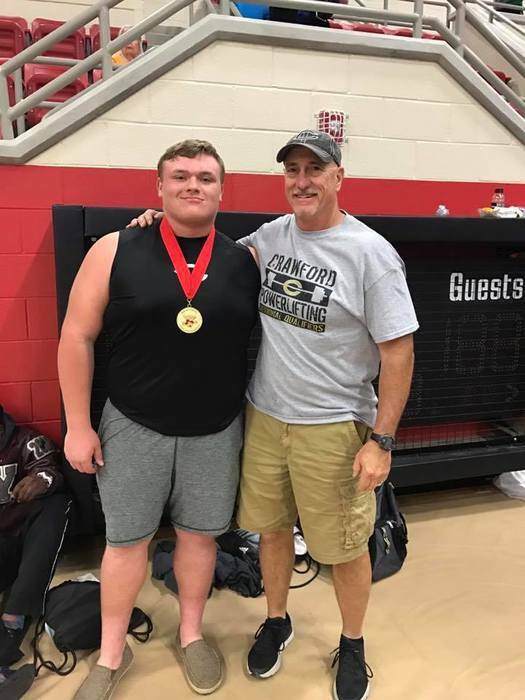 Seth Kohlscheen won the Super Heavyweight class at the regional powerlifting meet on Saturday in West! He broke 2 regional records. The squat record was 750 pounds, he squatted 800 pounds. The total record was 1800, he totaled 1820. His lifts were the following: Squat - 800, Bench - 410, Deadlift - 610. He also received the outstanding squatter award. 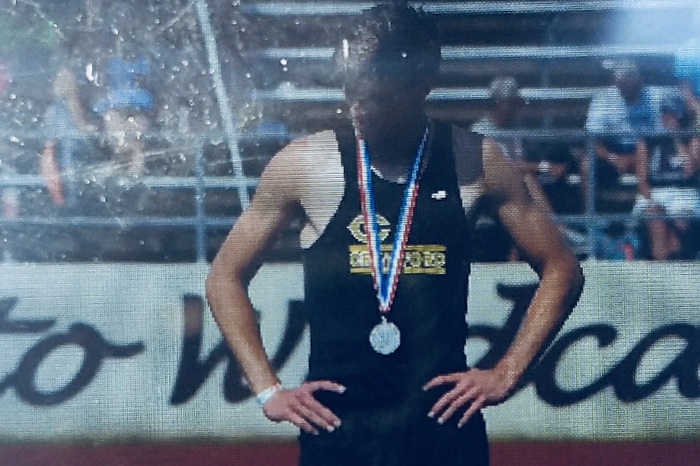 Seth will compete at the state meet on March 23 in Abilene. He will attempt to reclaim his state championship that he won last year! He is ranked as the #1 SHW in division 3 in the state. 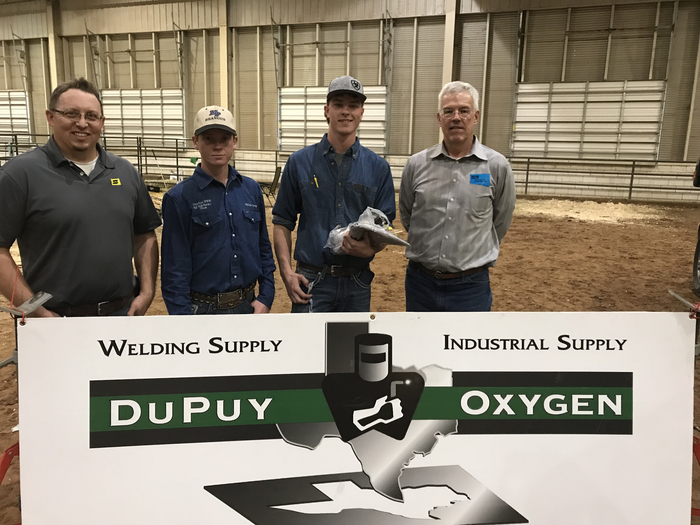 Congratulations to Mason Perry! 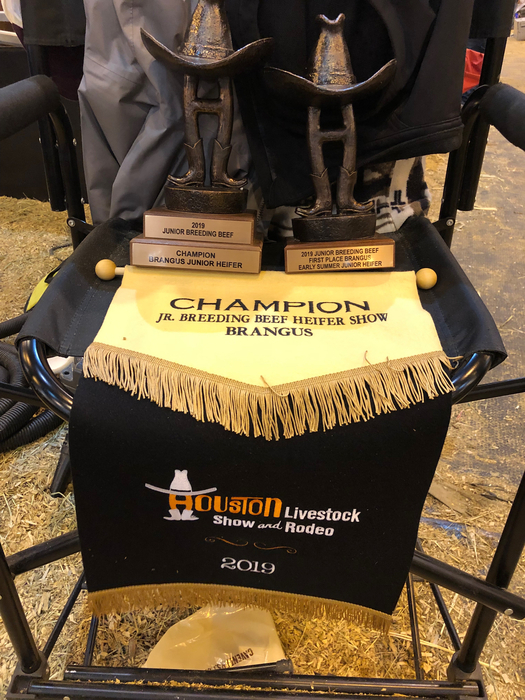 Grand Champion Brangus heifer at the Houston Livestock Show! 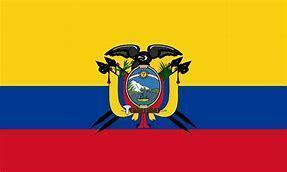 Ecuador/Galápagos Island Trip Interest Meeting will be held on Monday, March 25th @ 6pm in the High School Library. 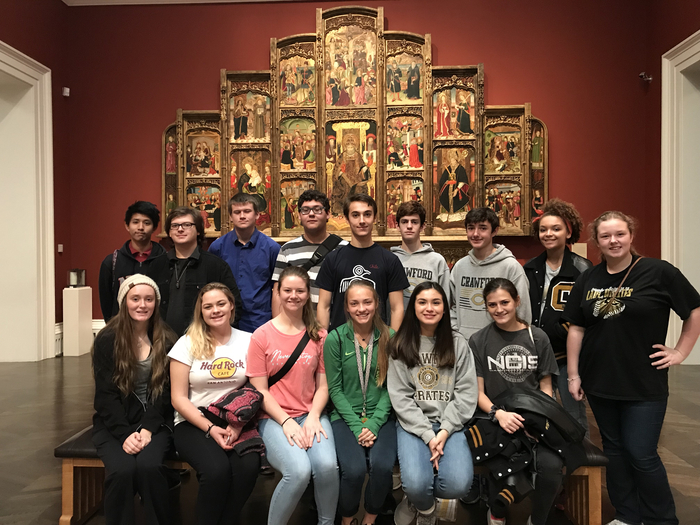 This trip is open to all current freshmen and sophomores and will be held Summer 2020! Congratulations to our Pirates who were named to All-District in Basketball! MVP: Tate Abel, Newcomer of the year: Cole Reid, 1st Team: Hogan Hall & Jed Whitney, 2nd Team: Josh Criss & Ty Williams, Hon. Mention: Tanner Merenda & Stephen Weatherman. 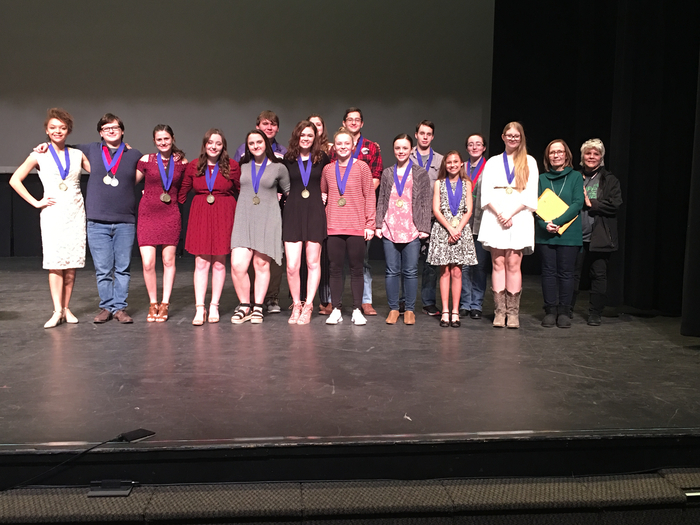 Congratulations to those who received District OAP Awards tonight: Johnny Parker was Best Actress, Ty Hilliard was All- Star Cast, and Carolyn Reynolds was All-Star Crew! Kristin Bernhardt and Madison Donald both received Honorable Mention All-Star Cast! 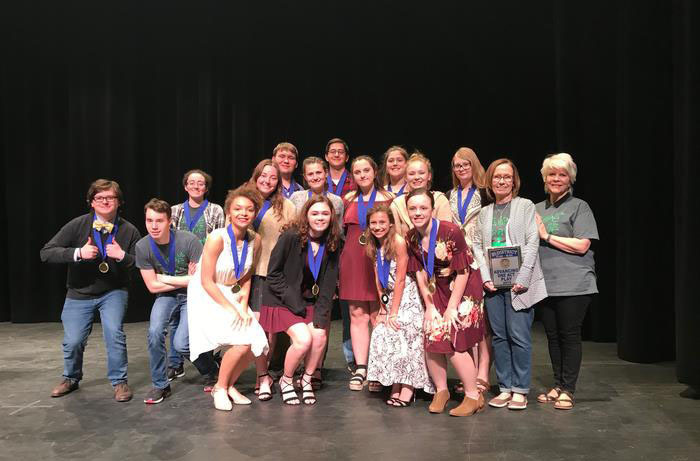 Congratulations to Crawford High School OAP as they are advancing to the Bi-District Contest! Tomorrow’s home baseball game vs Gholson will be at 4:00 instead of 4:30. The 85th Texas Legislature authorized, in Senate Bill 30, the Community Safety Education Act. All schools are required to have instruction for students on the proper interaction with law enforcement during traffic stops. Starting with the class of 2022, each incoming freshman class will be required to receive this instruction. Crawford ISD will be fulfilling this requirement by providing this to our current freshman class on Thursday, March 21st. Contact Monte Pritchett, CHS Principal, if you have any questions about this. 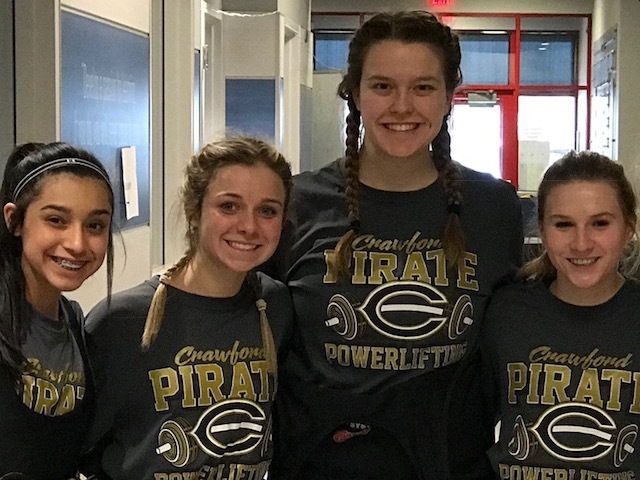 Congrats to our 4 Lady Pirates who qualified for the State Powerlifting Meet that will be held March 15th in Waco: Caieleigh D'Angelo, Sadey Paniagua, Kamryn Winget, and Kealey Witt! Kealey also set a new Regional Bench record of 170 in her weight class! 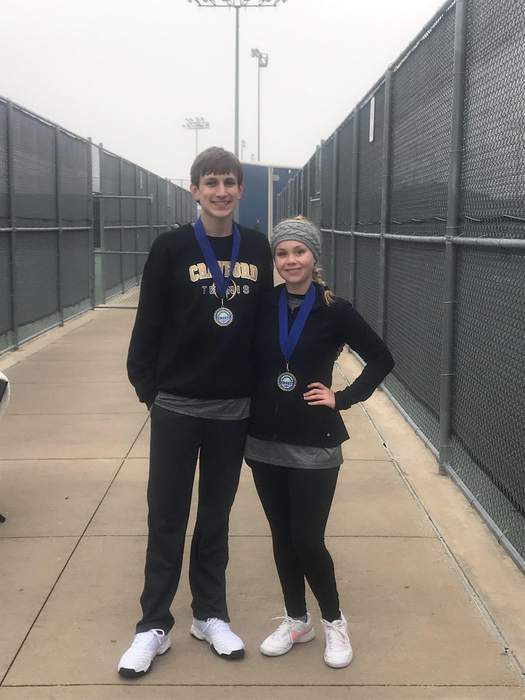 Congratulations to our 1st place winners at the Polar Bear Tennis Classic! 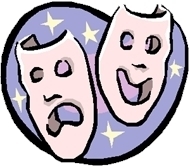 One-Act play community performance will be held tomorrow night, March 3rd, at 7:30 p.m. in the High School cafeteria. We are performing The Shape of the Grace by Laura Lundgren Smith, a drama about Northern Ireland during the mid 1970's. Good Luck to all of our Lady Pirates who are participating in the Regional Powerlifting meet that is being held today at Academy High School! 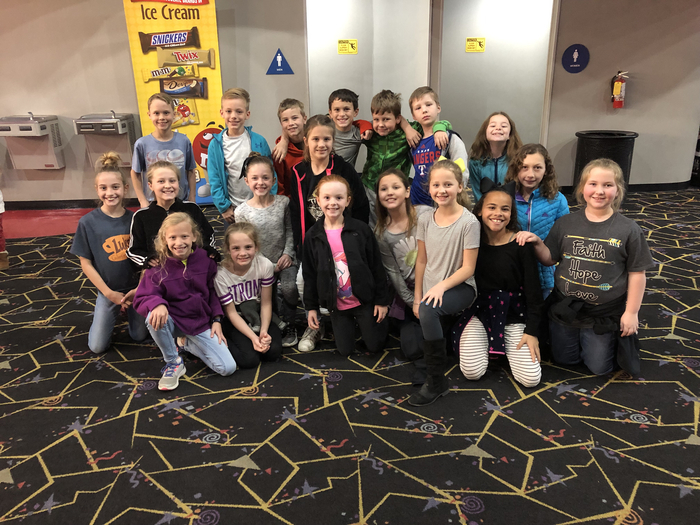 Lego Movie 2 was a big hit! Congratulations to all our Little Pirates who earned a spot at the AR Celebration for the 6 weeks. Crawford Elementary AR celebration is going on today. 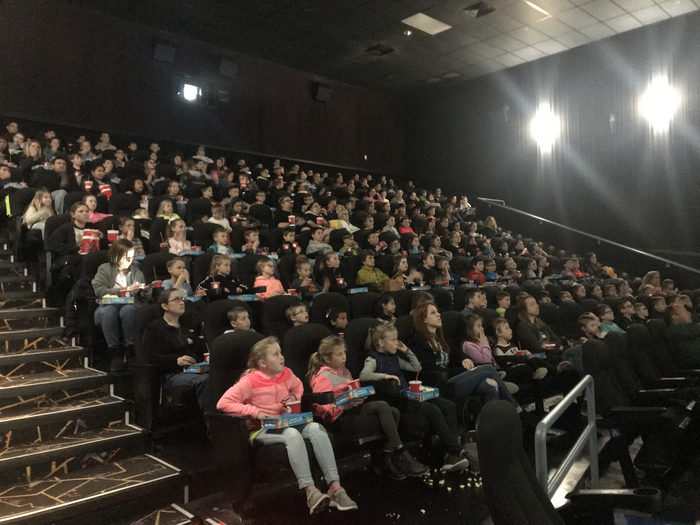 The buses transported lots of excited Little Pirates to see the Lego Movie 2! 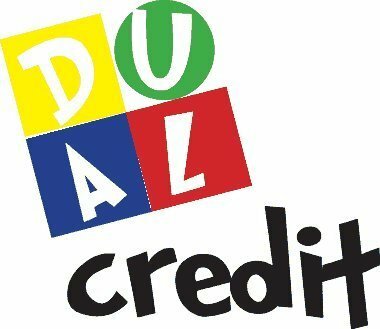 If you were unable to attend the dual credit meeting last night and your child wants to take any dual credit classes next year, please have them stop by Mrs. Allovio's office and pick up an enrollment packet. Enrollment forms are due by April 1,2019. 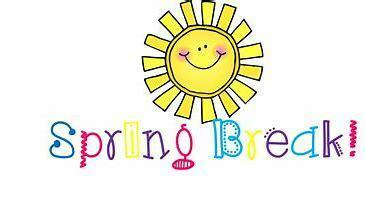 Here is a little something to cheer you up on this cold dreary day: After today, there are 6 more days of school before Spring Break! Crawford ISD will be closed March 11th - 15th! 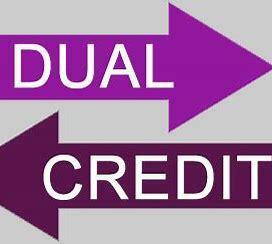 There will be a dual credit meeting this Wednesday, February 27th, at 6pm in the library. Only those parents of new dual credit students need to attend. 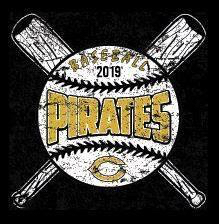 Crawford High School Baseball schedule change: Pirates will play tomorrow, 2/25, in Axtell at 6:00 instead of on Tuesday. Pirate season came to an end tonight with a 62-45 loss to Lovelady in the Area game. Congratulations to our Pirates on a great season! Please Note: Tomorrow’s Crawford Baseball Tournament is cancelled. Pirates will play Lovelady in the Area playoff game this Friday night at Buffalo High School at 7 pm. Go Pirates!! 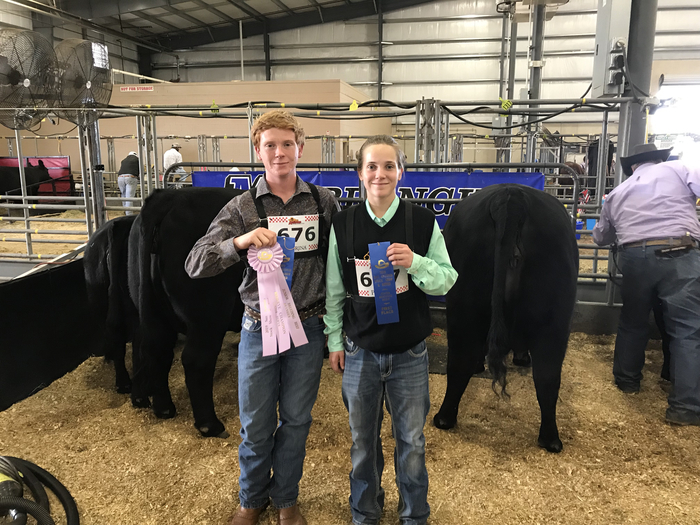 Taylor Gohlke placed 5th and Cooper Gohlke placed 10th in the Landrace division at the San Antonio Livestock Show! 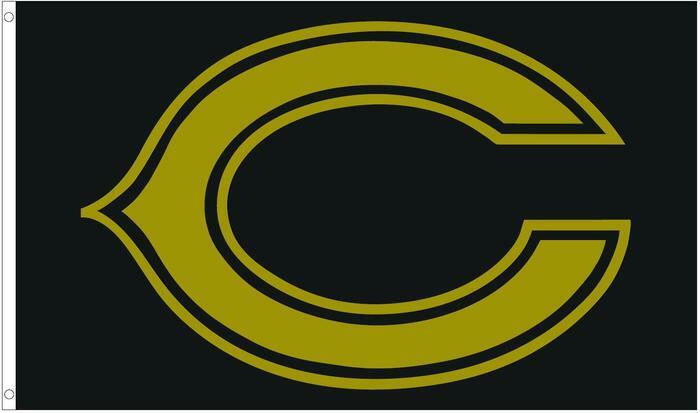 Please Note: Crawford ISD will be holding a site evacuation drill this afternoon. This drill is just one of the many things that the District is doing to ensure continued safety and security for our students and staff. 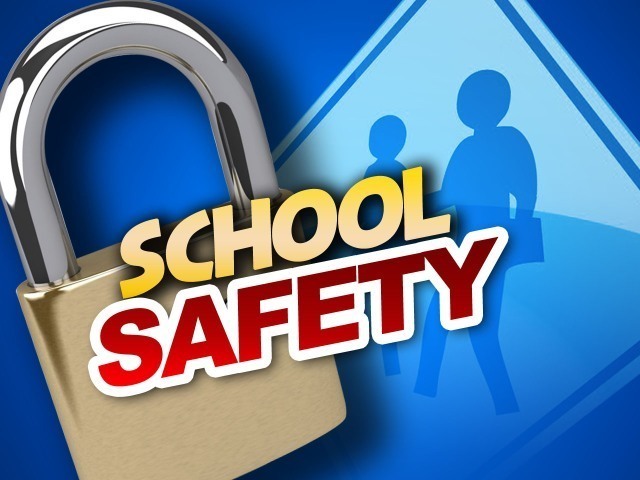 Crawford Elementary students will be bused to the middle school gym during the drill. Congratulations Pirates on the Bi- District win over Hubbard tonight with a score of 52 -27! 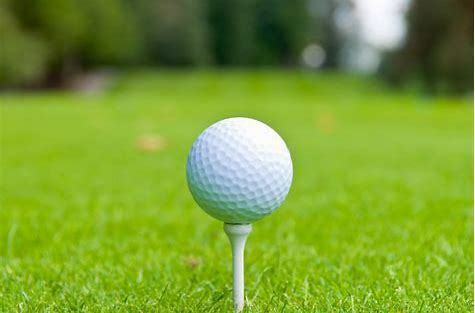 Information on next playoff round will be posted soon. Congratulations to our Lady Pirates who have qualified for the Region 2 - Division 3 Regional Powerlifting meet that will be held at Academy High School on March 2nd:Sadey Paniagua, Sally Love, Kealey Witt,Caieleigh D'Angelo, Erica Ivey, and Kamryn Winget! Please Note: Crawford ISD will be holding a site evacuation drill tomorrow afternoon. This drill is just one of the many things that the District is doing to ensure continued safety and security for our students and staff. 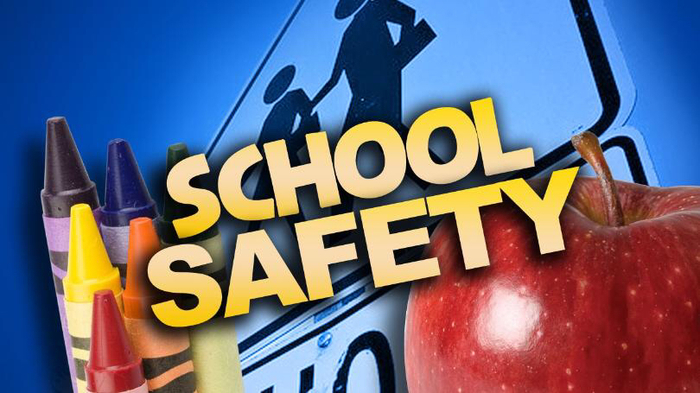 Crawford Elementary students will be bused to the middle school gym during the drill. 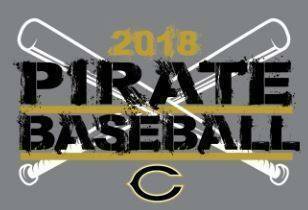 Pirates Bi-District game is tonight at 7 pm vs Hubbard. Game will be played at University High School in Waco. Come out and support your Pirates! Be Loud! Be Proud! Mason Perry- 1st. and reserve champion division. Megan Perry 1st. 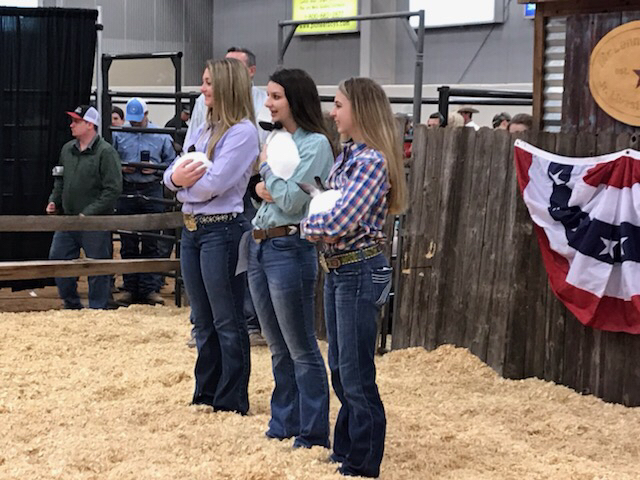 division 3 in Brangus show at San Antonio! Congratulations to both! Pirates Bi-District game will be tomorrow night at 7 pm vs Hubbard. Game will be played at University High School in Waco. Come out and support your Pirates! Be Loud! Be Proud! Lady Pirates season ended tonight in the Area Round of playoffs. Congratulations on a great season! 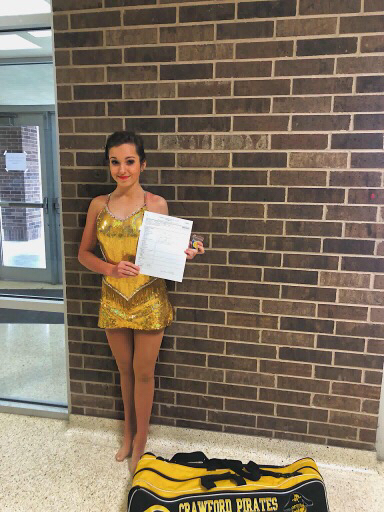 Molly Green received a 1 - Excellent rating at UIL TWIRL competition last Saturday. She will compete at State, representing Crawford High School in June! 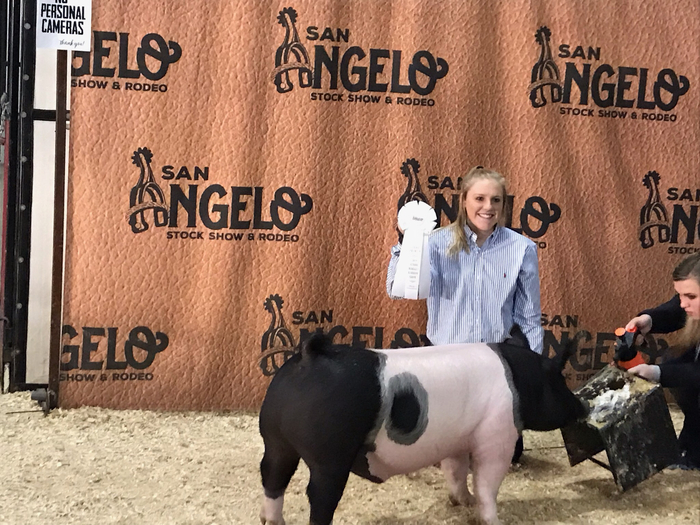 Congratulations to Taylor Gohlke with her 3rd place cross swine at San Angelo! 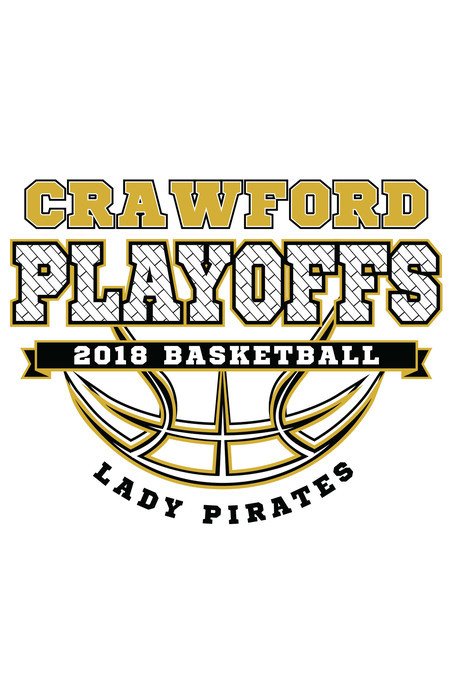 Lady Pirates Area Round Basketball game will be this Friday (Feb.15) at 6:00pm, at Leon HS, vs Lovelady. Make plans now to go out and support your Lady Pirates! Congratulations Lady Pirates! Bi-District Champions with a 59-32 win over Wortham! 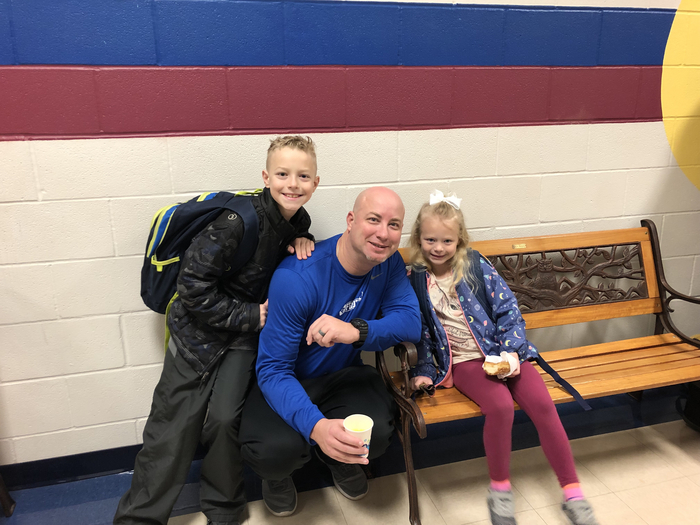 Donuts with Dad was a big hit this morning and a great way to kick off the day at Crawford Elementary! 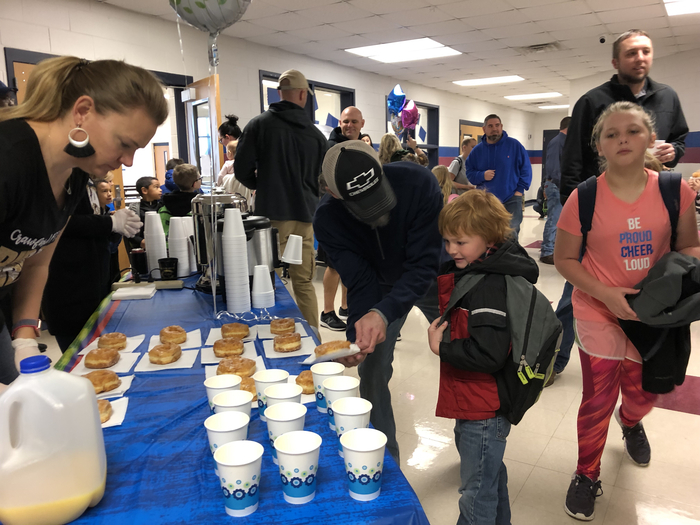 Thanks to Crawford PTO and all the dads who made this morning so special for our little Pirates! Congratulations to the Crawford Pirates and Lady Pirates who were selected to the 2019 Victory Bowl Games! An important parent meeting regarding the MCC Dual Credit program will be Wednesday, Feb. 27th at 6:00 pm in the high school library. Parents of first-time dual credit students are encouraged to attend. Students may attend with parents if they would like to. An MCC representative will present information on the application process, TSI assessment, courses available, and other topics. 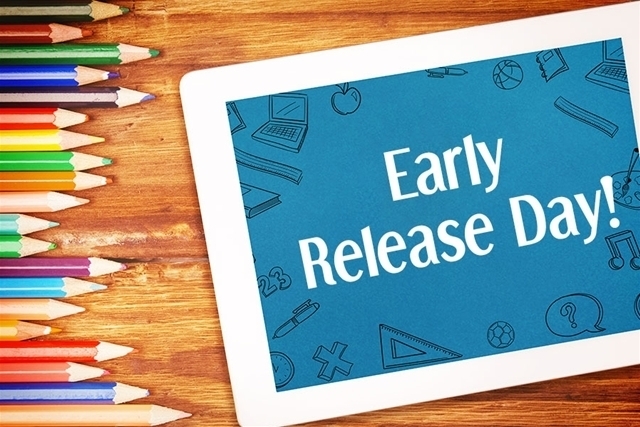 Upcoming Early Release & Holiday: Crawford ISD will have an early release on Friday, February 15th, so staff can go through the required STAAR testing training. Elementary will dismiss at 12:45 and High School at 1 p.m. The district will then be closed on Monday, February 18th. Lady Pirates Bi-District game vs. Wortham will be held at University High School at 7:30 pm on Tuesday night. Crawford is home team. Make plans to come out and BE LOUD and BE PROUD and help cheer on your Lady Pirates! 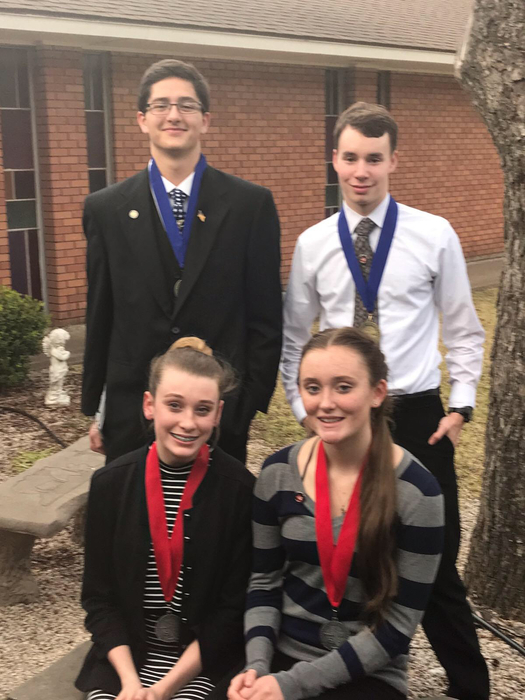 Luke Westerfield and Kaleb Donald received 1st place team and Brianna Downie and Kendall Schuerg received 2nd place team at the District Cross-X Debate Meet Monday held at the First Baptist Church in Crawford...Luke Westerfield was Top Speaker...they are coached by Mrs. Walters..Both teams will be headed to State Competition in March! 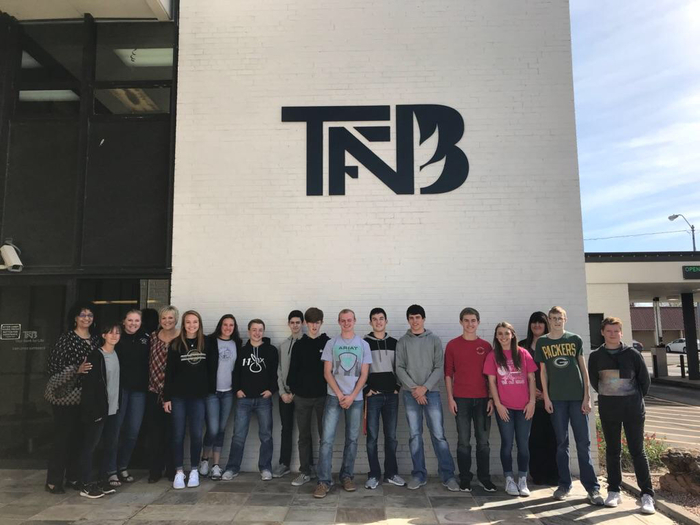 Mrs. Fisher's Principle of Business and Business Law classes took a field trip to the First National Bank in McGregor this morning and finished it off with lunch at the Coffee Shop! 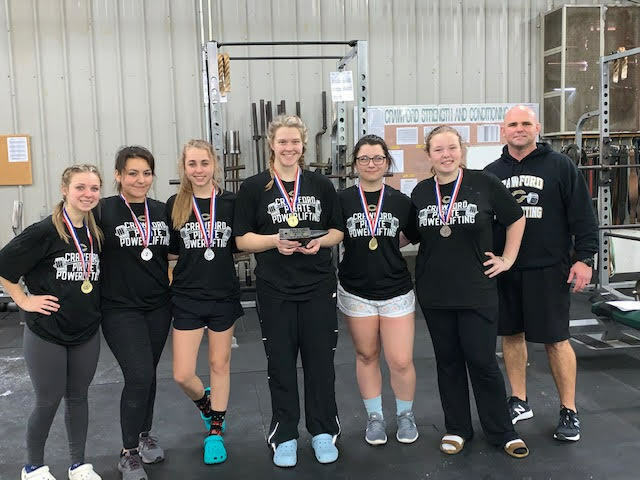 1st Annual Lady Pirate Quad Powerlifting Meet was held at Crawford on Saturday. Congratulations to Crawford for winning the overall team trophy! Kealey Witt finished first in her weight class with Sally Love in 2nd. Caieleigh D'Angelo 1st and Zadie Sandoval 2nd in their weight class and Kamryn Winget 1st and Erica Ivey 3rd in theirs. 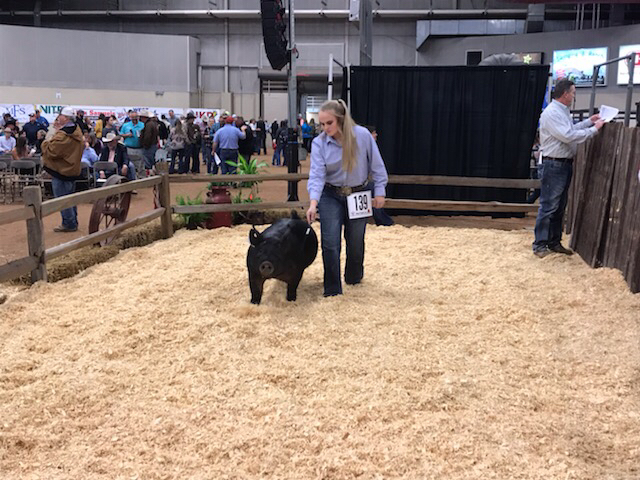 Kylie Simpkins with her 4th place pig! Congratulations Kylie! 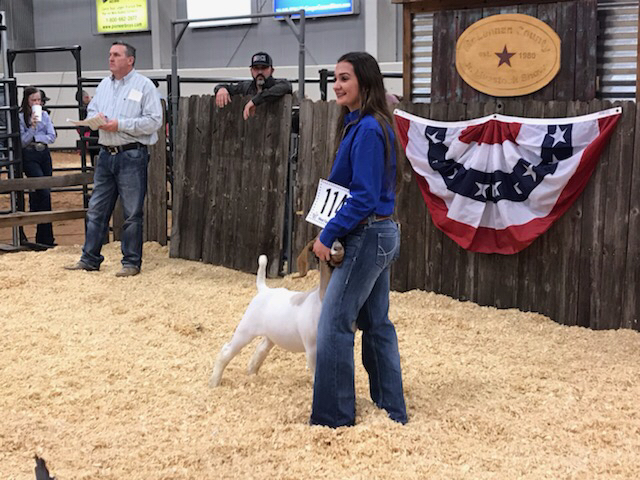 Congratulations to Addison Weaver with her 3rd place goat! 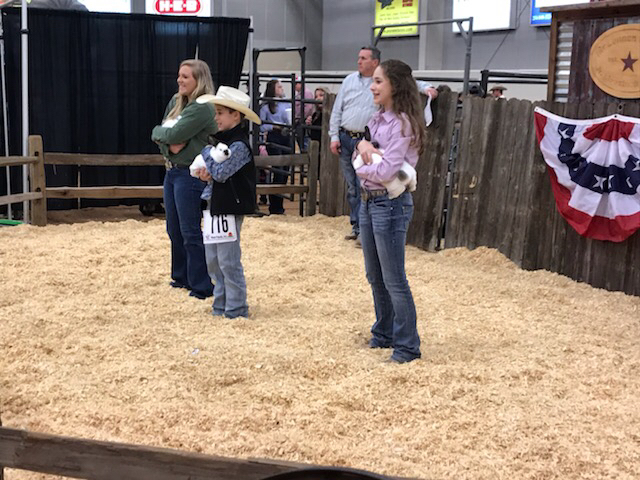 Theo Goldenberg had the 21st place rabbit pen out of 150 in class! 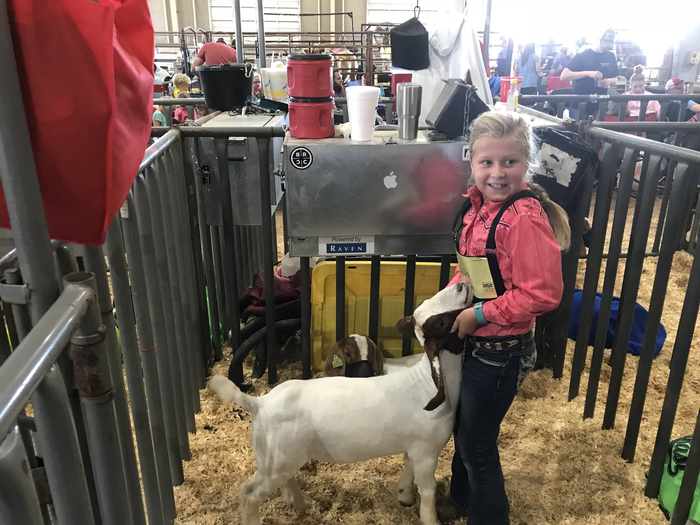 Great job showing at the County Fair. 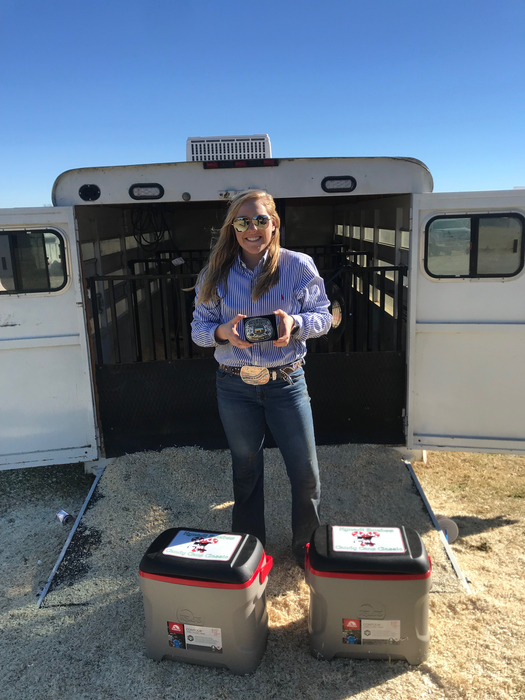 Congratulations to Jeanette Meyer on her top placing Crawford rabbit pen! 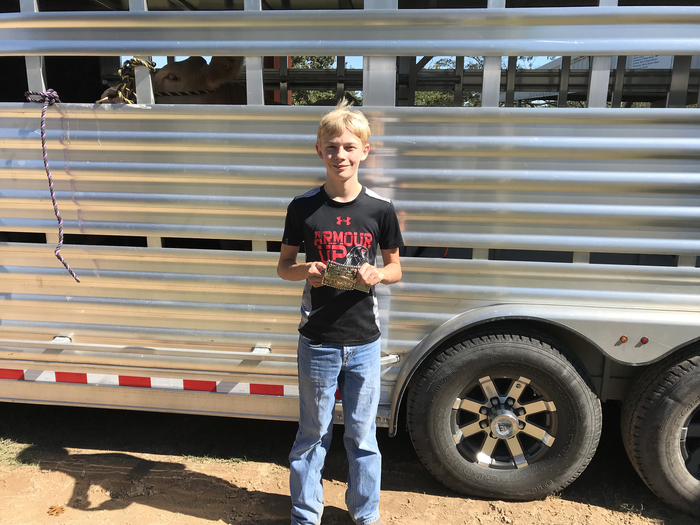 Congratulations to Brendan Hickok with his 3rd place steer at the County Fair! 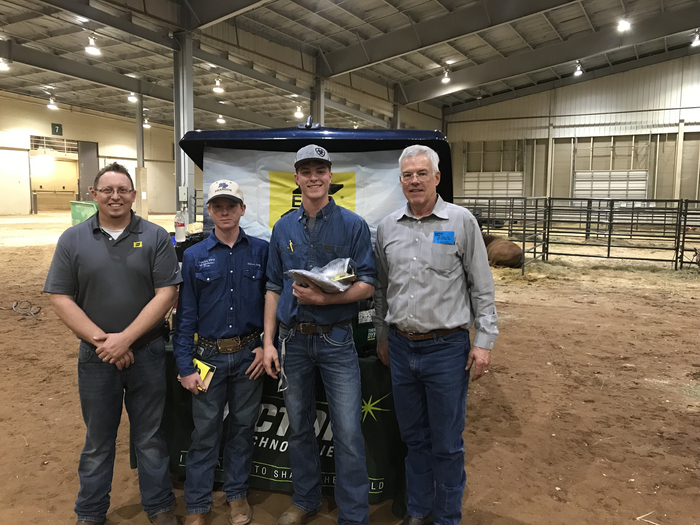 Congratulations to Conner Jones, 1st place fast cutting contest at McLennan County Show and to Mason Perry with his 7th place finish! 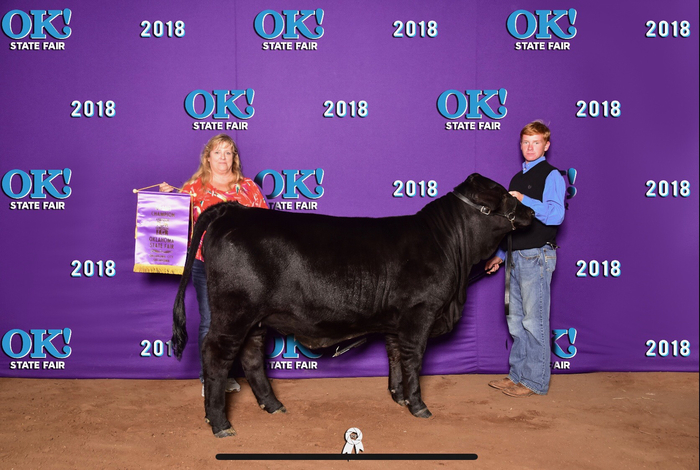 Paisley Warren got Champion Black OPB at the County Fair! Congratulations Paisley! 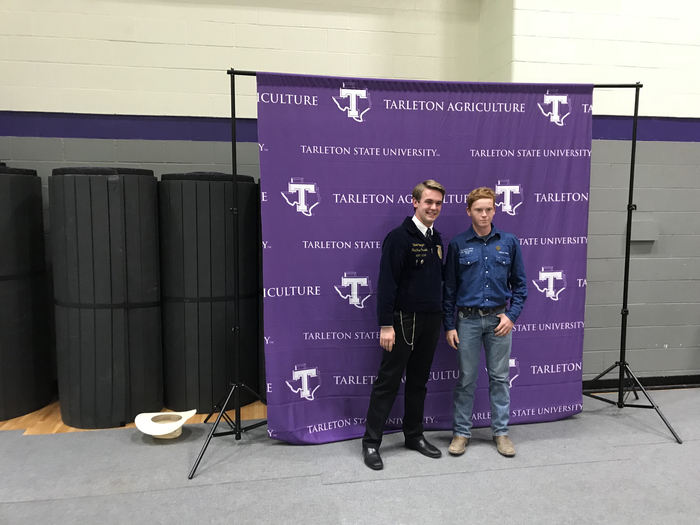 Congratulations to Cooper & Taylor Gohlke! 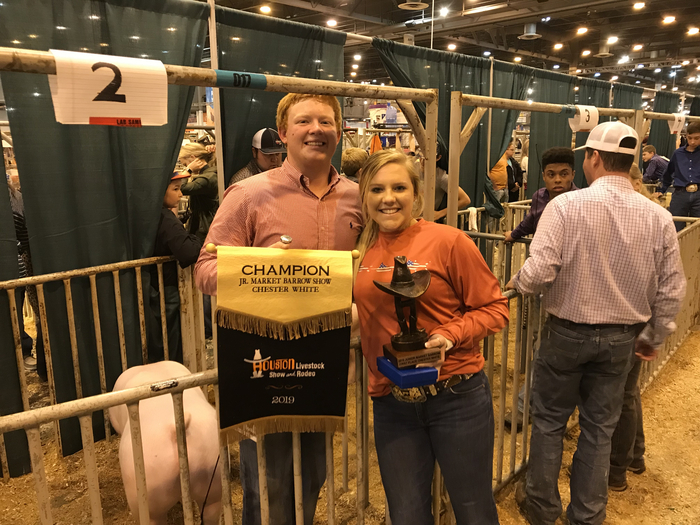 They got Reserve Champion Swine and Champion Duroc & Chester! 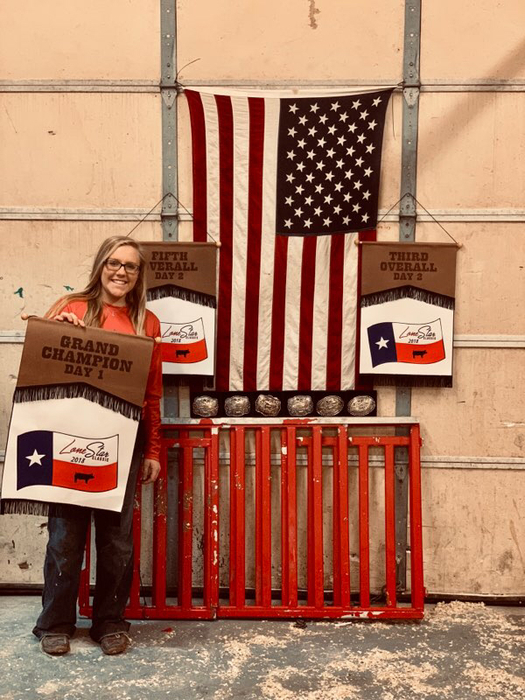 Congratulations to Rylie DeLeon! She is a Jr. Showman Champion ! Congratulations to Sally Love! 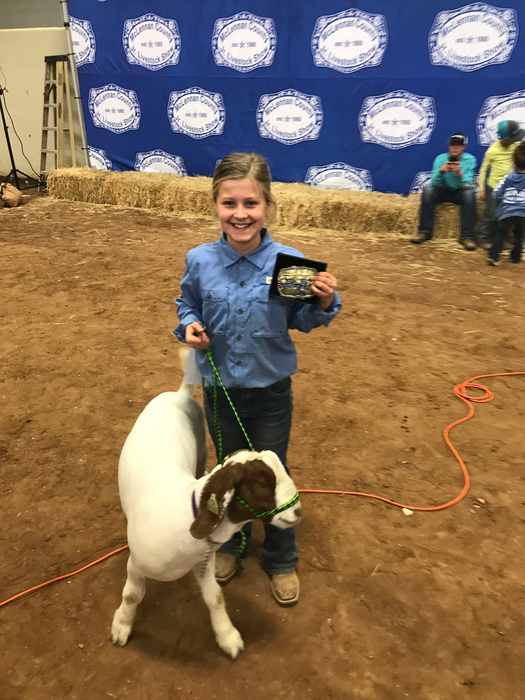 Champion Market Goat at County Fair. The JV Girls basketball game scheduled for this Friday, Feb. 1st, at Moody, will now start at 5:00 p.m. in the MIDDLE SCHOOL gym. JV Boys at 5:00 in HS gym, followed by VG, then VB. 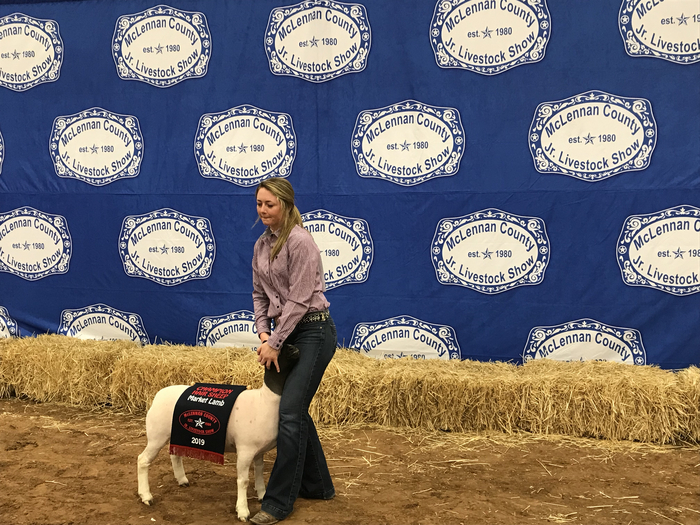 Congratulations to Mackenzie Dunbar with her champion hair sheep at the County Livestock Show! TIME CHANGE for tonight's home basketball games vs Rapoport: There will be no JV boys game tonight. JV Girls will play at 5 p.m. followed by Varsity Girls and then Varsity Boys. 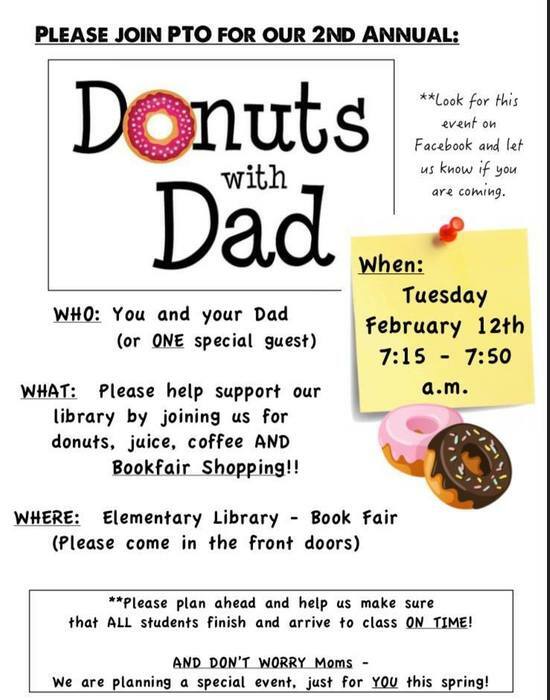 Donuts with Dad will be held Tuesday, February 12th! 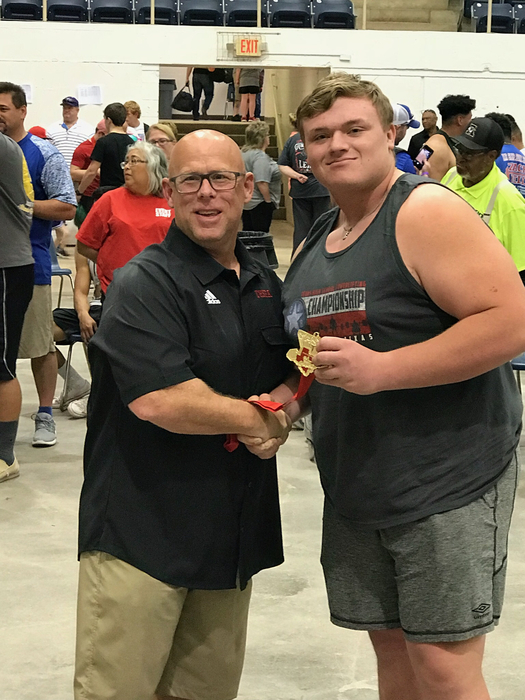 Congratulations to Seth Kohlscheen for winning the Outstanding Lifter Award for the heavy division at the Hamilton Boys Powerlifting Meet this last weekend! Pirates placed 5th as a team. 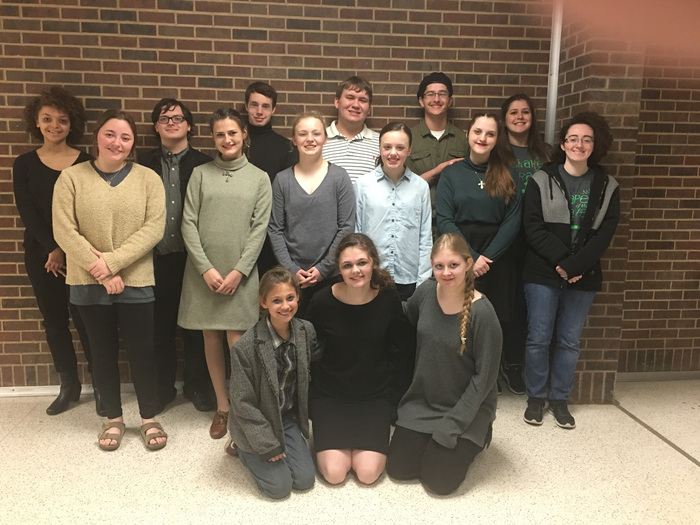 Congratulations to the Crawford High School Debate team who participated in the Buda Tournament on Saturday! Sarah Love placed 2nd and Nathanial Schneider placed 3rd in Lincoln Douglas. In CX Debate, Brianna Downey & Kendall Schuerg placed 2nd, and Luke Westerfield & Kaleb Donald placed 4th. Mark Your Calendar! 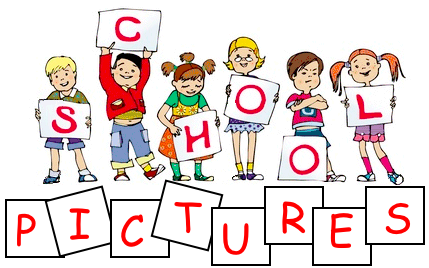 Elementary Class Pictures will be taken on Friday, February 1st. 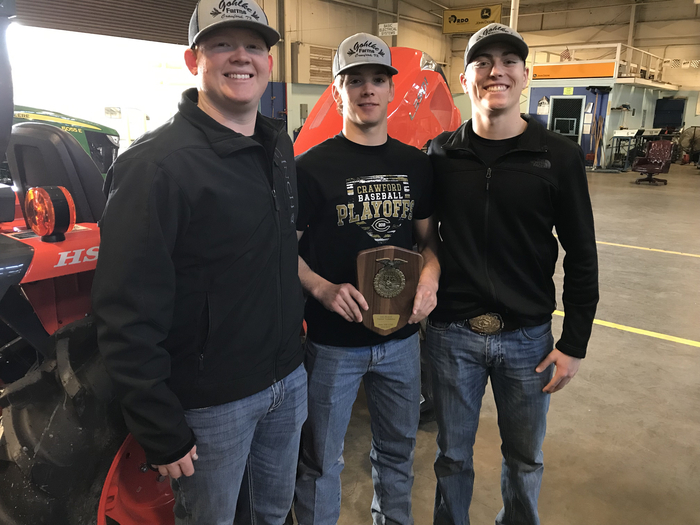 Congratulations to our Tractor Tech Team! They placed 4th today at the Area Contest . 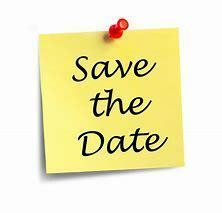 Save the Date: Fall Sports Banquet will be held on Wednesday, Feb. 13th. Stay tuned for more information. 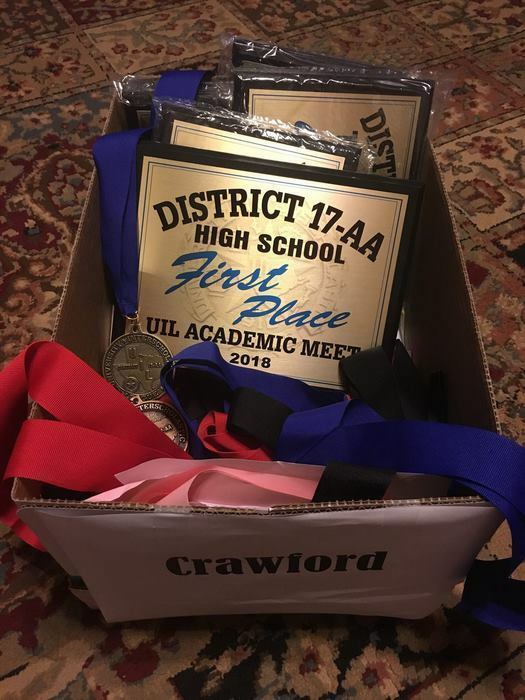 Congratulations to our Crawford Powerlifting Team! They did great at the Moody Powerlifting Meet that was held last Saturday. 5 Lady Pirates and 2 Pirates earned medals. Lady Pirates placed 3rd as a team. Kealey set all new Moody records with a Squat of 265, Bench of 170, and a new overall record of 680 to earn her the Varsity Girl Lightweight MVP Award! Seth earned the Varsity Boys Heavyweight MVP Award! He shattered the old squat record of 645 by squatting 720. He also deadlifted 600 to set a new record in that as well as a new total record with 1745. 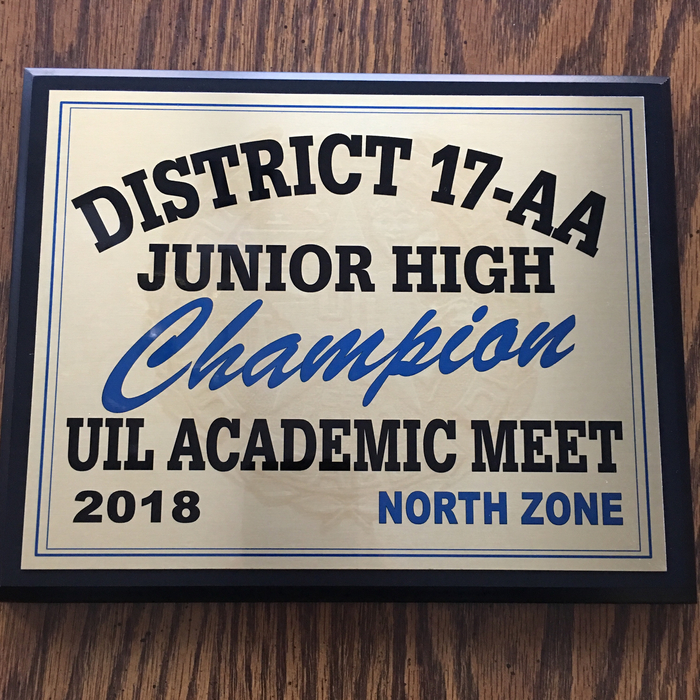 Congratulations to our District Champion Junior High UIL Academic Team! 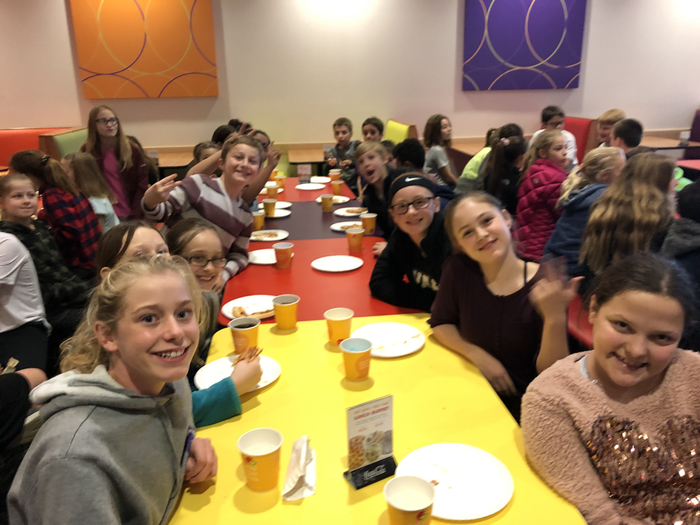 Elementary students enjoyed their AR Celebration this morning at Peter Piper Pizza! Congratuations to Kealey Witt and Seth Kohlscheen who both set new records this weekend in Powerlifting! Seth set new Bosqueville records of 705 in Squat, 420 in Bench, and 565 in Deadlift, for a new record overall of 1690! Kealey set a new Bosqueville record in the 105 class of 270 in Squat and a new Bench record of 150 for a new overall record of 660! In addition to the new records, 5 Lady Pirates medaled and 5 Pirates also medaled in the Bosqueville meet! Congratulations to our Lady Pirates who received TAVC honors in Volleyball! Anne Williams- 2A Player of the Year. Camille Ward- 2A Defensive Player of the Year. TAVC All State: Camille Ward, Anne Williams, Lexi Moody, and Katie Warden. 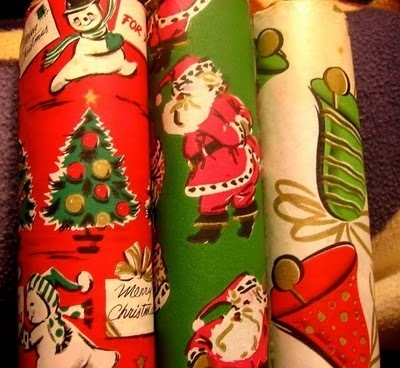 Got any wrapping paper or Christmas decorations that you are ready to get rid of? Beta Club would gladly take these donations so they can be used for decorating the classroom doors next Christmas! Any donations can be turned in to the High School Office. The Crawford Blood Drive is going on today from 9am-3pm at the high school. Any community members that would like to donate are encouraged to come during lunch or this afternoon! Morning slots are full. 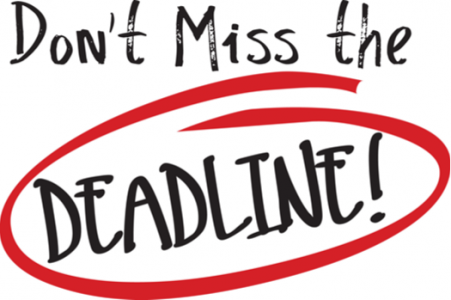 Deadline to pay for any Spring Dual Credit classes is tomorrow, Tuesday, Jan. 8th by 6pm. PLEASE NOTE: There will be no JV girls basketball game this Friday, 1/11/19 vs Bosqueville. There will be three games only - JV Boys, V Girls, V Boys, beginning at 5:00. 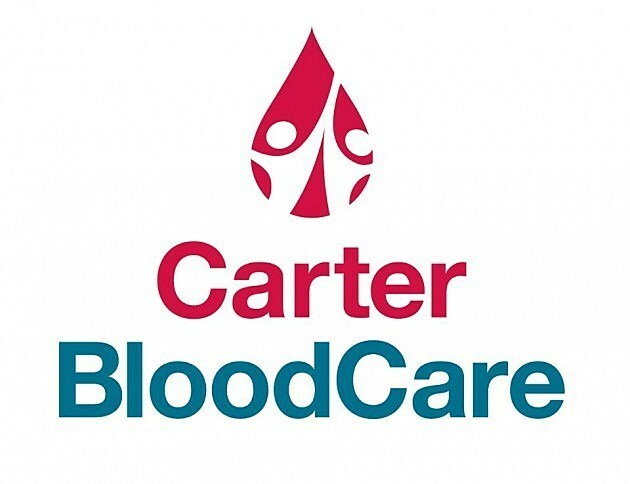 The Crawford Blood Drive is Wednesday, January 9th from 9am-3pm at the high school. You must be at least 16 years old to donate. There is a real need for blood at this time in Central Texas, so we need as many people as we can to give blood. See Coach Allen to sign up. It has been a GREAT day at Crawford Elementary! Congratulations to these Crawford Pirates that received District Honors (7AA Division 1) for the 2018 football season! Offense: Tate Abel (1st Team QB), Trey Lacina (1st Team RB), Seth Kohlscheen (1st Team OL), Tanner Mitchell ( 1st Team OL), Garrett Pearson (2nd Team RB), Casen Ewing (2nd Team WR), Zane Taylor (2nd Team TE), Landry Bruce (2nd Team OL), Bowden Hooser (2nd Team OL), Clay Walters (2nd Team OL). 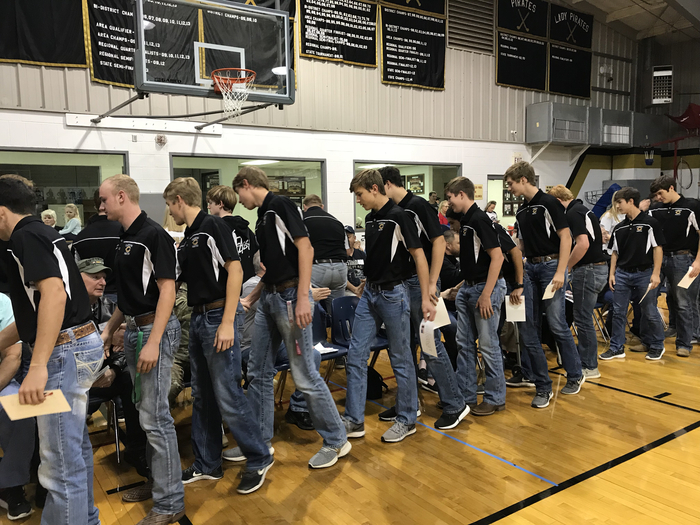 Defense: Landry Bruce (1st Team DL), Jed Whitney (1st Team LB), Tate Abel (1st Team DB), Jordan Meeks (1st Team ST), Will Browning (1st Team ST), Tanner Mitchell (2nd Team DL), Cooper Gohlke (2nd Team DL), Trey Lacina (2nd Team LB), Casen Ewing (2nd Team DB), Karson Green (2nd Team DB), Tanner Merenda (2nd Team DB), Casen Ewing (2nd Team Punter), Luke Brookshire (honorable Mention DE), Will Browning (Honorable Mention DE). Today is National Ugly Sweater Day! Thanks to our Varsity Pirate Basketball team for doing their part to celebrate the occasion! 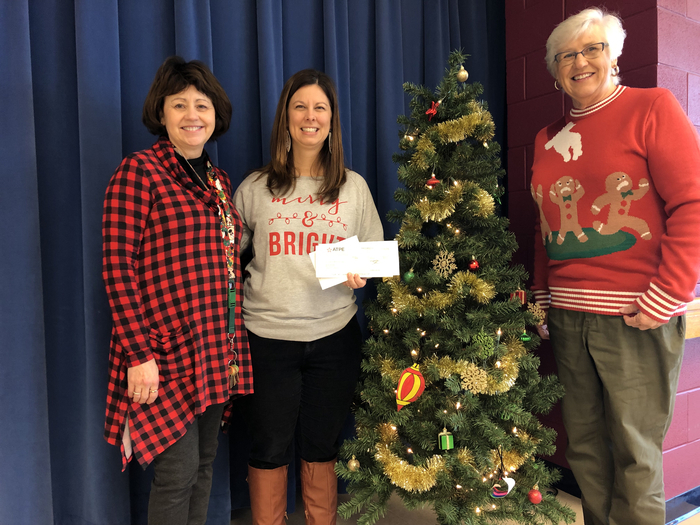 Congratulations to Mrs. Desiree Mathews for winning $500 from ATPE! Her name and one other in Texas was randomly chosen out of all ATPE members to receive this Christmas check! 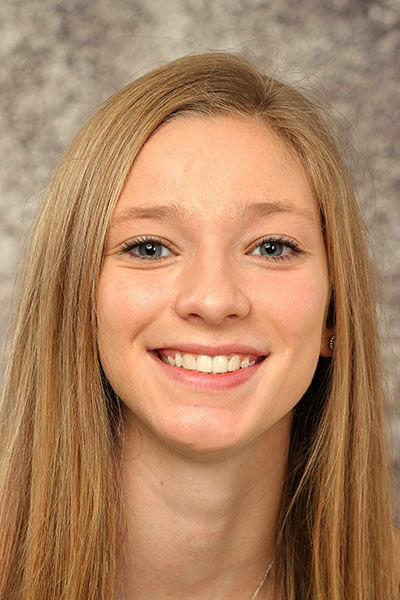 Congratulations to Taylor Gohlke! 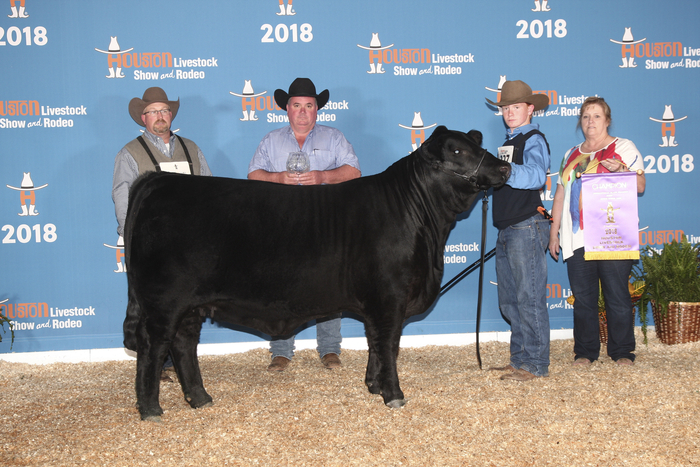 She was Grand Champion on Day 1 and also received 3rd overall on Day 2 at the Lone Star Classic show in Abilene. Congratulations to all Crawford Elementary students who were recognized this morning for their hard work and accomplishments in Academic UIL! Parents of Elementary Students: All lost and found will be donated if not picked up before Christmas break. It will not be here at the new semester. If your child is missing something please have them look this week! 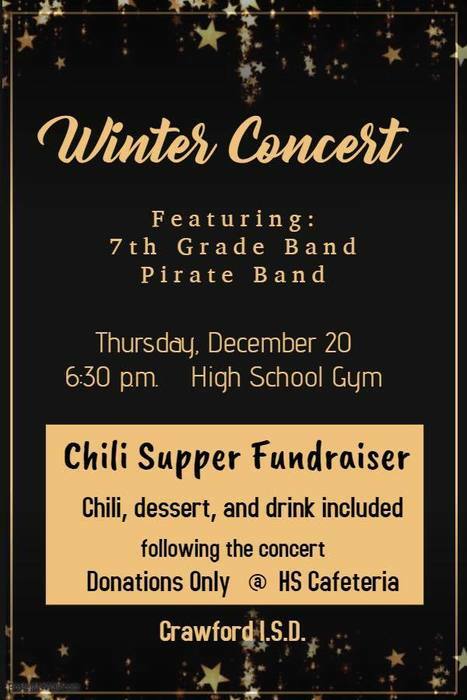 PLEASE NOTE: Tonight's Chili Supper Band Fundraiser has been canceled due to the designated cook being ill. Christmas Concert will still start at 6:30 p.m. in the High School Gym! Come out and support the band! Crawford ISD will have Early Release Days tomorrow and Friday. Elementary will dismiss at 12:45 and High School will dismiss at 1 p.m. The district will then be closed for the Holidays on Dec. 24th-Jan. 4th. School will resume on Monday, January 7th. 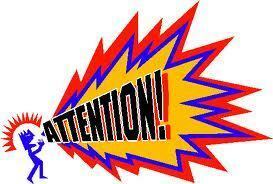 Elementary UIL Awards Assembly (grades 2-5) will be held tomorrow at 9 a.m. in the Elementary Cafeteria. Parents, make plans now to support these Little Pirates as they celebrate their UIL accomplishments! BIG Thanks to all who donated toys for the Toy Drive! Because of your generosity, 13 local families will have a Very Merry Christmas! 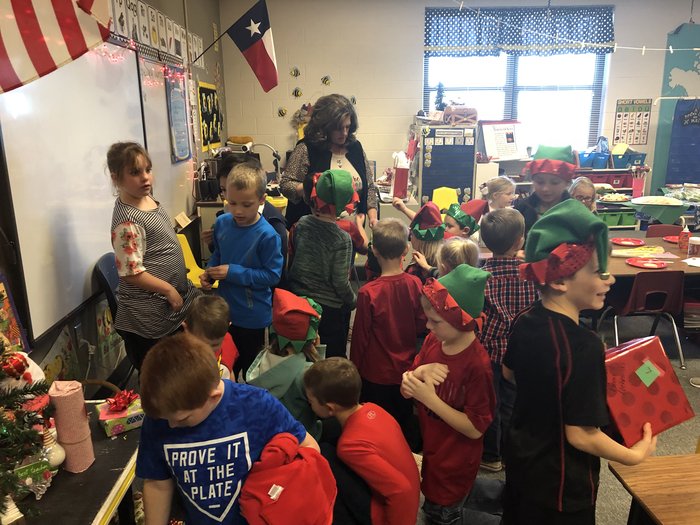 Santa is coming to Crawford Elementary! 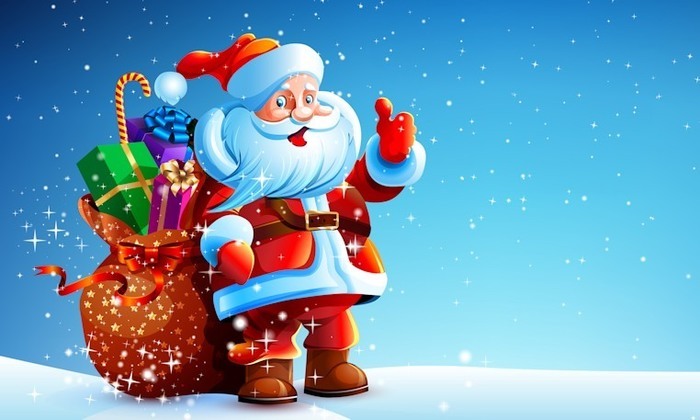 Have your picture made with Santa on Monday (Dec. 17) or Tuesday (Dec. 18) from 7:30 - 8 a.m. in the Elementary Library. Cost is $5. Sponsored by the Crawford Beta Club. 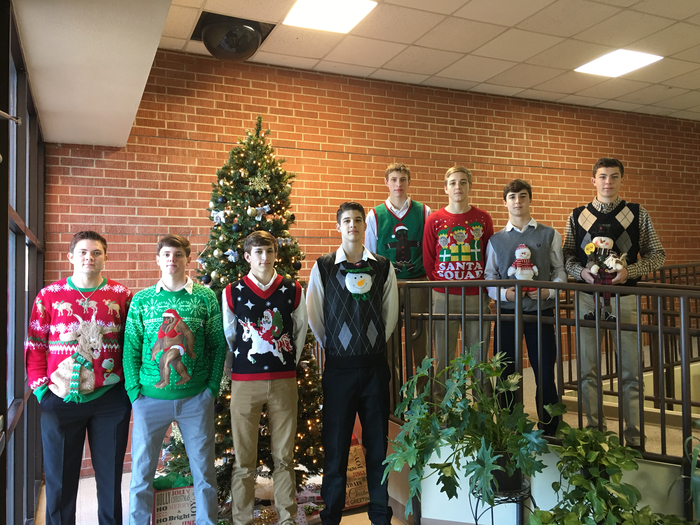 Today is Ugly Sweater Day at Crawford High School. Thanks to Coach Coker for initiating this fun day as we are gearing up for the upcoming Christmas break! Winter Concert & Chili Supper Fundraiser will be held next Thursday at 6:30 at the High School. Make plans now to come and support our Pirate Band! Thank you to everyone who donated food and helped make this years Food Drive a big success. Thank you also to the CHS Beta Club and CHS PALS for organizing this drive. This food will go a long way in helping our fellow Pirates who need a little extra help this year! 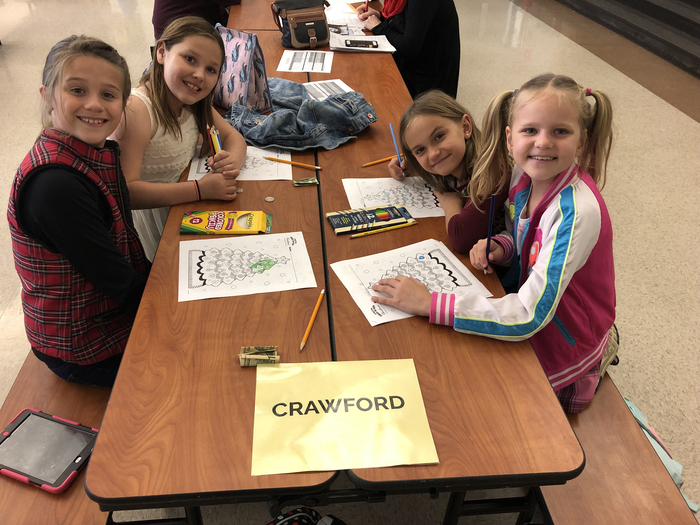 Good luck to all our Crawford Elementary students who are headed to Valley Mills to compete in the District UIL Meet this afternoon! 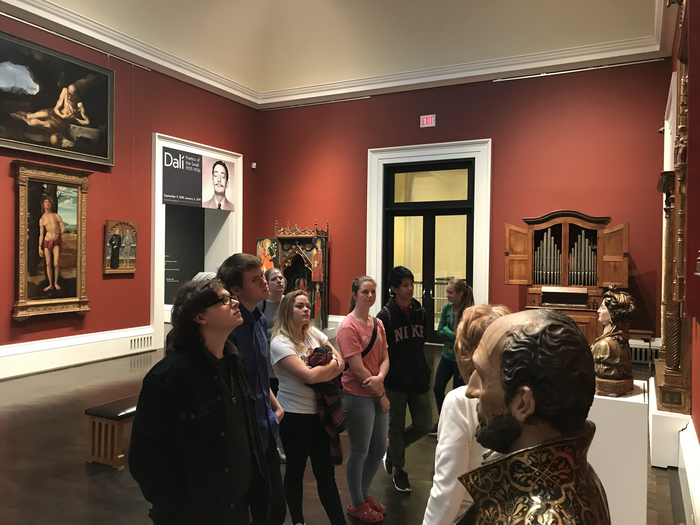 Mrs Vaughn’s Spanish Class visited Meadows Museum on the SMU campus today. 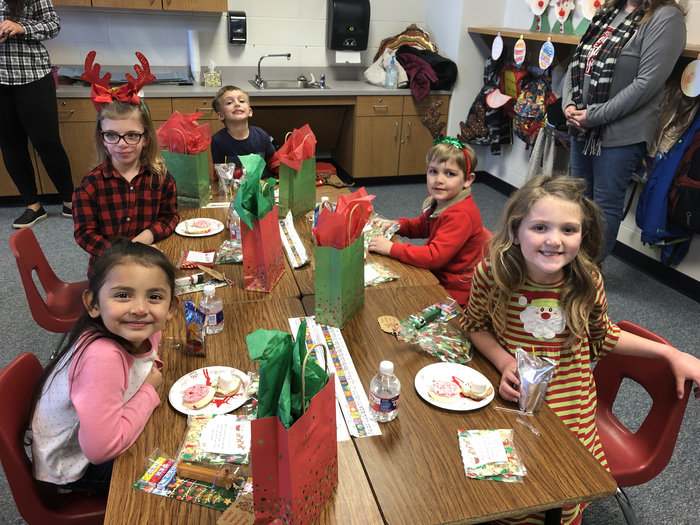 Elementary UIL Awards Assembly (grades 2-5) will be held next Thursday, December 20th, at 9 a.m. in the Elementary Cafeteria. Parents, make plans now to support these Little Pirates as they celebrate their UIL accomplishments! 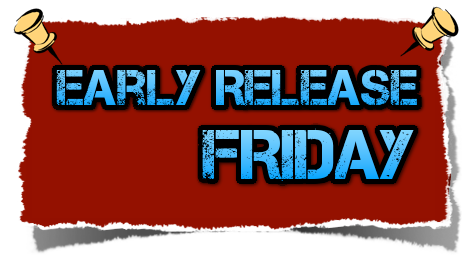 Crawford ISD will have Early Release Days next Thursday (Dec. 20) and Friday (Dec. 21). Elementary will dismiss at 12:45 and High School will dismiss at 1 p.m. 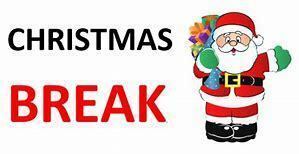 The district will then be closed for the Holidays on Dec. 24th-Jan. 4th. School will resume on Monday, January 7th. It's beginning to look a lot like Christmas at Crawford High School! Thanks to the Beta Club for decorating the doors! 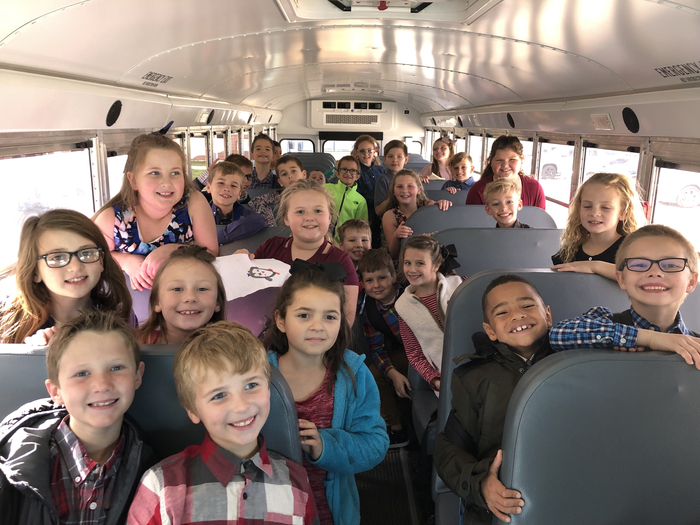 Good luck to our Elementary students who are competing in UIL Day 1 in Valley Mills this afternoon! 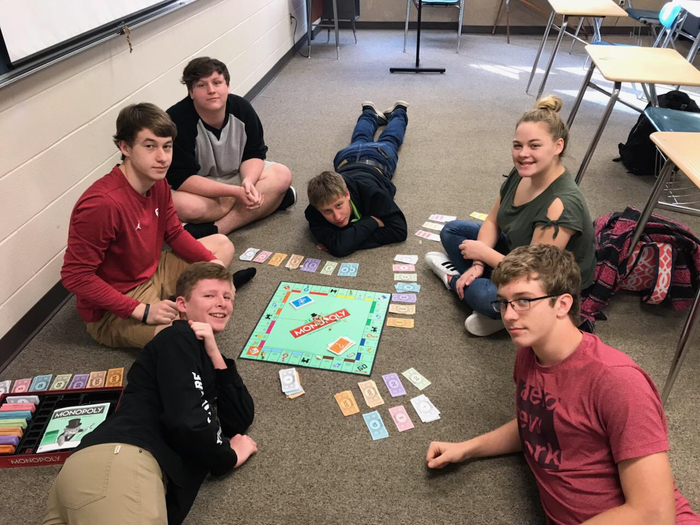 Annual Monopoly Competition is going on today in the Business Classes!! 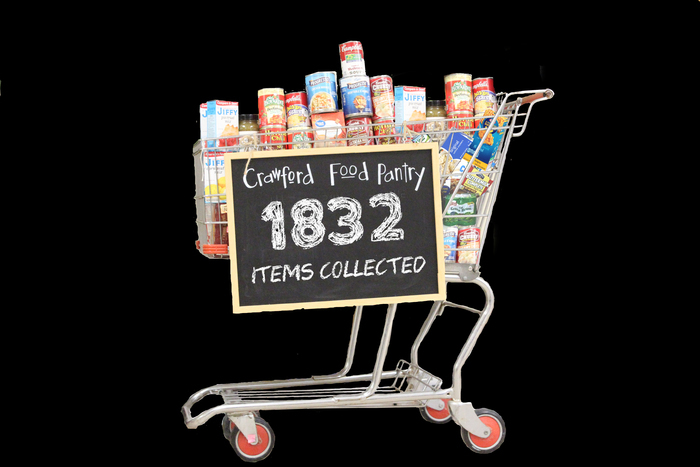 Crawford Food Drive ENDS THURSDAY! Collection boxes are located at each campus. Help us help our fellow Pirates who need a little extra help with the upcoming holidays! We were not given a list of items that are needed this year...everything helps! Congrats to Katie Warden who received 2nd Team Super Centex in Volleyball and to Ana Maddox & Peyton Elmore who received Honorable Mention! Way to go Lady Pirates! Congratulations to Anne Williams and Camille Ward! They made 1st Team Super Centex for Volleyball! Way to go Lady Pirates!!! Congratulations to Lexi Moody! 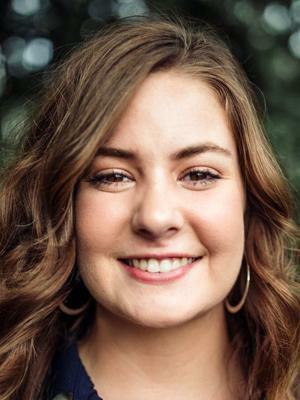 She was named Super Centex Newcomer of the Year in Volleyball! Not only did she lead Central Texas in assists but she also finished 2nd nationally among freshmen!! We are so proud of our Lady Pirate!! Congrats to Maci Westerfeld and Camille Ward for being selected TGCA Academic All State!!! Congratulations to Taylor Gohlke! 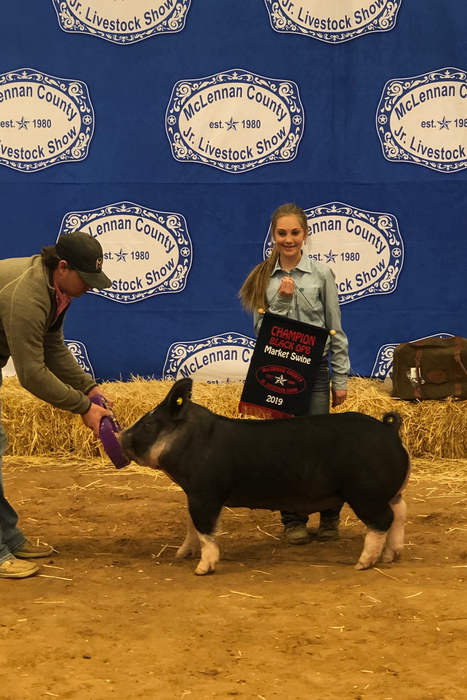 She had the Champion Swine at the Candy Cane Livestock Show this weekend! PLEASE NOTE: Beginning Wednesday of this week, Crawford High School will have a controlled entry system in place similiar to the system that is at the Elementary school. Everyone will be required to buzz in at the front door. After being admitted, all visitors and parents must then proceed directly to the high school office. Thank you for your compliance and understanding as we are adding additonal safety measures to keep our Pirates and Lady Pirates safe! Crawford ISD will have Early Release Days on Thursday (Dec. 20) and Friday (Dec. 21). Elementary will dismiss at 12:45 and High School will dismiss at 1 p.m. The district will then be closed for the Holidays on Dec. 24th-Jan. 4th. School will resume on Monday, January 7th. Elementary UIL Awards Assembly (grades 2-5) will be held Thursday, December 20th, at 9 a.m. in the Elementary Cafeteria. Parents, make plans now to support these Little Pirates as they celebrate their UIL accomplishments! MARK YOUR CALENDAR! Christmas Concert (7th-12th grade band students) and Chili Supper Fundraiser will be held Thursday, Dec. 20th! The concert will be held in the High School gym followed by the Chili Supper in the High School Cafeteria. 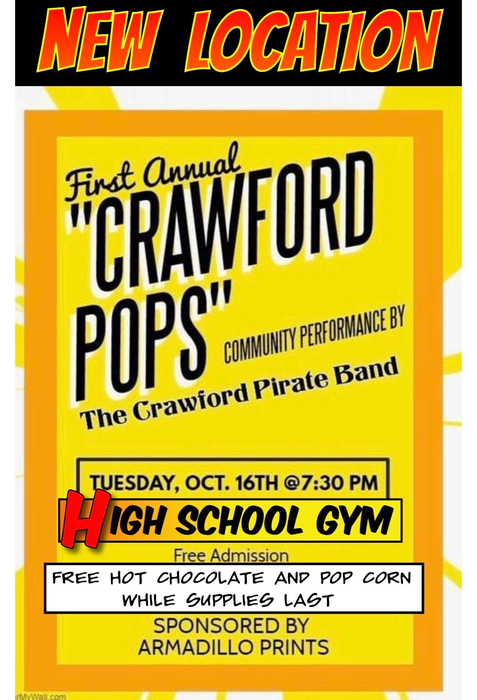 Come support the Crawford Pirate Band! Congratulations to Dawsen Holly! She was named to the All State Cross Country Team by the TGCA! Congratulations also to Jazmine Salazar! She was named to the Academic All State CC team. Congrats to both Lady Pirates! 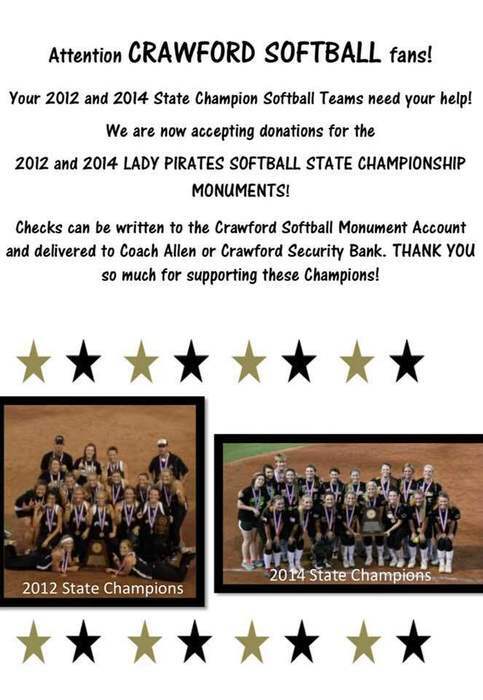 Lady Pirate Softball fans...your help is needed! Congrats to Camille Ward for her selection as TGCA Legacy All Star in Vollyball!! 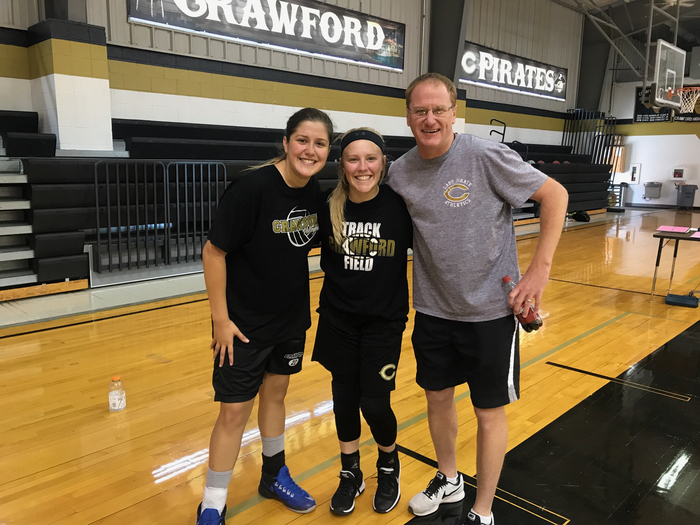 Congratulations to these Crawford Lady Pirates for being named to the Texas Girls Coaches Association All-State VB Team: Camille Ward, Anne Williams, and Lexi Moody! Also make plans now to go see Anne Williams play in the TGCA All Star Game in July! Congratulations to Camille Ward! 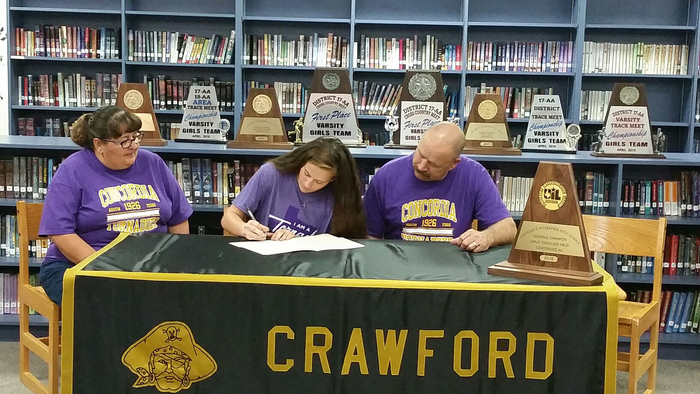 She signed to Pole Vault with ACU! Congratulations to our Lady Pirate!! Crawford Food Drive is still underway! Collection boxes are located at each campus. Last day to donate is Dec. 13th! We have a goal of 1800 items which would help fill our local pantry & would help our fellow Pirates who need a little extra help with the upcoming holidays! We were not given a list of items that are needed this year...everything helps! TIME CHANGE: JV girls game at Hico will now start at 4:00, NOT 5:00, on Tuesday, 11/27. The Crawford Elementary AR celebration is in full swing this morning! 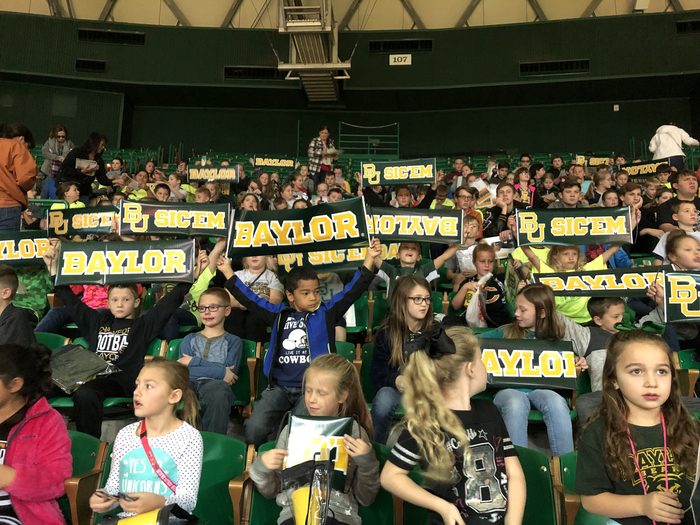 Those earning enough points are cheering on the Baylor Bears at the Ferrell Center! 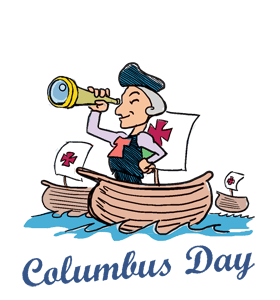 Tomorrow is Pirate Spirit day! 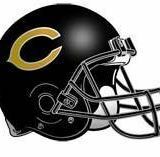 Wear your Black and Gold to support the Pirates as they get ready for their playoff game vs Riesel at Gatesville tomorrow night at 7:30. Go Pirates! Pirte Supporters: We need 3 more sponsors for the Crawford Football Playoff program. The cost is $50 per game and you must commit to all six games. The sponsorships includes your logo on the program. We must hear from you no later than Wednesday morning. Please text Michele Berger if interested at 254-723-3696. Congratulations to our Lady Pirates who received District 14AA Volleyball Awards! District MVP- Anne Williams (OH), Offensive MVP- Katie Warden (OH), Defensive MVP- Camille Ward (Libero), Setter of the Year- Lexi Moody. First Team: Peyton Elmore (DS), Ana Maddox (MB), Taylor Westerfeld (MB), and Kylie Ray (RS). Second Team: Hannah Morton (DS), and Maci Westerfeld (DS). Kealey Witt (DS) received Honorable Mention . Congratulations to all on receiving District VB Awards! SPREAD THE WORD: Chilton has cancelled the basketball games that they were hosting tonight. JH Girls games have been cancelled. It is official now... games are cancelled. 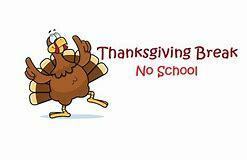 Crawford ISD will have an Early Release next Tuesday, Nov. 20th, to kick off the Thanksgiving Break! Elementary will release at 12:45 and High School will release at 1 p.m. The district will then be closed Nov. 21st-23rd. Lady Pirates season comes to an end against Lindsey in the Regional Finals. 3-1 Congratulations on a great season! We Love our Lady Pirates! Lady Pirates are fighting it out at the Regional Finals. They are starting the 4th set right now. Lost the first set 25-21. Won set two 26-24. Lost set three 25-12. Go Lady Pirates! Let’s do this!! Football playoff information: Pirates will play Riesel at Gatesville at 7:30 Friday night. Go Pirates! Lady Pirates won 3-1.! We play Lindsey in the Regional Finals at 11:00 a.m. tomorrow! 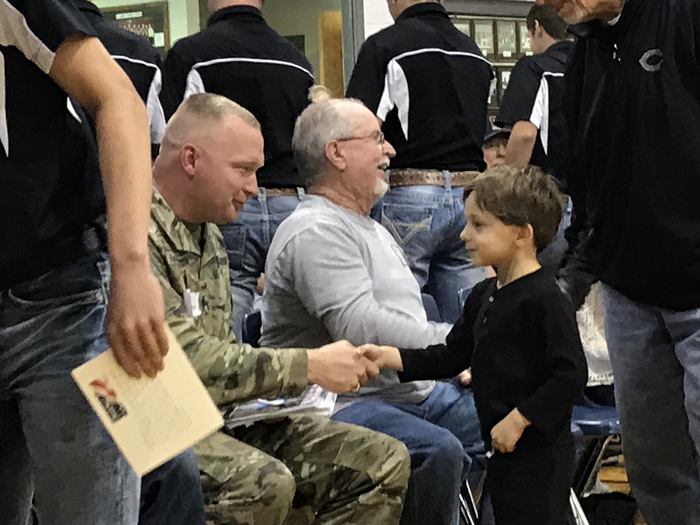 Thank you to all the veterans and those currently serving who honored us with your presence at our pep rally today! 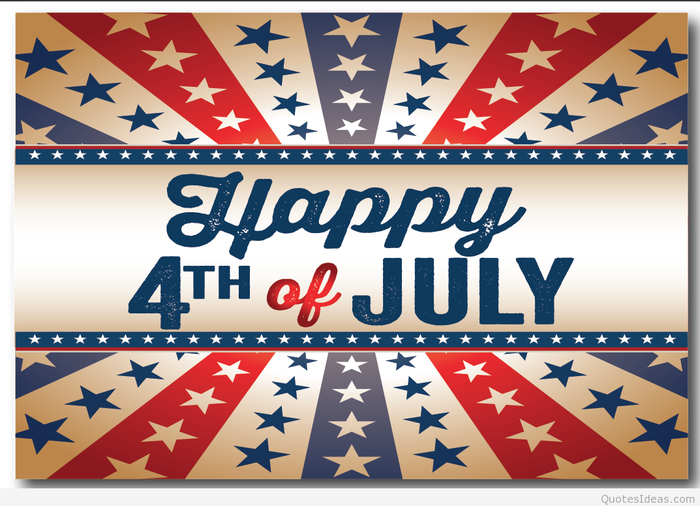 Crawford ISD students and staff thank you for all you have done and continue to do for our country! You are our heroes! 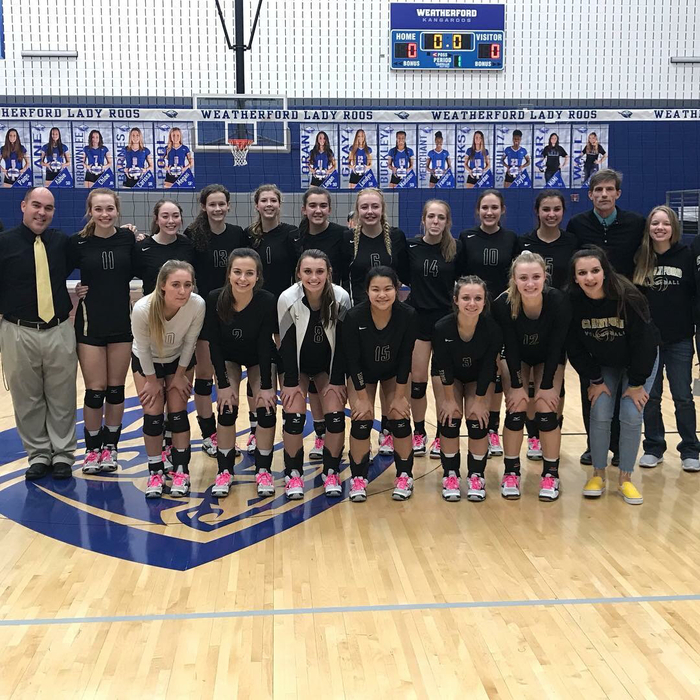 The Regional Quarterfinal Champion Lady Pirates will play Windthorst in the Region II-2A semifinals at 7 p.m. tonight in Weatherford. Winner of the match will play at 11 a.m. tomorrow. GO LADY PIRATES!! PLEASE NOTE PEP RALLY TIME CHANGE: Pep Rally will start at 3 p.m. tomorrow to give us time to honor the Veterans who will be in attendance! Elementary students can be picked up at 2:45 p.m. if you are bringing them to the Pep Rally. PLEASE HELP SPREAD THE WORD!! Past & Present Military Members will be honored at our Pep Rally TOMORROW! If you are a veteran (war or peace time), National Guard member, ANYONE who has served, or a current member of the military, please make plans to attend both the Reception and the Pep Rally that will be held at Crawford High School. The Reception will be held in the library at 2 p.m. followed by the Pep Rally at 3 p.m.
Crawford Food Drive is curently underway! Collection boxes are located at each campus. 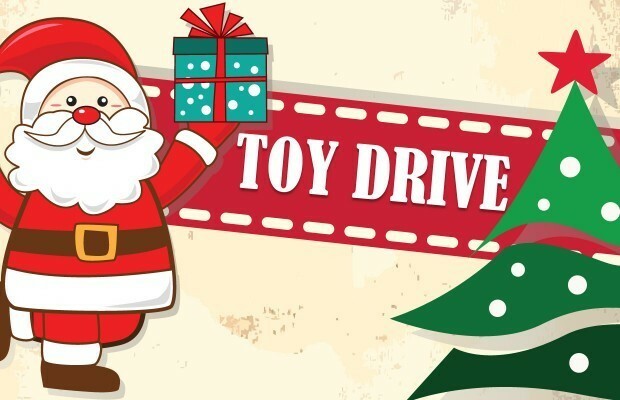 Last day to donate is Dec. 13th! 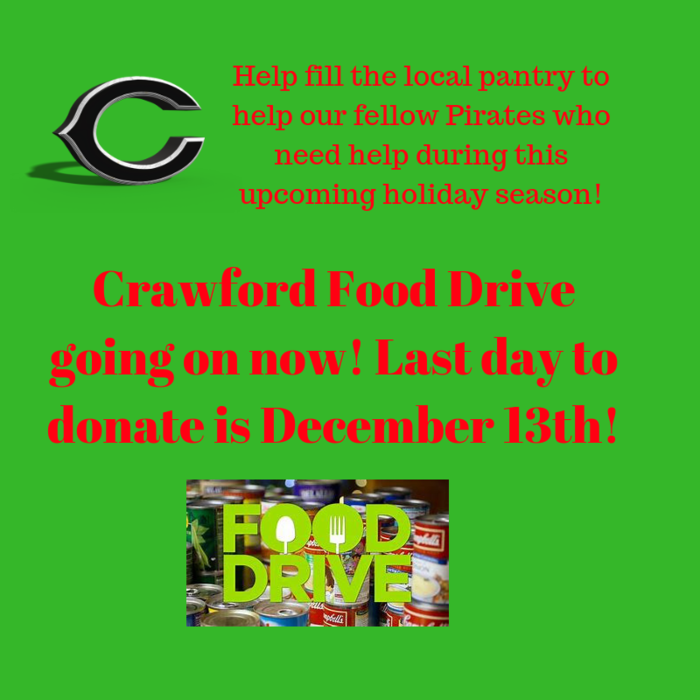 We have a goal of 1800 items which would help fill our local pantry & would help our fellow Pirates who need a little extra help with the upcoming holidays! Congratulations to Cambree Aguirre! She signed to play softball at Weatherford College next year! Congratulations to Nathan Schneider! 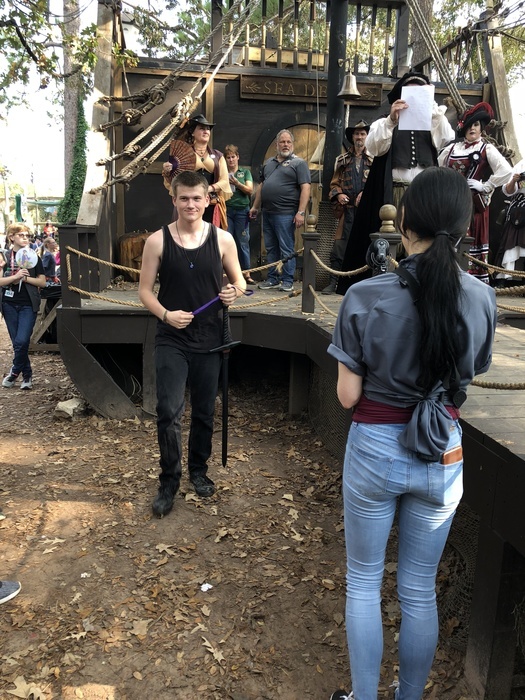 He received an Excelllence in Metalwork yesterday at the Texas Renaissance Festival that was held in Plantersville! 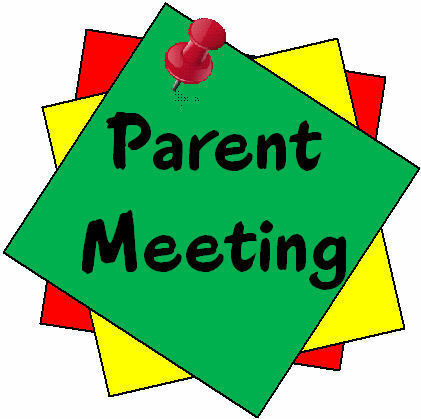 Attention 8th grade parents: There will be an information meeting and scheduling workshop on Monday, November 19. There are 4 different meeting times available for your convenience. The meeting times are 8:15 am, 2:00 pm, 5:30 pm, and 7:00 pm in the high school library. Information regarding high school graduation programs, endorsements, and course requirements for graduation will be presented. Following the information meeting, students and parents will meet with one of the counselors to select courses for the student's 9th grade year. Please make plans to attend this meeting and scheduling workshop. PLEASE NOTE: The high school girls basketball games scheduled for next Tuesday (11/13/18) at Salado have been cancelled. 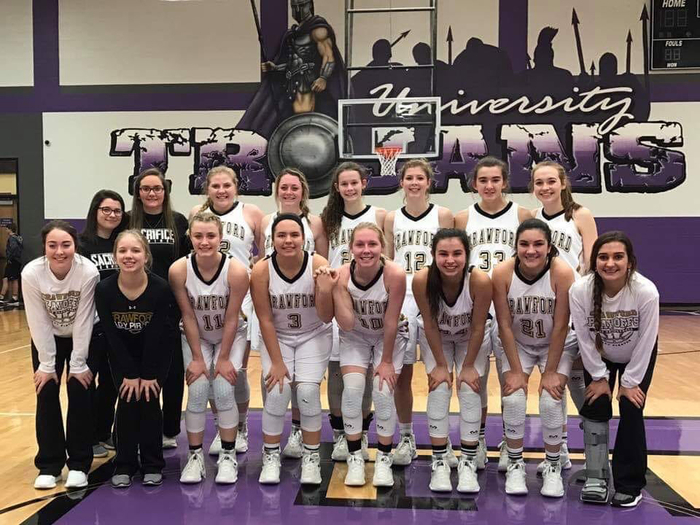 PLAYOFF INFO: The Regional Quarterfinal Champion Lady Pirates will play Windthorst in the Region II-2A semifinals at 7 p.m. Friday in Weatherford. Winner of Friday match will play at 11 a.m. on Saturday. GO LADY PIRATES!! FOOTBALL CHANGE: JV Football will now play Bosqueville at Bosqueville this Thursday. Game will start around 7:45 p.m. PLEASE HELP SPREAD THE WORD!! Past & Present Military Members will be honored at our Pep Rally this Friday! 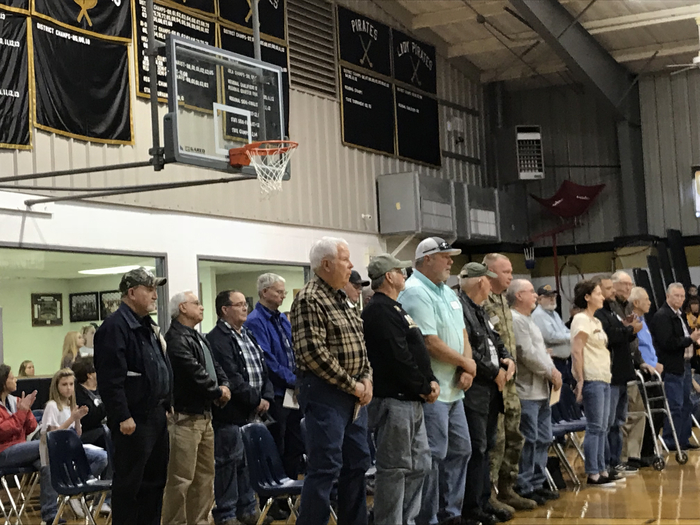 If you are a veteran (war or peace time), National Guard member, ANYONE who has served, or a current member of the military, please make plans to attend both the Reception and the Pep Rally that will be held at Crawford High School on Friday. The Reception will be held in the library at 2 p.m. followed by the Pep Rally at 3 p.m. PLEASE NOTE TIME CHANGE: Pep Rally will start at 3 p.m. on Friday to give us time to honor the Veterans who will be in attendance! Elementary students can be picked up at 2:45 p.m. if you are bringing them to the Pep Rally. 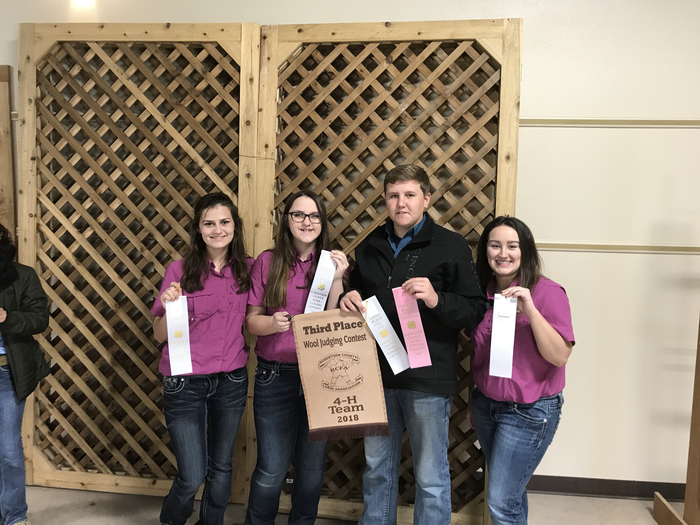 Congratulations to the Crawford FFA Jr. Chapter Conducting Team! They placed 2nd at District and will be advancing to the Area contest! Congrats also to the Farm Skills team that placed 3rd! 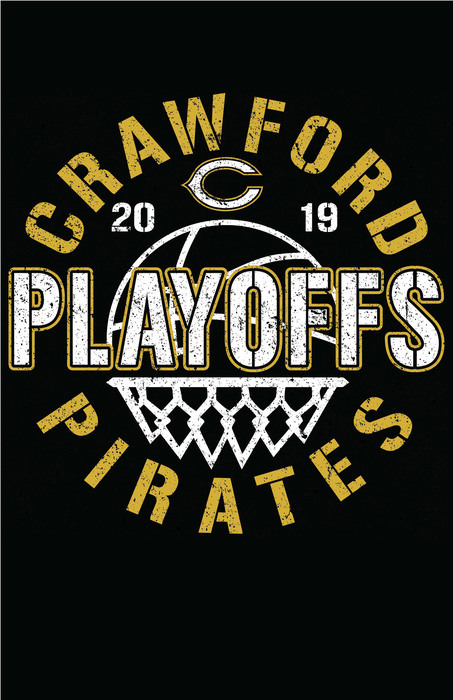 PLAYOFF INFO: Lady Pirates are the Regional Quarterfinal Champions with the win over Bremond last night! They will face the winner of the Windthorst-Collinsville match. Lady Pirates will play in the Region II-2A semifinals at 7 p.m. Friday in Weatherford. Please Note: There will be no Junior High Football practice after school tomorrow. Congratulations to Dawsen Holly. She placed 10th at the state cross country meet! This afternoon, Crawford Elementary was in a lockdown based on a security concern. Elementary staff followed proper procedures and protocol. All students were safe. Just a Reminder: Crawford ISD will have an Early Release on Monday, Nov. 5th due to hosting the District FFA LDE Contest. 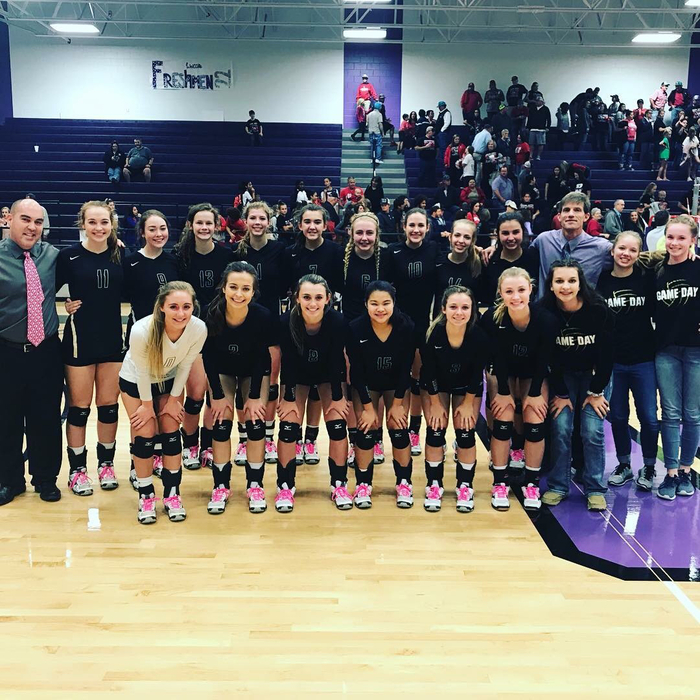 Elementary will release at 12:45 and High School will release at 1 p.m.
Volleyball Playoffs: Area Champion Lady Pirates will play Bremond at 7:00 p.m. on Monday at University High School in the Regional Quarterfinals! Make plans now to attend and BE LOUD and BE PROUD!! GO LADY PIRATES!!! PLEASE HELP SPREAD THE WORD!! 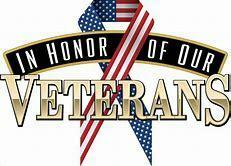 Past & Present Military Members will be honored at our Pep Rally that will be held on Friday, Nov. 9th! If you are a veteran (war or peace time), National Guard member, ANYONE who has served, or a current member of the military, please make plans to attend both the Reception and the Pep Rally that will be held at Crawford High School next Friday. 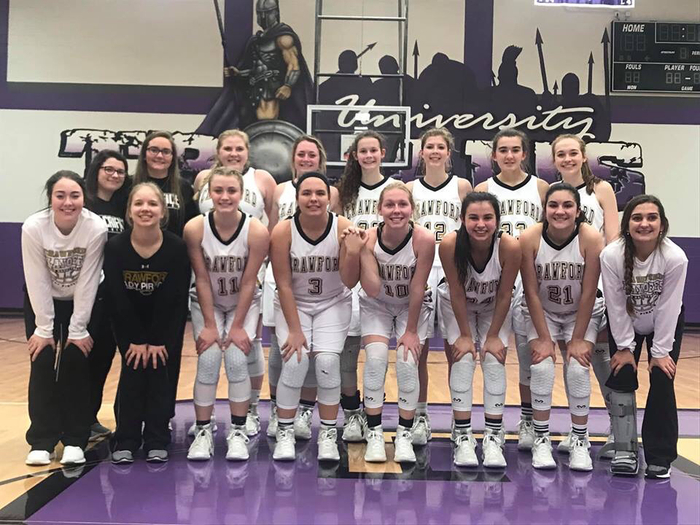 The Reception will be held in the library at 2 p.m. followed by the Pep Rally at 3 p.m.
Lady Pirates will play Mart in the Area Round of playoffs TONIGHT at University High School in Waco at 7 p.m. GO LADY PIRATES! The weather outside is dreary but it is a great day inside at Crawford Elementary! It is inflatables day during P.E. today! Baylor Bear football players, Clay Johnston and Blake Lynch, also stopped by to visit and play with the kids! 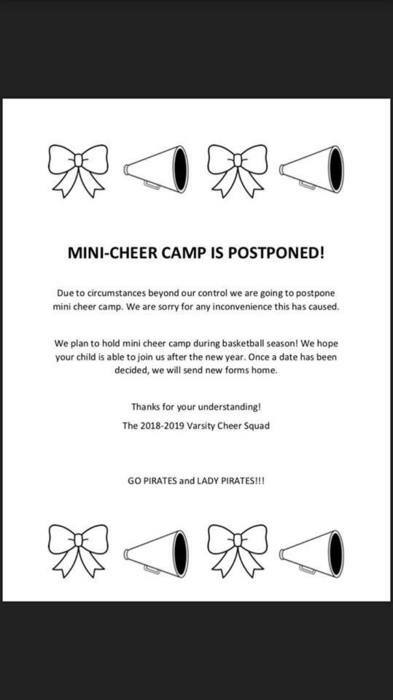 Mini Cheer Camp is being postponed. This letter and your refund is going home today with everyone who signed up. We truly appreciate your understanding and support! Hope to see all those little cheerleaders when we reschedule after Christmas! Mark Your Calendar! Crawford ISD will have an Early Release on Tuesday, Nov. 20th, to kick off the Thanksgiving Break! Elementary will release at 12:45 and High School will release at 1 p.m. The district will then be closed Nov. 21st-23rd. Booster Club is selling last years Pirate Swag Gear at a Discounted Price (while supplies last)! What's for Sale: Jackets, Dri Fit Long Sleeve Shirts, Dri Fit Long Sleeve Hoodies, A Few Fishing Shirts (most sizes available) and other cool gear! Stop by and see them at the trailer this Friday night to get some awesome Xmas gifts and support your Crawford Pirates! Don't forget if you have not already renewed your Booster Club membership the deadline to do so is this Friday Nov. 2nd. Cost is $25. Volleyball Playoff Information: Lady Pirates will play Mart in the Area Round of playoffs. Area game will be held Thursday, Nov. 1st, at University High School at 7 p.m. GO LADY PIRATES! 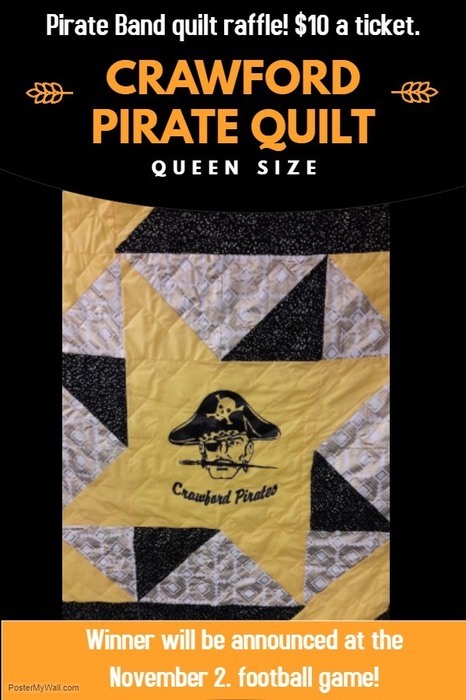 Raffle tickets are being sold for this beautiful Crawford Pirate quilt! Each ticket is $10. All proceeds will go to the Crawford Pirate Band! Tickets will be on sale tonight at the 3rd & 4th grade PTO Program! 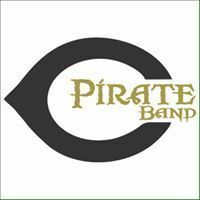 Support our Pirate Band!! Crawford ISD will have an Early Release on Monday, Nov. 5th due to hosting the District FFA LDE Contest. 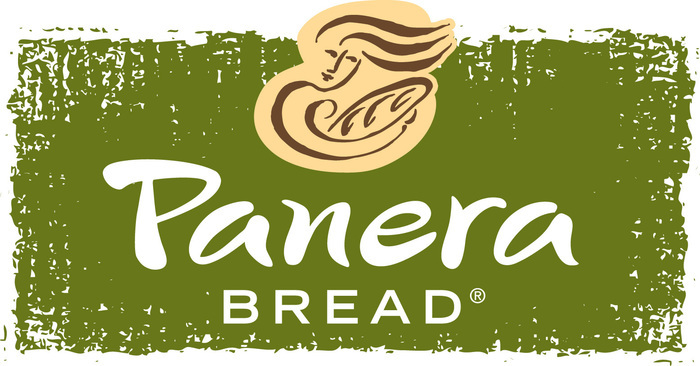 Elementary will release at 12:45 and High School will release at 1 p.m.
Crawford Spanish Fundraiser Bread Orders will be in and ready for pick up at 3pm tomorrow (Tuesday, October 30th) in the High School lobby! 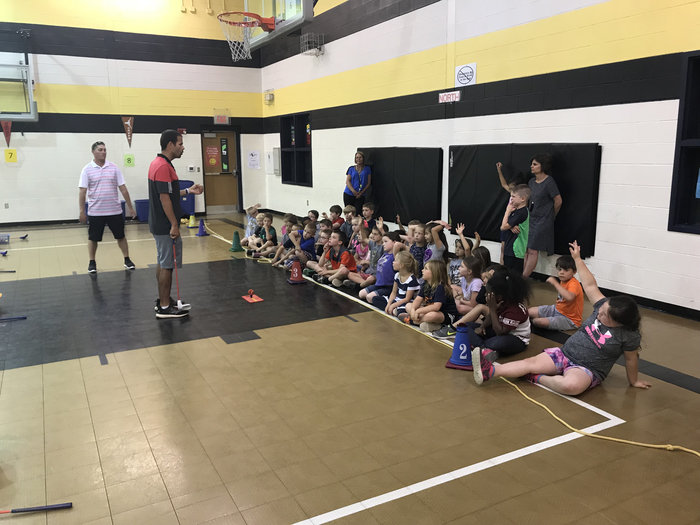 3rd & 4th grade PE Program will be tonight starting at 7 p.m. in the High School Gym! Come out and support these Little Pirates as they have been working hard to get ready to put on a great show! Students participating need to be here by 6:45. Congrats to Brendan Hickok! 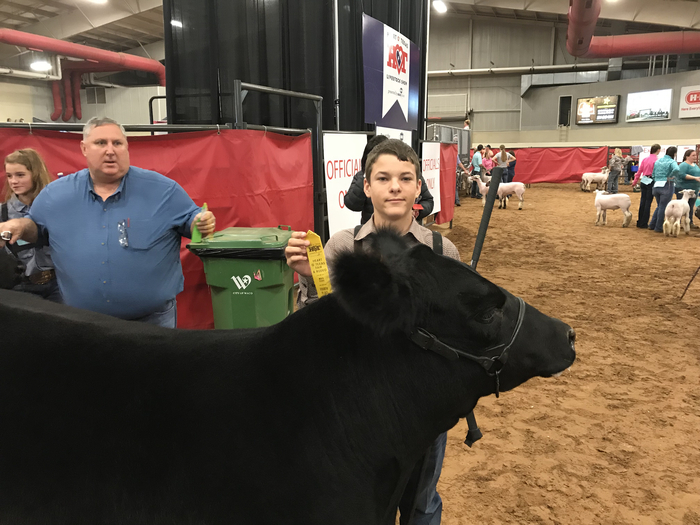 He had the Champion Steer at the Crawford Livestock Show! Congratulations to Megan and Mason Perry! 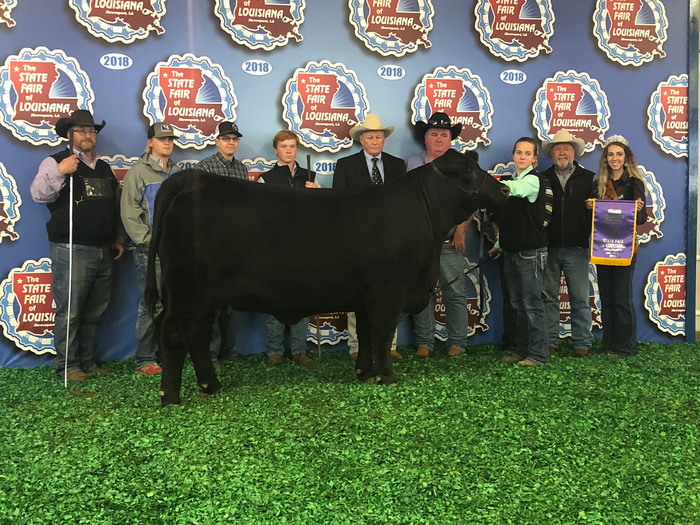 They had champion Heifers at the State fair in Louisiana and Oklahoma! 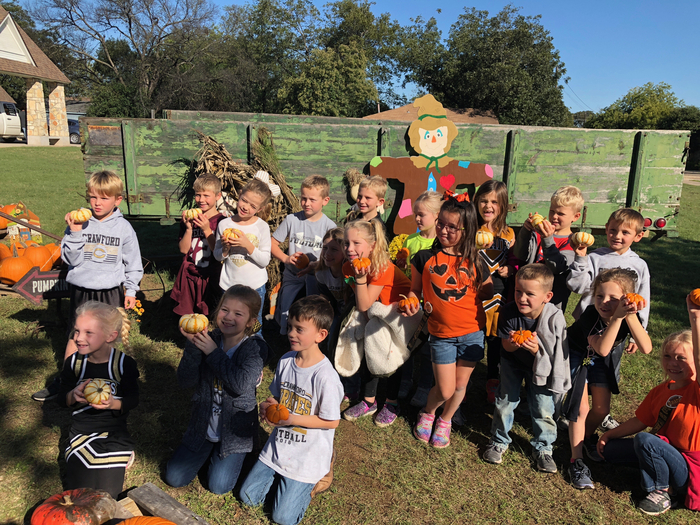 Thanks to First Methodist Church of Crawford for hosting our 1st graders today at the Pumpkin Patch! 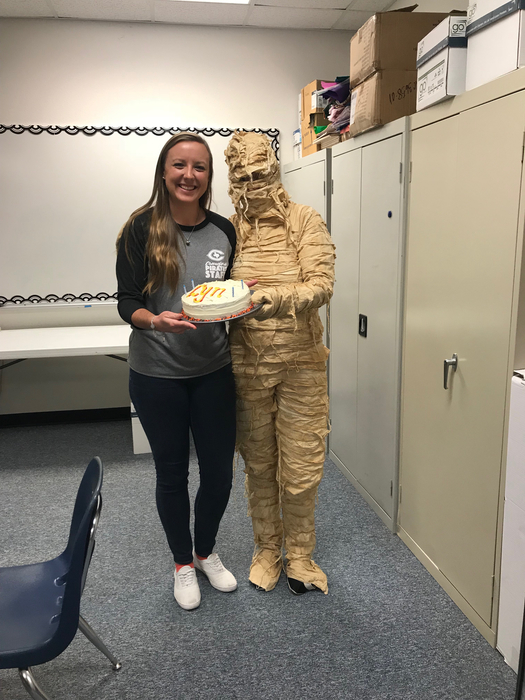 Ms. Shannon’s “Mummy” (mom) surprised her today for her birthday! Happy Birthday Ms. Shannon! Volleyball Playoff Information: Lady Pirates have a bye in the 1st round and will play the winner of Mart and Rosebud-Lott in the Area Round. Area game will be held Thursday, Nov. 1st, at University High School. Stay tuned for more info on time and opponent! GO LADY PIRATES! 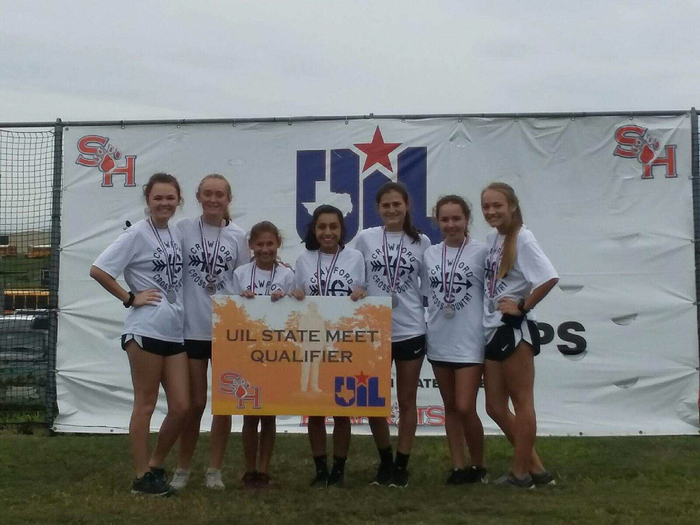 News from Regional Cross Country Meet: Girls were 2nd place team and qualified for state! Dawsen Holly placed 1st. Sadey Paniagua was 7th. Congratulations!!! 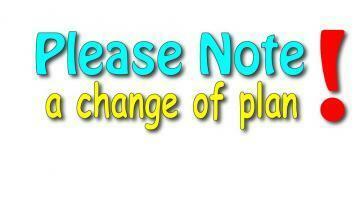 Next Monday’s PTO program has been changed to 7:00 pm. 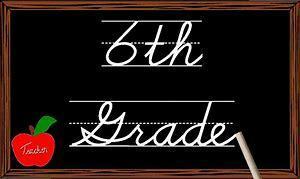 3rd & 4th grade students need to be in the High School gym at 6:45. Elementary Parents: Pep Rally has been moved to 2:55 so students who are being picked up to go to the pep rally will be called out of class at 2:40. Otherwise, we will have normal release. Tomorrow nights football game has been moved to Whitney because of our field conditions due to the rain. We will still be the home team and game will start at 7:30. 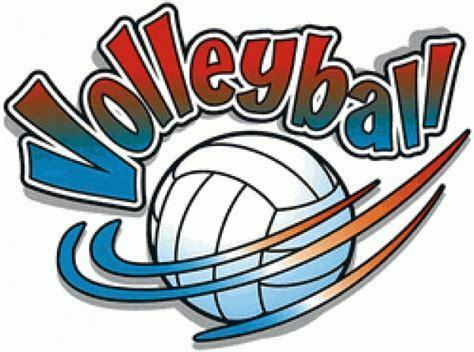 Home Vollyball games vs Bosqueville will start at 4 p.m. tomorrow. Pep Rally will start 15 minutes early, starting at 2:55. Crawford ISD will dismiss at the normal time. Future Crawford Cheerleader Mini Camp will be Saturday, Nov. 3rd! Look for registration form in backpacks on Monday, Oct. 22nd. Congratulations to our Lady Pirates & to Coach Coker! 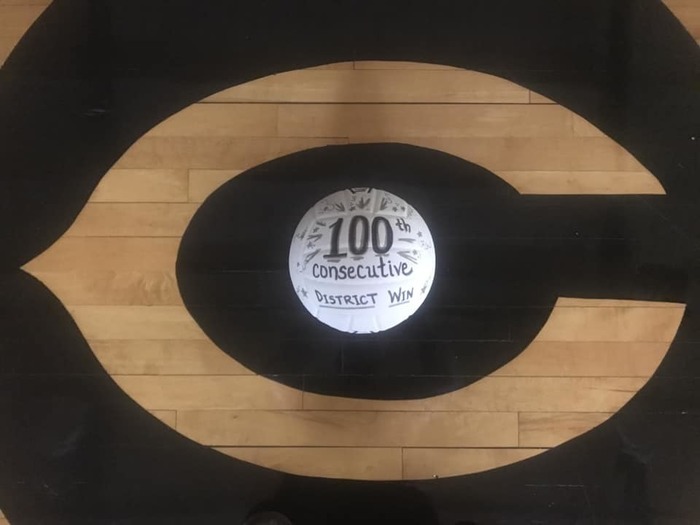 They won their 100th straight district Vollyball game last night! Coach Coker’s Lady Pirates haven’t lost a district game since 2011! 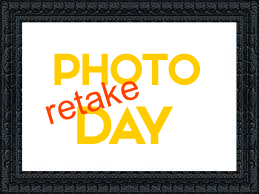 Tomorrow is picture re-take day for Fall pictures! 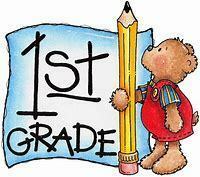 Elementary will take their retakes first thing in the morning followed by Junior High and High School. Come out and celebrate the Pirate Band's achievements as they host a community performance! The band will be attending their first UIL Marching Contest in six years the following morning. Free hot chocolate and popcorn while supplies last! 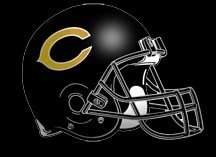 Football Change for Thursday: JV will play at Jarrell starting at approximately 7:30 p.m. 7th & 8th grade will still play at Goldthwaite starting at 5 p.m. 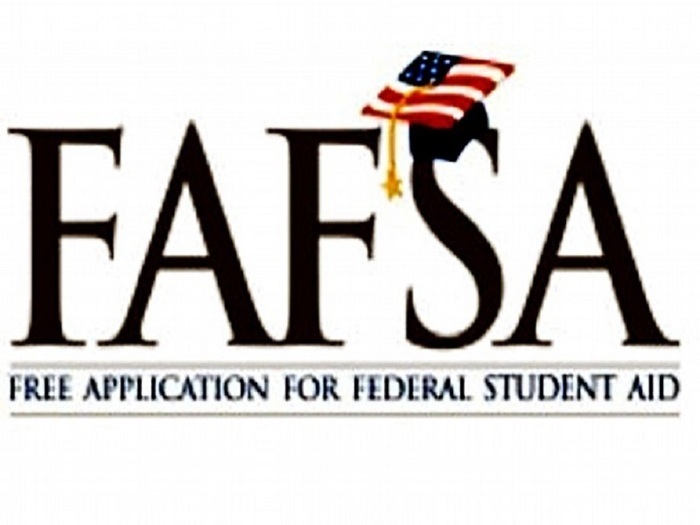 There will be a FAFSA (Free Application for Federal Student Aid) presentation for senior parents THIS WEDNESDAY in the high school library beginning at 6:00 pm. A representative from the Waco Foundation will present helpful information regarding college financial aid. Last Day to Purchase Your Coupon Book is THIS WEDNESDAY!! The Junior Class is selling these coupon books. The free oil change from Texas Star Auto Repair is back in the book again! Actually, everything in the Misc. Restaurant section, Entertainment, Auto, Health & Beauty, and General sections renewed again. 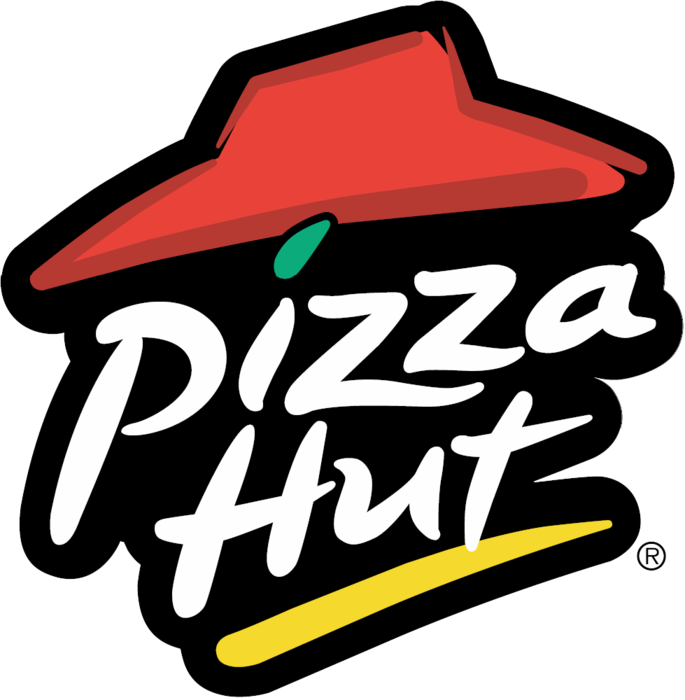 We lost a few restaurants in the Casual Dining section and replaced them with Logan's Roadhouse, Applebee's, Rosati's, Hecho In Waco Mexican Cuisine, Scotty's Brewhouse, Bella Luna Italian Restaurant, Stone Hearth Indian Cafe, Salty Dog Sports Bar, Schlotzsky's, CiCi's Pizza, Popeyes, and Double Dave's Pizzaworks! Contact any Junior to get your coupon book!! Congratulations to Gavin Reich ! 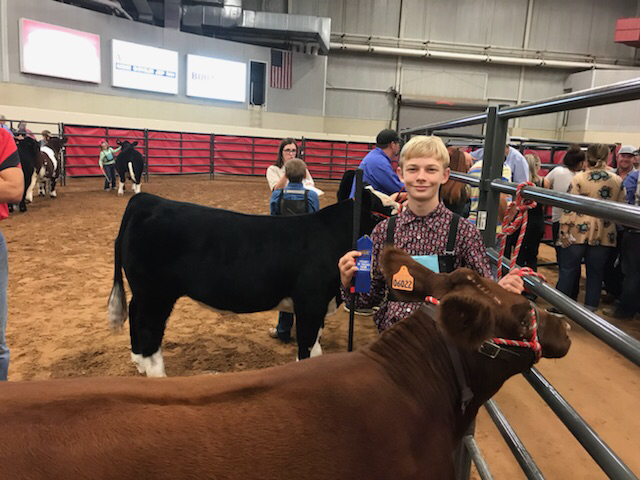 4th place at the fair with his steer! Tonight is our 9th Annual Pink Out Night! 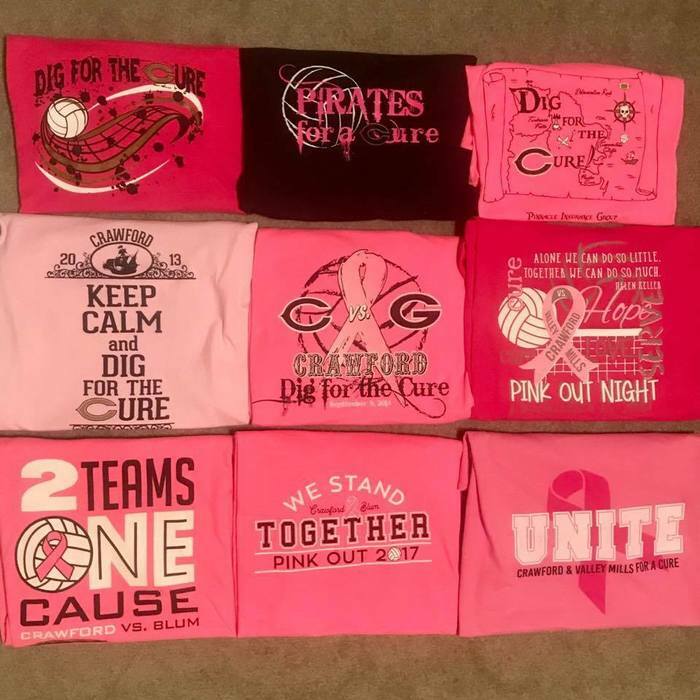 Here is a look back at the Pink Out Shirts over the years! Make plans to join us tonight as we UNITE for a Cure! 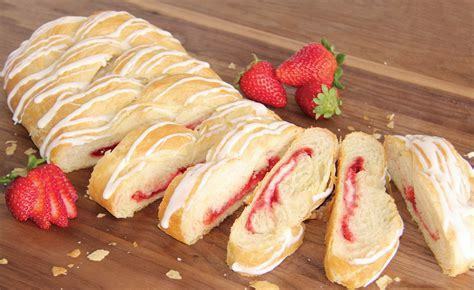 Bake Sale starts at 2:30 p.m. Silent Auction will run from 3 - 6 p.m. (approx). Pep Rally will start at 3:10. 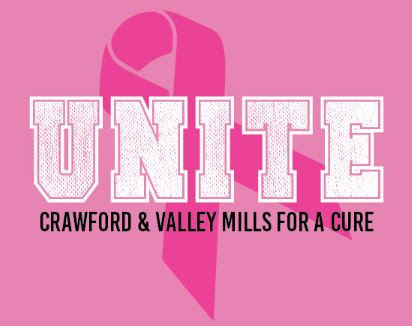 Vollyball games start at 4:30 when Crawford & Valley Mills will UNITE for a Cure! All Proceeds will benefit the Jimmy V Foundation for cancer research. 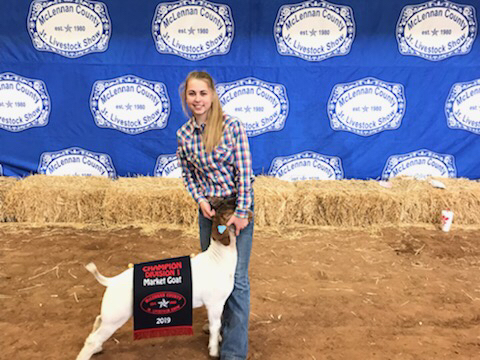 Congratulations to Rylie DeLeon who placed 9th with her goat at the Heart of Texas Fair! 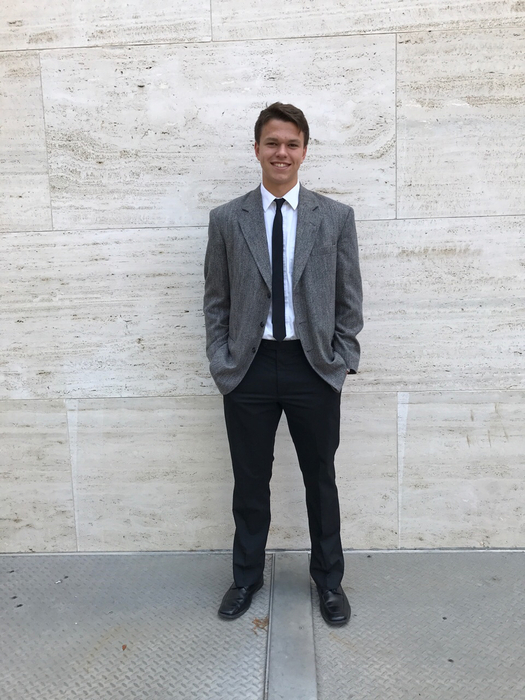 Congratulations to Brendan Hickok! 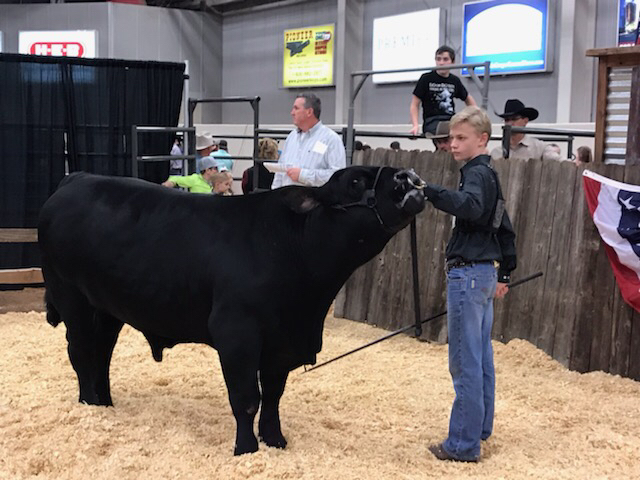 He placed 1st, 3rd, and 4th with steers at the Heart of Texas Fair! 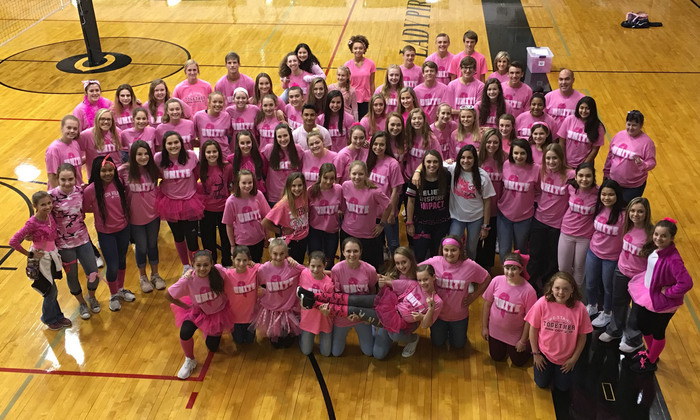 It's Pink Out Day at CHS! Varsity girls finished 2nd at the District Cross Country Meet and are advancing to regionals! Dawsen is the district champ and Sadey finished 6th! Boys Cross Country placed 4th overall with Dalton Compton placing 9th and advancing to regionals! Great job to both teams and to Coach Buie! Congratulations to our Junior High Cross Country teams! Junior High boys are the District Champs and the girls finished 3rd! 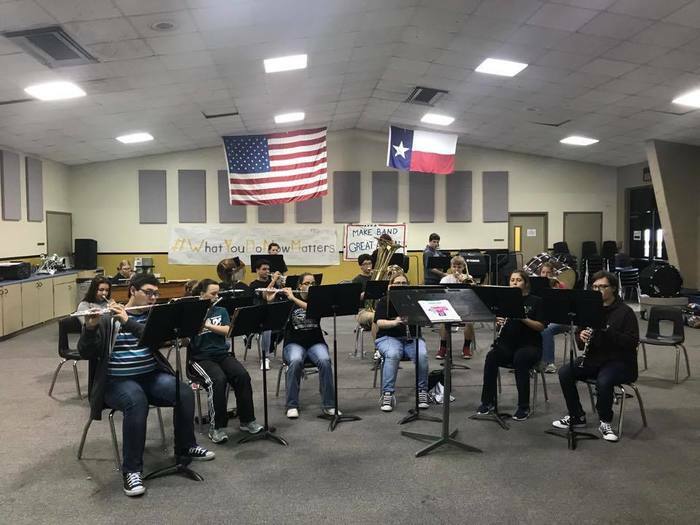 Come out and celebrate the Pirate Band's achievements as they host a community performance! The band will be attending their first UIL Marching Contest in six years the following morning. Free popsicles while supplies last! 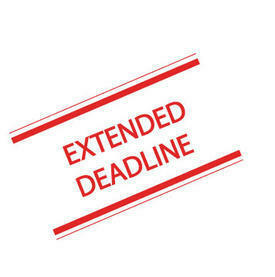 DEADLINE IS TOMORROW! Juniors & Seniors: The window for Dual Credit Spring Enrollment closes tomorrow. Students need to stop by and see Mrs. Allovio to pick up an enrollment form if they want to take any dual credit classes in the spring. There will be a FAFSA (Free Application for Federal Student Aid) presentation for senior parents on Wednesday, October 18, in the high school library beginning at 6:00 pm. A representative from the Waco Foundation will present helpful information regarding college financial aid. Elementary Parents: "Cookie Dough Sales" Items MUST be picked up TODAY at the Elementary Cafeteria between 11 a.m. - 4 p.m. Please use the back entrance! Elementary Parents: "Cookie Dough Sales" Items MUST be picked up at the Elementary Cafeteria tomorrow between 11 a.m. - 4 p.m. Please use the back entrance! 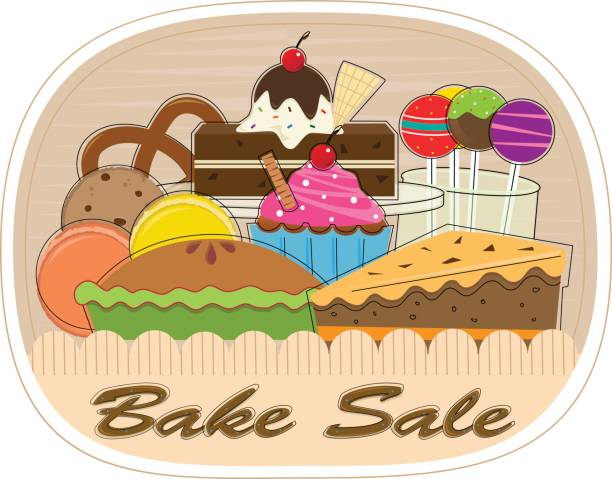 The Junior class will have a Bake Sale on Friday, October 12th at the football field. Please stop by our table of goodies as you cheer on the Pirates! 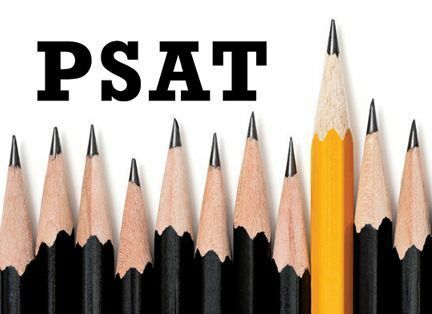 For students who have signed up to take the PSAT: The PSAT Test scheduled for Wednesday, October 10 will begin at 8:00 am. Please note: Students who arrive late will not be permitted to take the test. 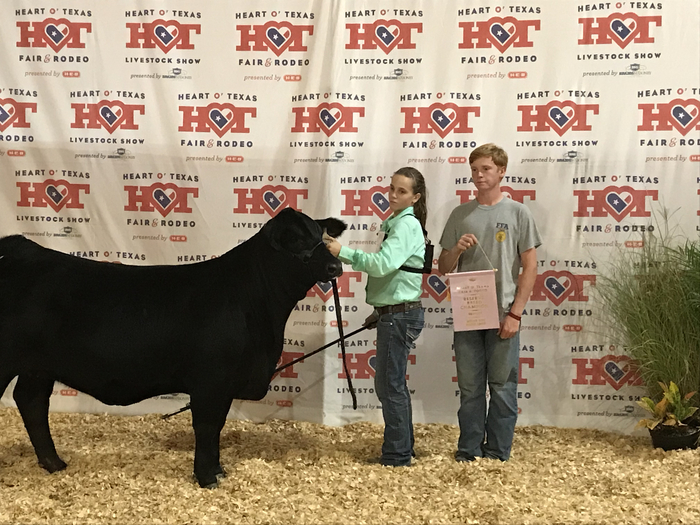 Megan Perry got Reserve Champion Brangus heifer and Champion American breed at HOT Fair! Congratulations!! JUST A REMINDER! Crawford ISD will be closed next Monday, Oct. 8th. Enjoy your 3 day weekend! Juniors & Seniors: The window for Dual Credit Spring Enrollment opens today. Students need to stop by and see Mrs. Allovio to pick up an enrollment form if they want to take any dual credit classes in the spring. The forms are due Oct. 12th. 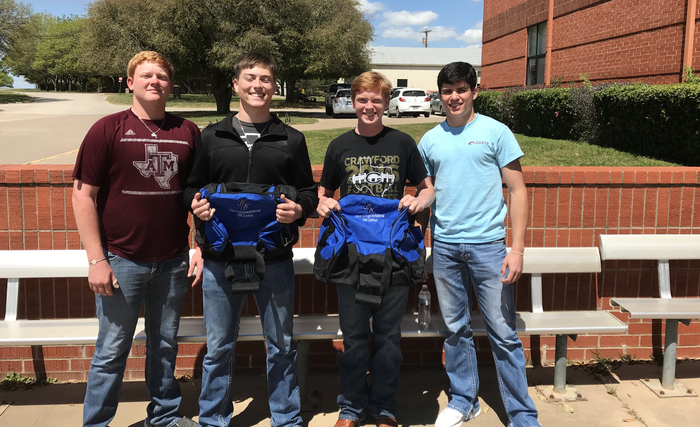 Thanks to Midway FFA for donating over 100 safety sleeves to Crawford ISD! 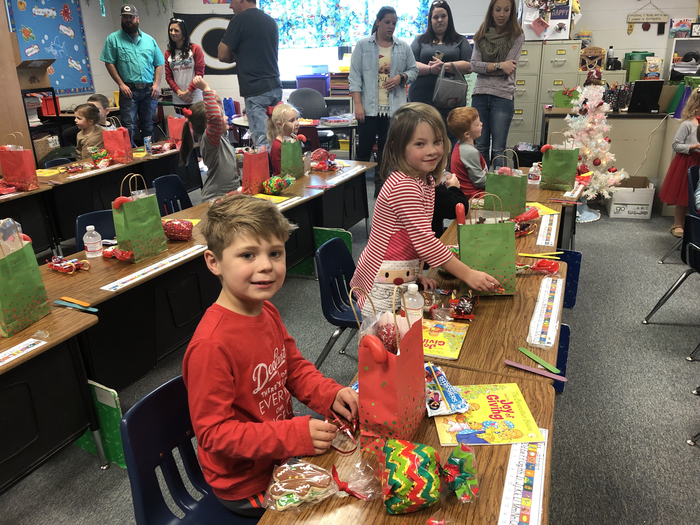 The sleeves are part of their Blue Heart Project that has benefitted the schools in Midway ISD as well as several small rural districts around Waco. MANY THANKS TO MIDWAY FFA for donating the sleeves to our district! These sleeves are just an extra line of defense to help keep our Pirates safe! Pictured below is Krista Burch (Midway FFA), Monte Pritchett (Crawford HS Principal), Linda Stout (Crawford Elementary Principal), and Shawn Rejcek (Midway FFA). Crawford ISD will be closed next Monday, Oct. 8th. Enjoy your 3 day weekend! Please Note: Junior High and High School Fall Yearbook Pictures will be taken this Wednesday, Oct 3rd! Volleyball Change: Due to some injuries at Abbott, this Friday there will only be 2 VB games played at Crawford. Varsity at 4:30 and JV Gold after. The JV Black will not have a game. 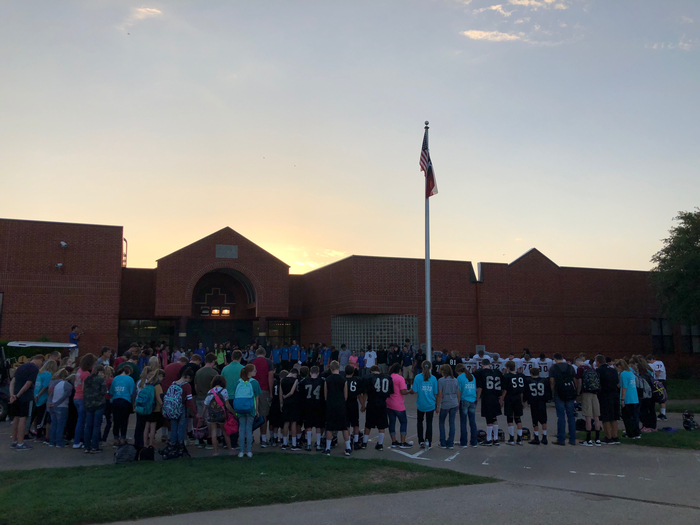 Crawford ISD See You At The Pole! 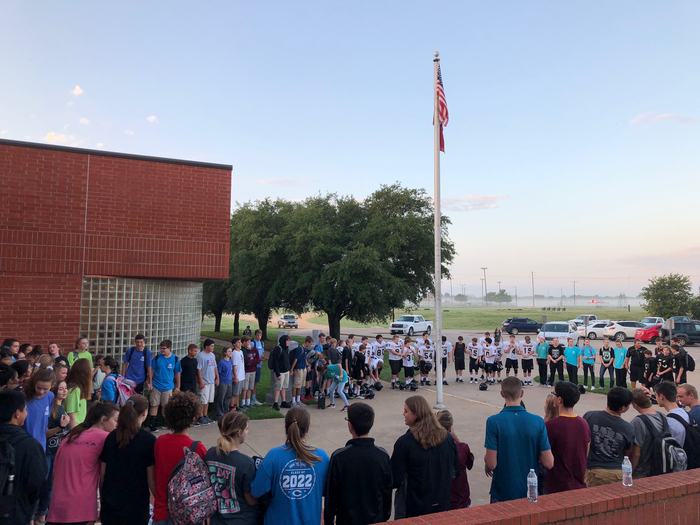 See You At The Pole will be held Wednesday morning, September 26th, at 7:30 a.m. at the High School Flag Pole! Just a heads up that today's Blackout Pep Rally starts at 3:10. Make sure you get here early as doors WILL NOT be opened once shut. The Junior Class will start selling coupon books on Monday (Sept. 24th)! By the way, the free oil change from Texas Star Auto Repair is back in the book again! Actually, everything in the Misc. 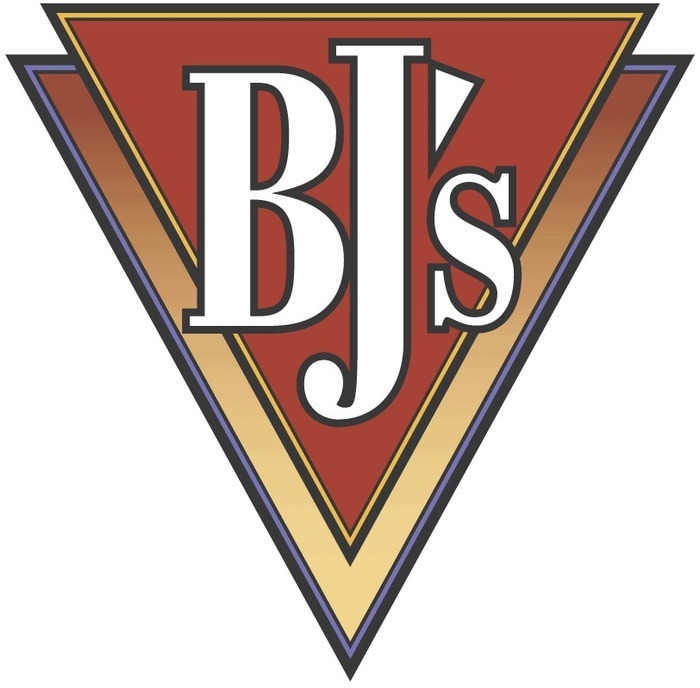 Restaurant section, Entertainment, Auto, Health & Beauty, and General sections renewed again. 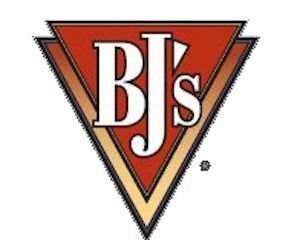 We lost a few restaurants in the Casual Dining section and replaced them with Logan's Roadhouse, Applebee's, Rosati's, Hecho In Waco Mexican Cuisine, Scotty's Brewhouse, Bella Luna Italian Restaurant, Stone Hearth Indian Cafe, Salty Dog Sports Bar, Schlotzsky's, CiCi's Pizza, Popeyes, and Double Dave's Pizzaworks! Contact any Junior to get your coupon book!! 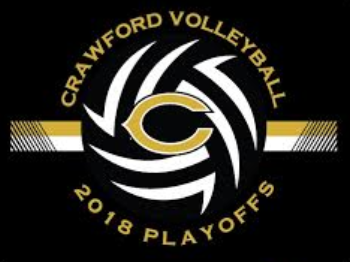 With District VB play kicking off tonight, please be aware that District Vollyball rules (not set by Crawford) raised the ticket prices for this season. Adults will be $4 and students $3 at all district games at all locations. What a great morning at Crawford Elementary!! Cheerleaders greeted the students as they arrived as well as Pirate Band members! 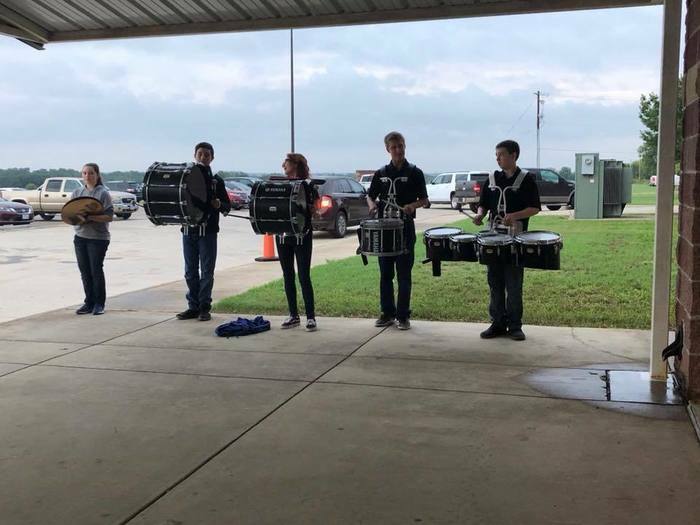 The students also enjoyed the band playing for them as they arrived to kick off Friday Homecoming festivities !! Got a twitter account? Follow @FcaCrawford! This is the official page for Fellowhip of Christian Athletes at Crawford ISD! 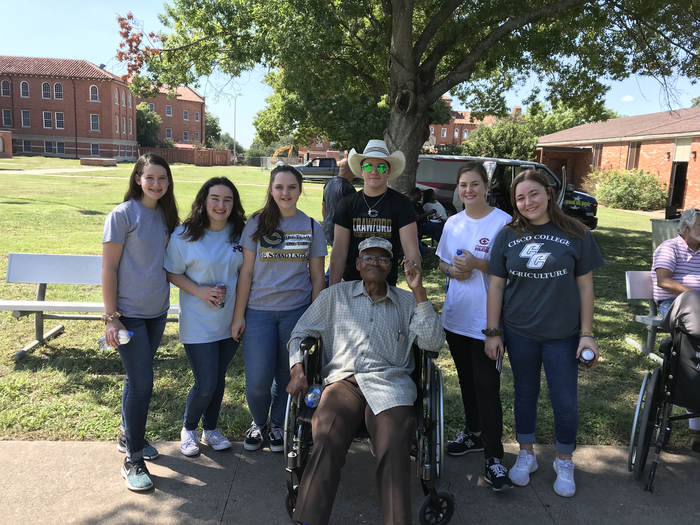 FFA students enjoyed visiting with veterans at the VA Hospital today! 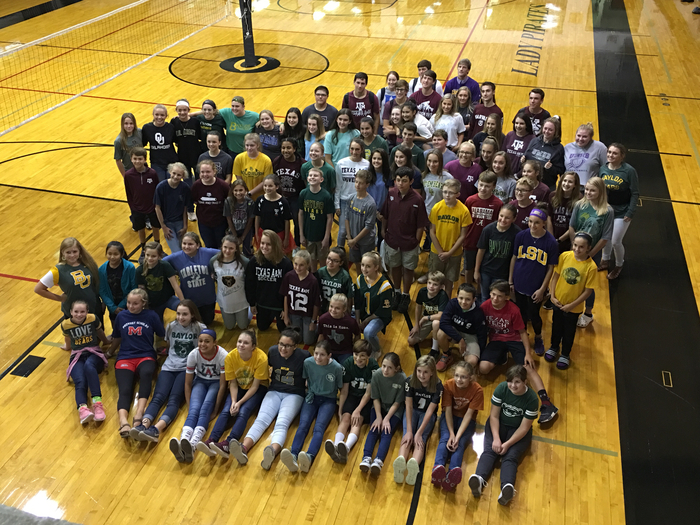 It’s College Shirt Day today! Thanks to all who participated! Tomorrow is Workout (brands) Wednesday! Homecoming Week has kicked off with "Merica Monday! Thanks to all who participated! 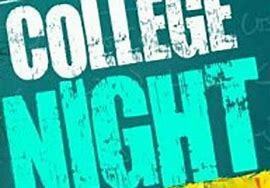 Tomorrow is College T-Shirt Day. Workout (brands) Wednesday. Camo Thursday and Blackout Friday. 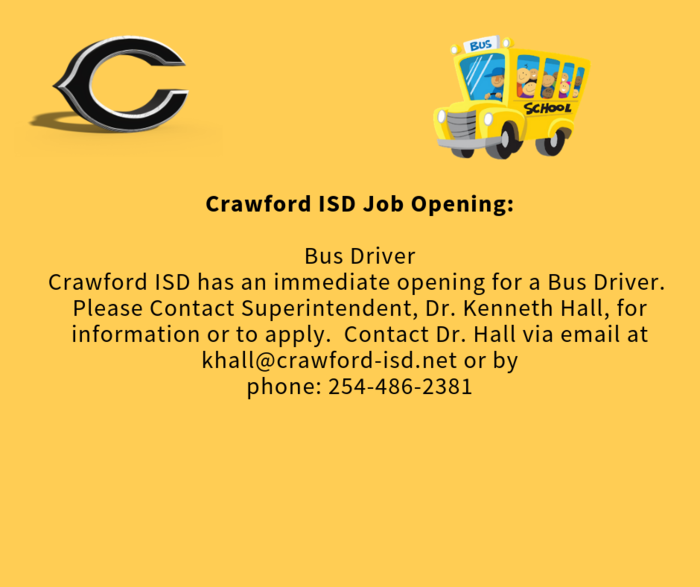 Crawford ISD has an immediate opening for a Bus Driver! Contact Dr. Hall to apply. 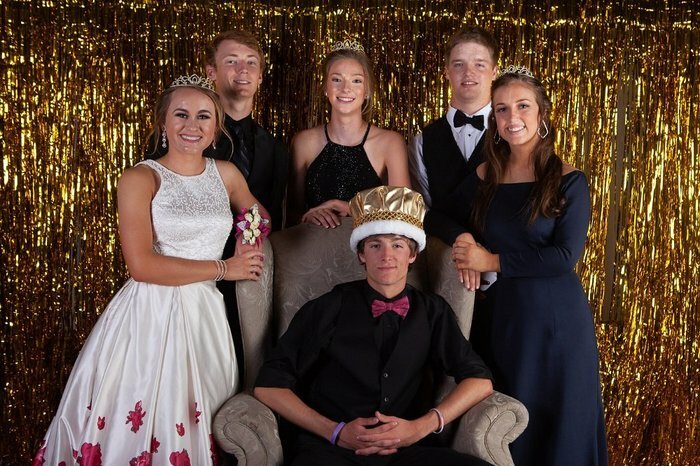 7th -12th graders... Homecoming 2018 is this week! Monday is ‘Merica Monday (red, white&blue). Tuesday is College T-Shirt Day. Workout (brands) Wednesday. Camo Thursday and Blackout Friday. PLEASE NOTE: Tomorrow's Cross Country Meet has been cancelled. Crawford High School will host an informational meeting about the Free Application for Federal Student Aid (or the FAFSA) for seniors and their parents. A representative from the Waco Foundation will present the information. 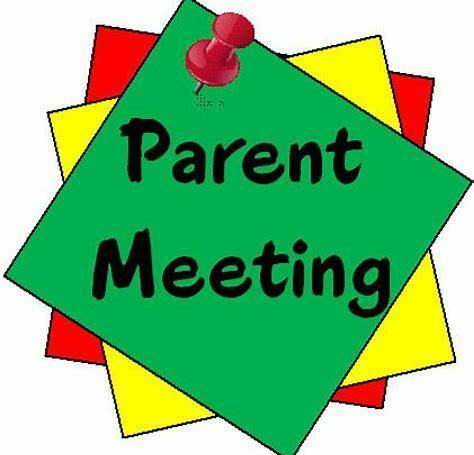 The meeting for senior parents will be held at Crawford High School on Wednesday, October 17 at 6:00 pm in the High School Library. The FAFSA information will be presented to students on September 19 during the school day. 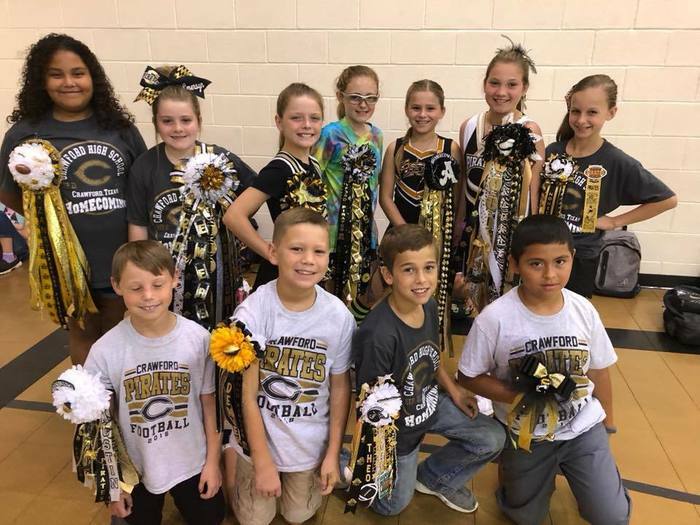 Elementary Parents: In the morning, there will be some cheerleaders at the elementary greeting our little pirates and also selling spirit ribbons for tomorrow's game! Ribbons will be $1 and pins will be $2. Crawford FFA meat & cookies fundraiser is currently underway and will run until Sept. 24th. Contact any FFA member or call Art Hunter at 254-715-8923 to place your order! 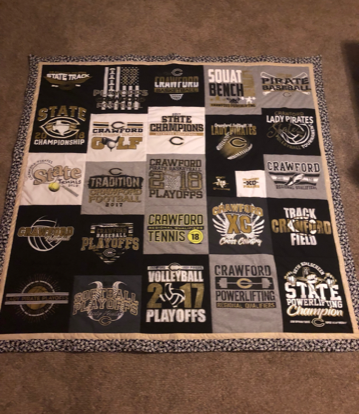 The Booster Club is raffling off a homemade quilt made out of Crawford t-shirts! Tickets are $5 each or get 5 chances for $20! Drop by the Booster Club trailer to purchase or contact any Booster Club member! It will be raffled off at halftime of the Homecoming game. Thanks to all who supported Booster Club by purchasing tickets for the VIP spots! Congratulations to Phil Albritton and to Ray anderson for winning the spots!! Due to travel time required for the football game, Crawford ISD will have an early release this Friday. Elementary will release for the Pep Rally at 2:15. Pep Rally will start at 2:30. Elementary will then release for the day at 2:40. High School will be dismissed as the end of the pep rally which should be around 2:50. It is a great morning at Crawford Elementary! Crawford Volleyball team is serving as greeters this week! JV Football game has been cancelled due to weather. 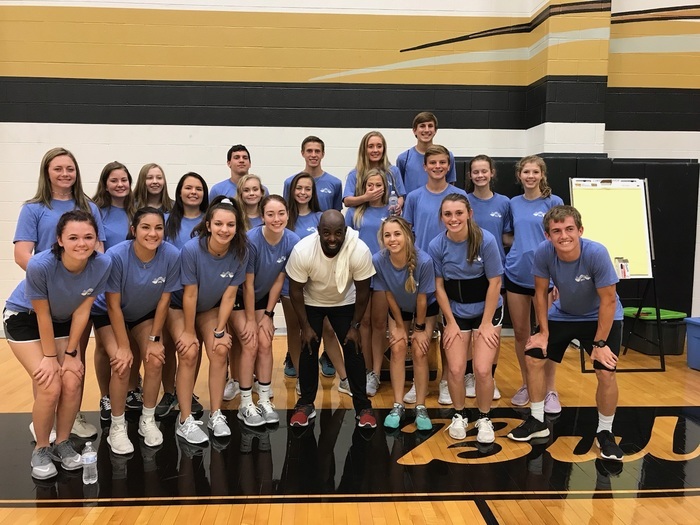 Crawford High School PALS had a great day in McGregor yesterday going through training with Tory Gant! HURRY BEFORE TIME RUNS OUT to buy your chances for the VIP Parking Raffle! The Booster Club is raffling off TWO VIP parking spaces right at the front gate! Tickets are $5 each or 5 chances for $20! Don’t miss your chance to be a Very Important Pirate for all home games at Pirate Field! Drop by the Booster Club trailer to purchase or contact any Booster Club member! CAN'T MAKE THE GAME? No problem! Contact a Booster Club member and they will meet you and get you tickets! 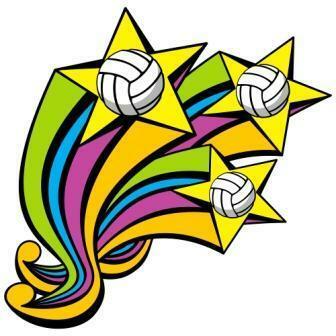 Junior High VB Changes: Valley Mills only has 3 teams so tomorrow's games at Valley Mills is at 5:00 (W, B, G). Oglesby on Sept 17 will have 2 teams so 5:00 with B and G playing. MARK YOUR CALENDAR! Elementary Fall Pictures will be taken next Wednesday, Sept. 12th! Important Note for Parents of Elementary Students: Our school uses PickUp Patrol for parents to communicate dismissal plan changes and to report absences to the school. Changes can be entered from a smartphone or computer days, weeks, or months in advance, and at any time up until 2 p.m. on the day of the change. New PickUp Patrol App PickUp Patrol has introduced a new app. •	Easier, faster logins •	Quick entry for plans that repeat on multiple dates •	Review and edit Default Plans directly in the app •	Instant updates for access to new features The new app is delivered through the web rather than from an app store. Returning Parents Here’s how to get the update: 1. 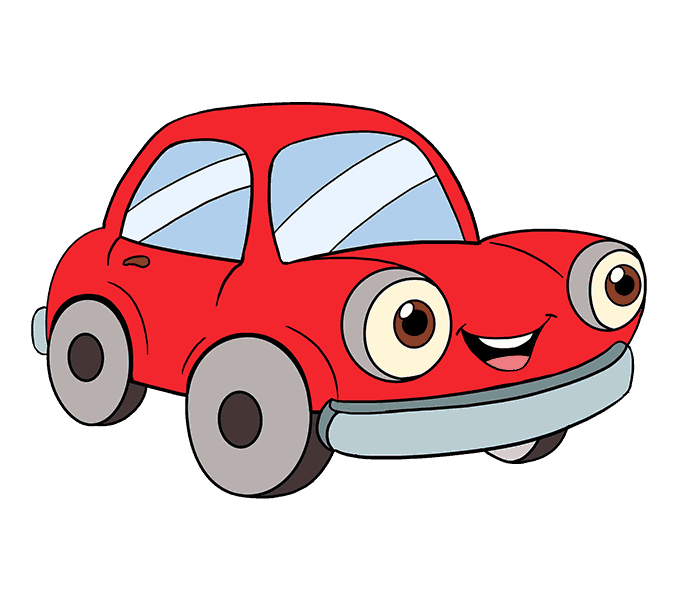 Open this link: https://app.pickuppatrol.net/parents New Parents If you don’t have a PickUp Patrol account yet, we will be sending you an email with registration instructions. PLEASE NOTE: Crawford ISD will be closed next Monday for Labor Day. Enjoy your three day weekend! 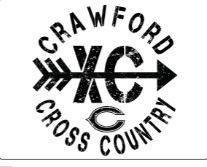 There will be a cross country parent meeting tomorrow night at 6:30 pm in Coach Buie's room (room 128). 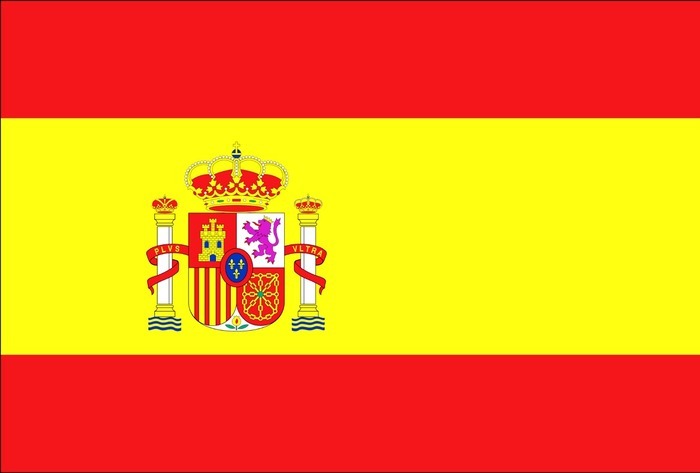 SOPHOMORE & JUNIOR PARENTS: There will be ONE FINAL interest meeting for the Spain 2019 trip (June 10 - 19) on Sunday, August 26th from 2:30 - 3pm at the High School Library. For those interested in more information now or unable to attend the meeting, please contact Mrs. Vaughan at avaughan@crawford-isd.net. 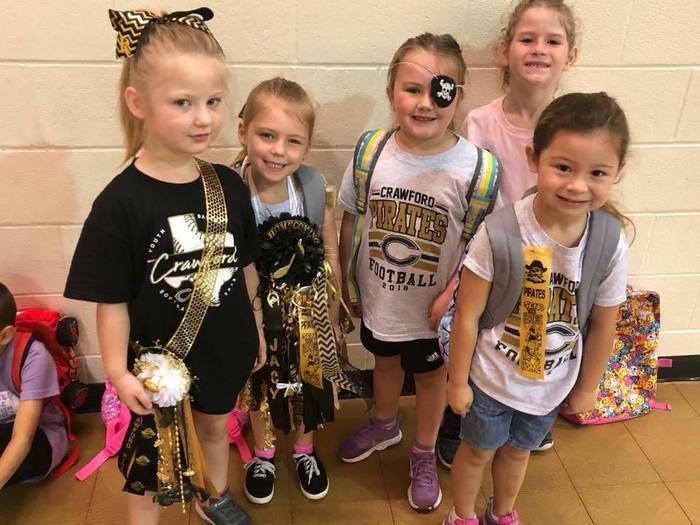 Our youngest Pirates will have a really fun welcoming committee waiting for them as they get dropped off at school on Thursday and Friday of this week! Our Varsity Pirate Football Team will be there to greet them! Spread the word to our Little Pirates!! 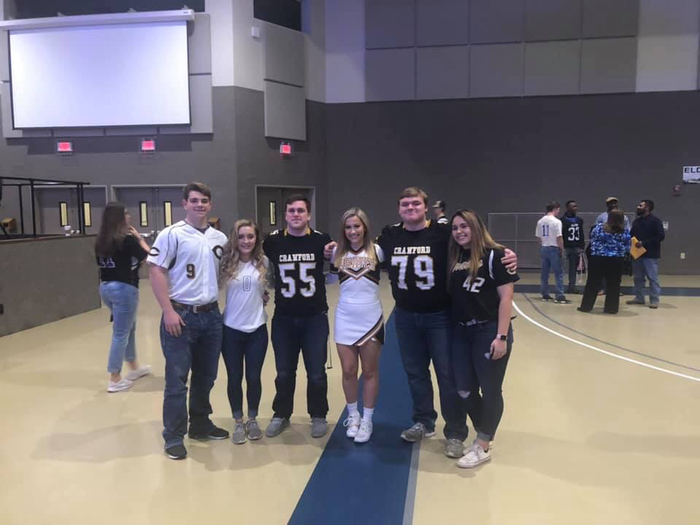 Next week the JV Football team will greet them and the following week the Cheerleaders will be there to help them get this school year started off! Blast Off/ Meet the Teacher Night will be held tomorrow night from 5:30 - 7:30 p.m.! This is an event you won't want to miss! Visit the food trucks that will be set up at the Elementary then all 3 campuses will be open so you can meet your teacher! 7th - 12th graders can pick up their schedule and locker assignment. Booster Club will be set up on each campus so you can buy your Pirate Gear! 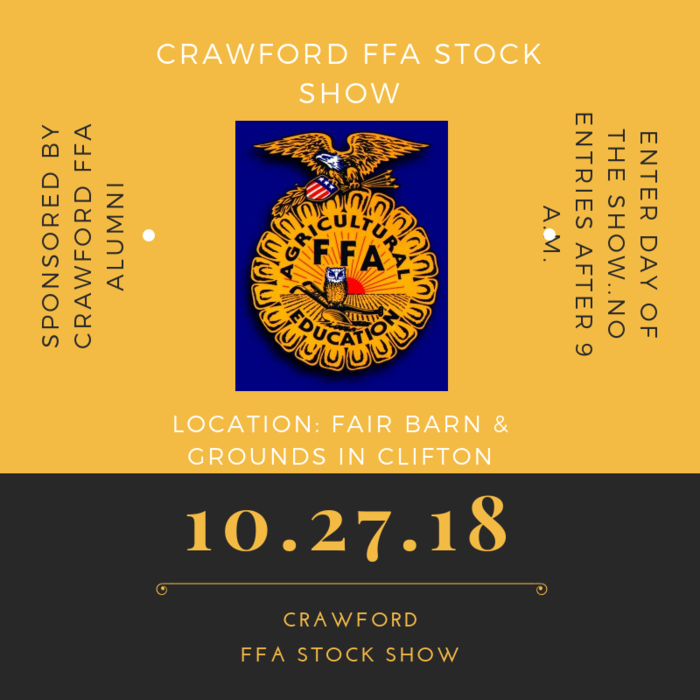 There will also be many other booths set up including PTO, Bus Routes, School Lunches, Girl Scouts, FFA, yearbook pickup at the High School, and MUCH MORE! 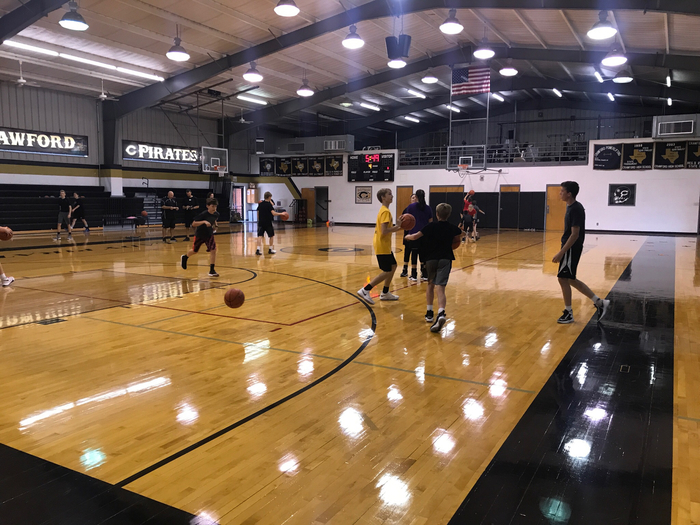 Finish off your night in the High School Gym cheering on your Lady Pirates as they host Little River Academy starting at 5 p.m.! BE LOUD...BE PROUD!!! 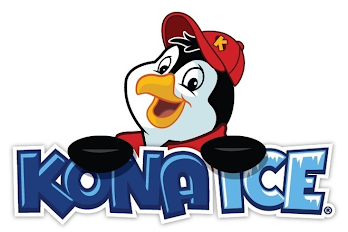 Kona Ice will be at the Elementary School during Blast Off! This is a Booster Club Fundraiser so all money raised will benefit your Pirates & Lady Pirates! 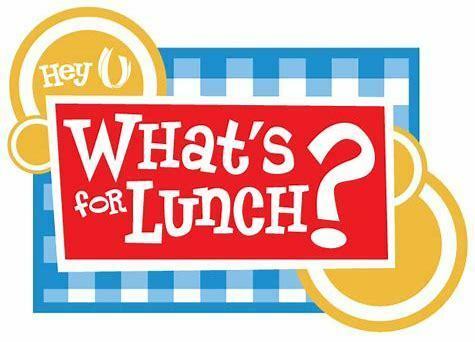 Wondering what you are going to eat for supper tomorrow night during Blast Off? 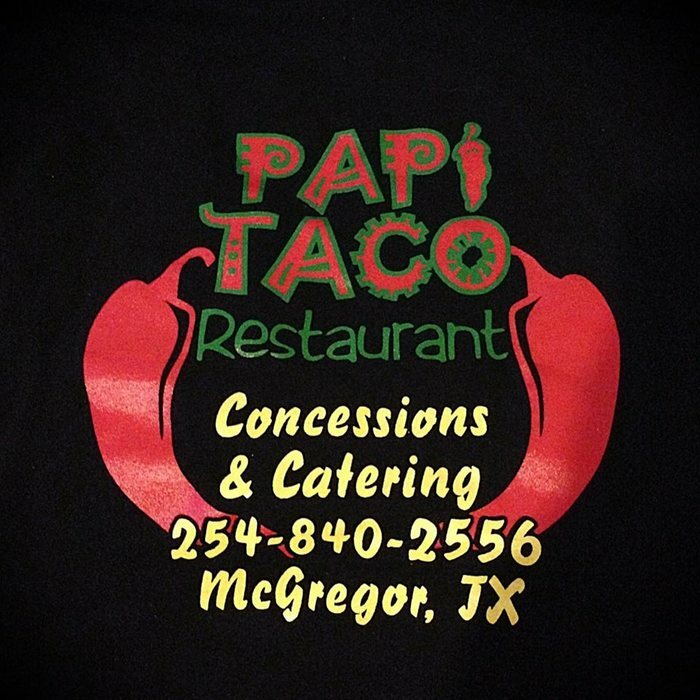 Papi Taco Food Truck will be set up at the Elementary and serving food starting at 5 p.m.! 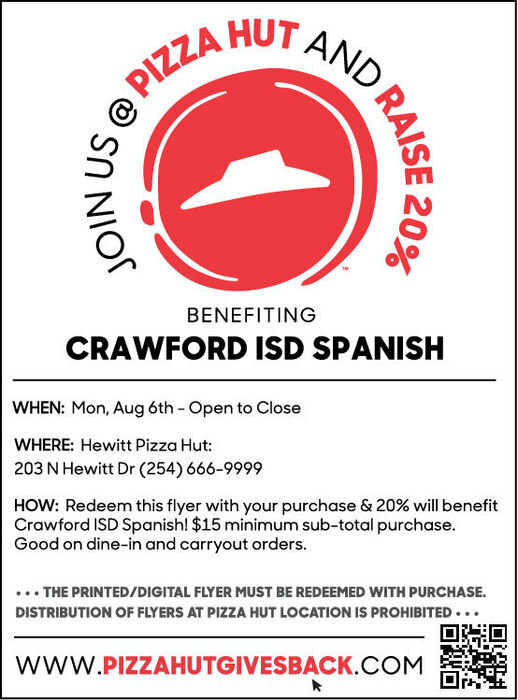 This will be a fundraiser for Crawford Spanish. FOOD TRUCK MENU: Tacos, Nachos, Funnel cakes, Corn dogs, Burgers, and Drinks! 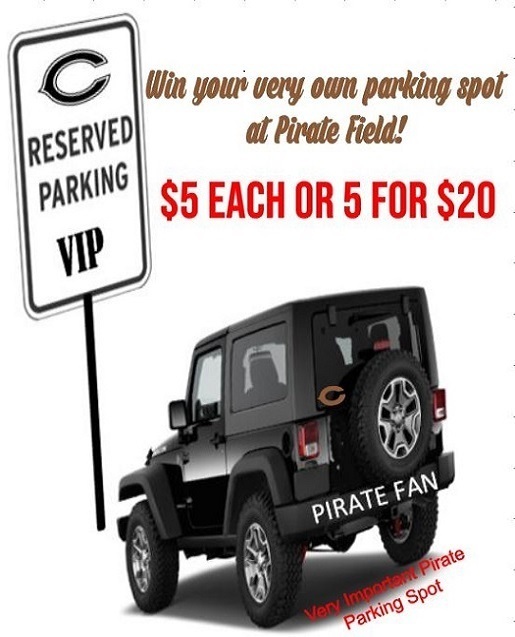 VIP Parking Raffle: Tired of searching for a parking space at Pirate Field? The Booster Club is raffling off TWO VIP parking spaces right at the front gate! Tickets are $5 each or get 5 chances for $20! 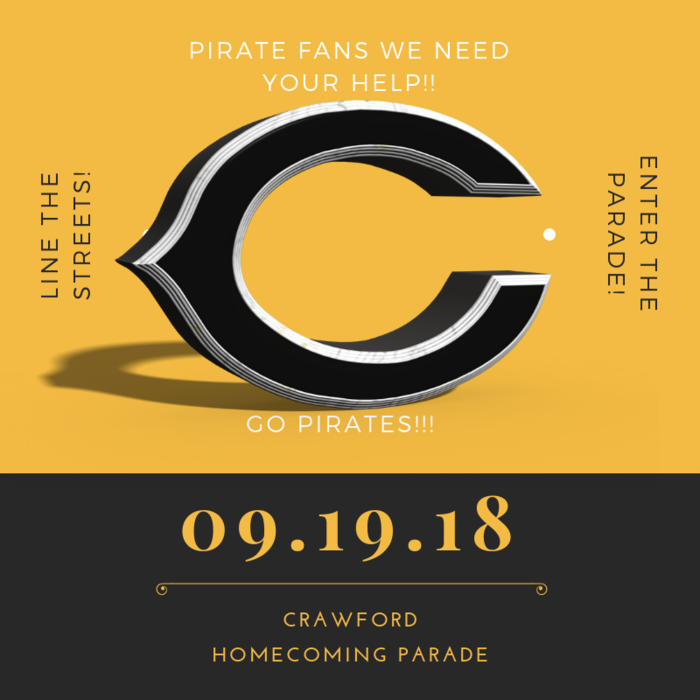 Don’t miss your chance to be a Very Important Pirate for all home games at Pirate Field! 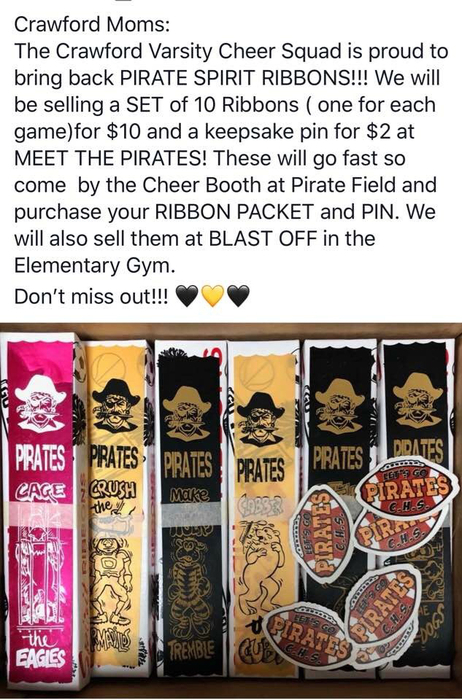 Get yours at Meet the Pirates or at Blast Off!! 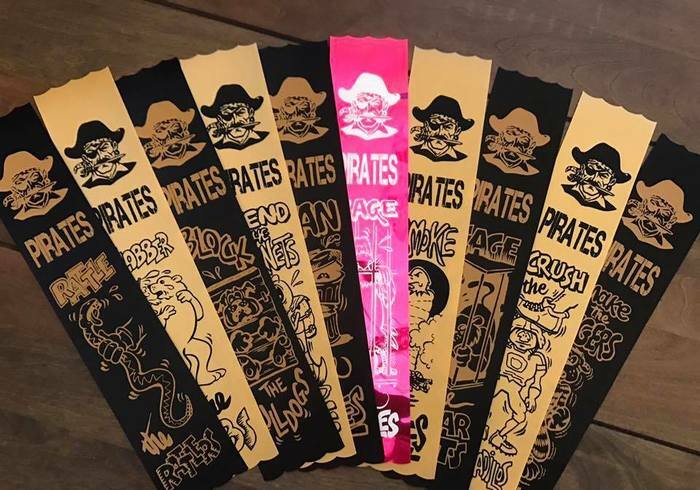 Pirate Fans: The Booster Club will be selling PIRATE FANS to keep you cool at all the football games! 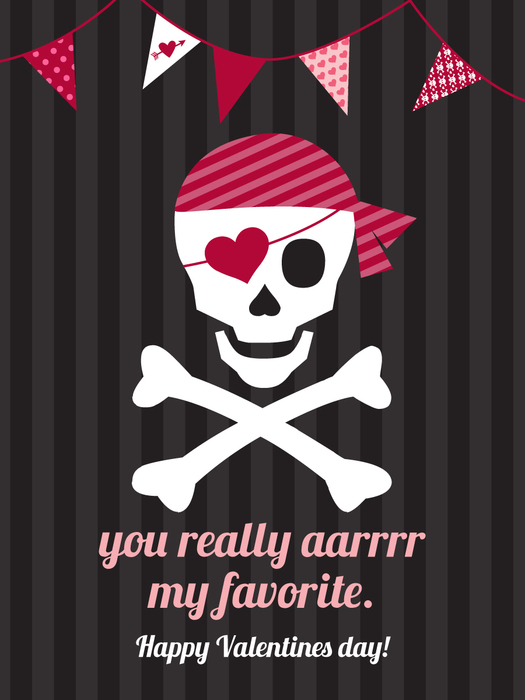 Get yours at Meet the Pirates and Blast off before they sell out! $3 each or get TWO for $5! 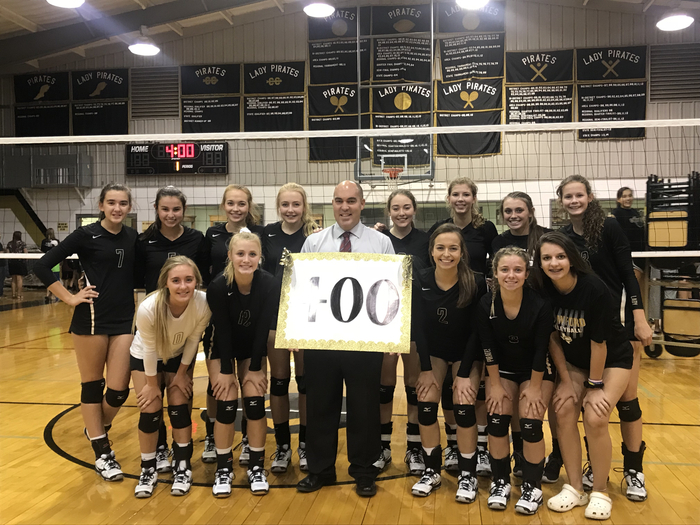 Coach Coker just got his 400th win tonight against Franklin! Congratulations to Coach Coker on this huge milestone!!! We are Proud of you!! Papi Taco Food Truck will be set up at the Elementary and serving food starting at 5 p.m. during Blast Off! This will be a fundraiser for Crawford Spanish. 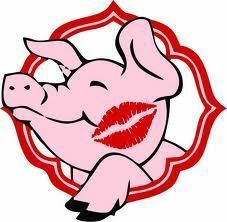 Please note...the Lions Club will not be cooking hamburgers this year at Blast Off. Mark Your Calendar! 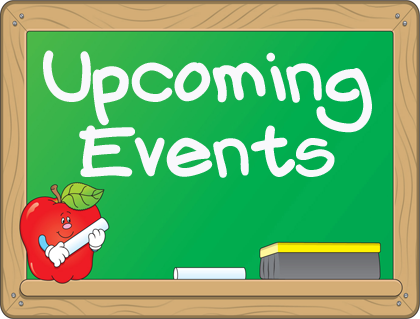 Blast Off/ Meet the Teacher Night will be held on Tuesday, August 21st from 5:30 - 7:30 p.m. This is an event you won't want to miss! Start your night at the Elementary where Papi Taco Food Truck will be set up and serving food starting at 5 p.m.! This will be a fundraiser for Crawford Spanish! Follow up your tacos with a Kona Ice! Kona Ice will be raising money for Crawford Booster Club! After you check out the food, all 3 campuses will be open so you can meet your teacher! 7th - 12th graders can pick up their schedule and locker assignment. Booster Club will be set up on each campus so you can buy your Pirate Gear and get your new football tshirt! There will also be many other booths set up including PTO & Bus Routes. You will also be able to pick up your yearbook at the High School if you purchased one! 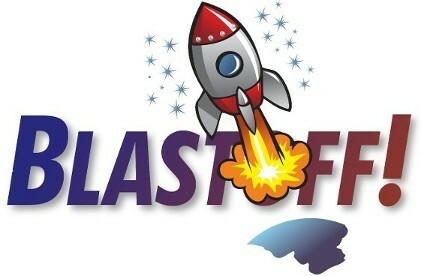 Lady Pirates will be hosting Little River Academy starting at 5 p.m. during Blast Off! Blast Off To-Do List: Eat your tacos, enjoy your Kona Ice, buy your Pirate Gear, meet the teacher and visit all the booths, then stop by the High School Gym and cheer on our Lady Pirates! BE LOUD...BE PROUD!!! Kona Ice will be at the Elementary School during Blast Off! This is a Booster Club Fundraiser so all money raised will benefit your Pirates & Lady Pirates! Mark Your Calendar! Blast Off/ Meet the Teacher Night will be held on Tuesday, August 21st from 5:30 - 7:30 p.m.
Hey Pirate Fans!!! Homemade Ice Cream Needed for the Meet the Pirates/Homemade Ice-cream Social that will be held on Friday August 17th at Pirate Field! Make & bring your favorite homemade ice cream! 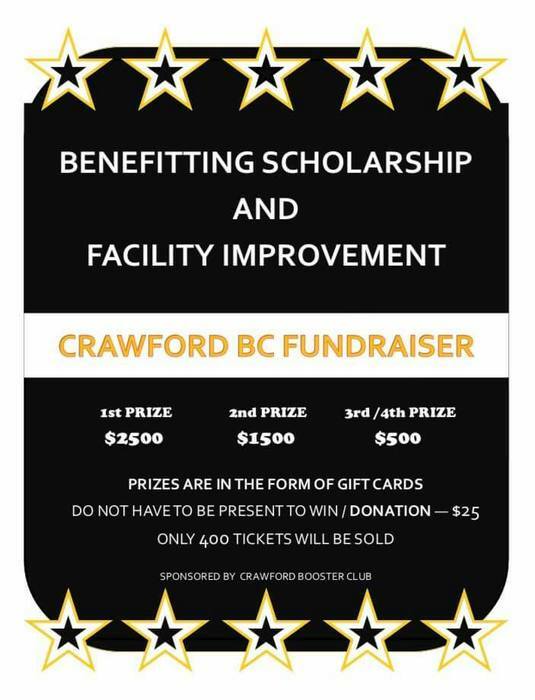 The Crawford Booster Club will provide cups and spoons, you just need to bring a serving spoon. Tables will be provided by the school. 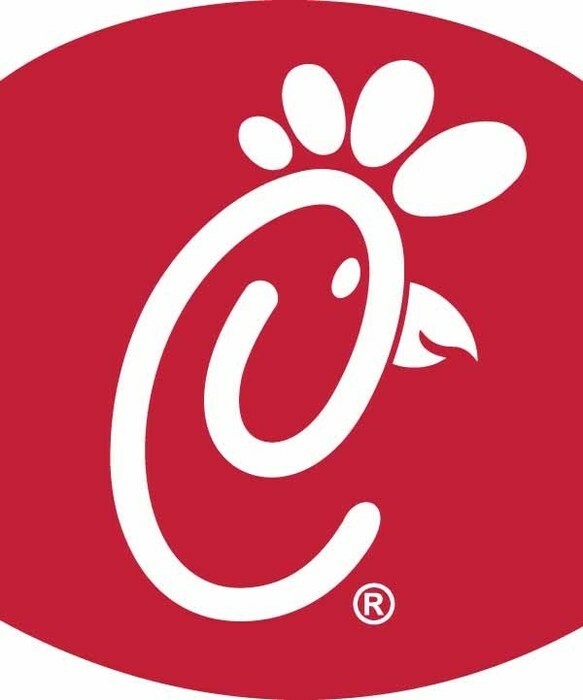 Serving will start around 8:30-8:45 PM after the Varsity Scrimmage. We will serve both Crawford and Hearne Coaches and Players. Varsity football parents are asked to serve in front of the concession stand while all others will serve on the opposite side next to the restrooms. This will allow the football players and coaches to be served quickly once they are finished. Bring your homemade ice cream already iced down in a cooler or keep at home until closer to the serving time. There is no freezer space to store ice cream at the field. Come share some ice cream while showing your Pirate Pride! Mark Your Calendar! Blast Off/ Meet the Teacher Night will be held on Tuesday, August 21st from 5:30 - 7:30 p.m. This is an event you won't want to miss! 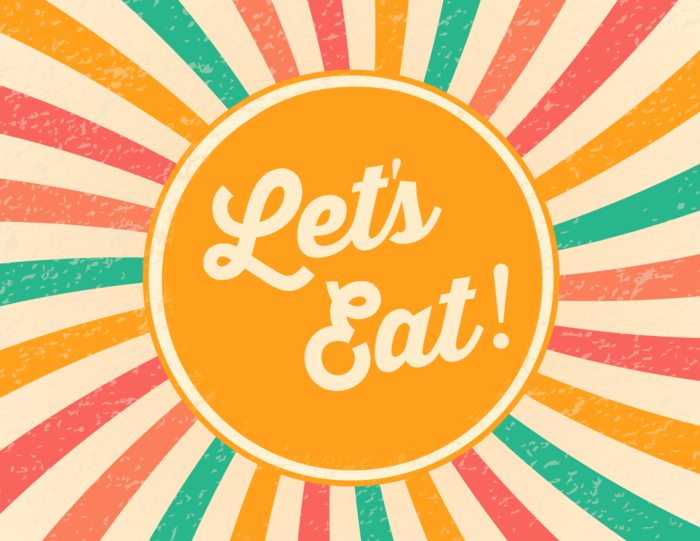 Start your night in the Elementary Cafeteria where hamburgers and all the fixings will be on sale! All 3 campuses will be open so you can meet your teacher! 7th - 12th graders can pick up their schedule and locker assignment. Booster Club will be set up on each campus so you can buy your Pirate Gear and get your new football tshirt! There will also be many other booths set up including PTO & Bus Routes. You will also be able to pick up your yearbook at the High School if you purchased one! 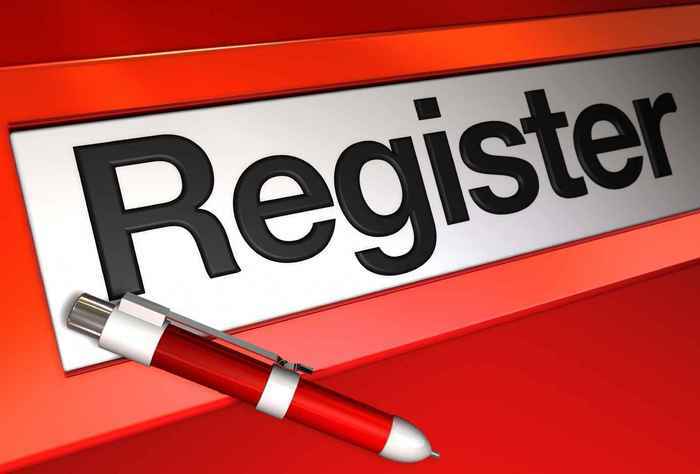 Reminder: "High School New to the District Student Registration" will be held on Wednesday, August 8th, from 9 am until 3 PM in the high school lobby. 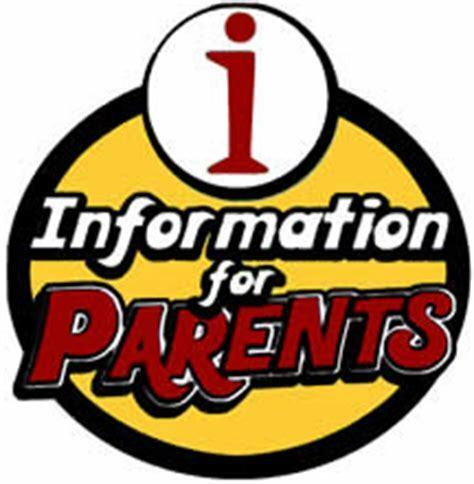 Parents should bring the following required documents: certified birth certificate, social security card, proof of residency (current electric, water, or gas bill), immunization record, and driver's license of person enrolling student. Please Note VB Schedule Change: JV Gold and Varsity are scrimmaging at Midway tomorrow at 2:00. 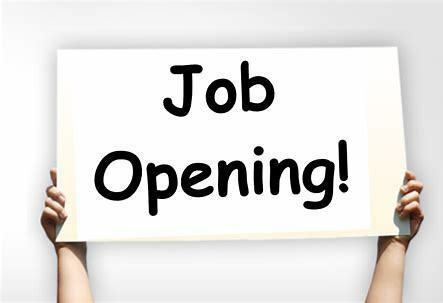 Crawford ISD currently has 2 job openings. One position is for the Elementary Math Lab. There is also a job opening for a Kindergarten teacher. Contact Superintendent Dr. Kenneth Hall for more information or to apply. 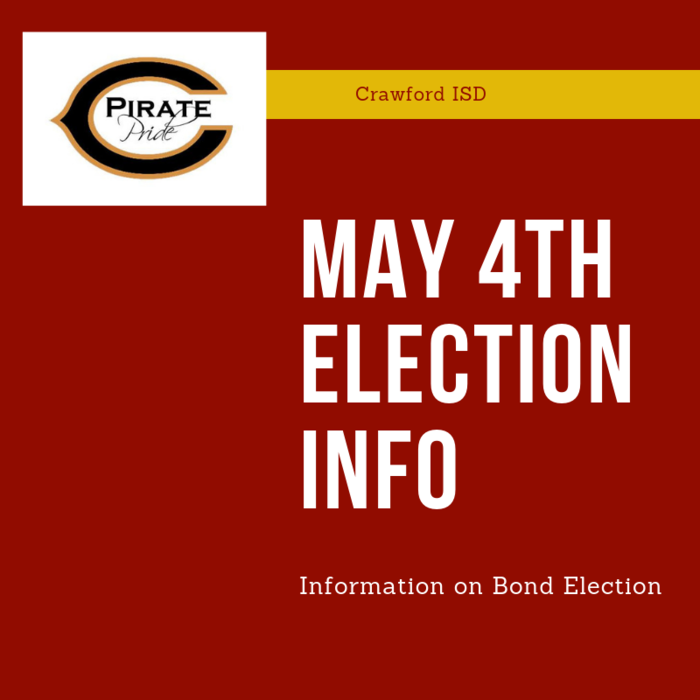 Email khall@crawford-isd.net or call 254-486-2381 between 8:30-3:30 Monday-Thursday. Want to work at one of the best little school districts in Texas? 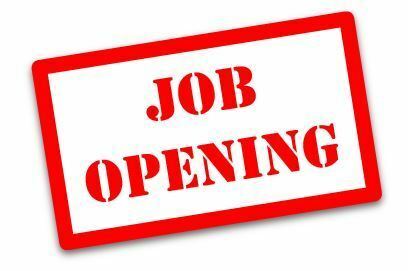 Crawford ISD has a job opening for a Kindergarten teacher! Contact Superintendent Dr. Kenneth Hall for more information or to apply. 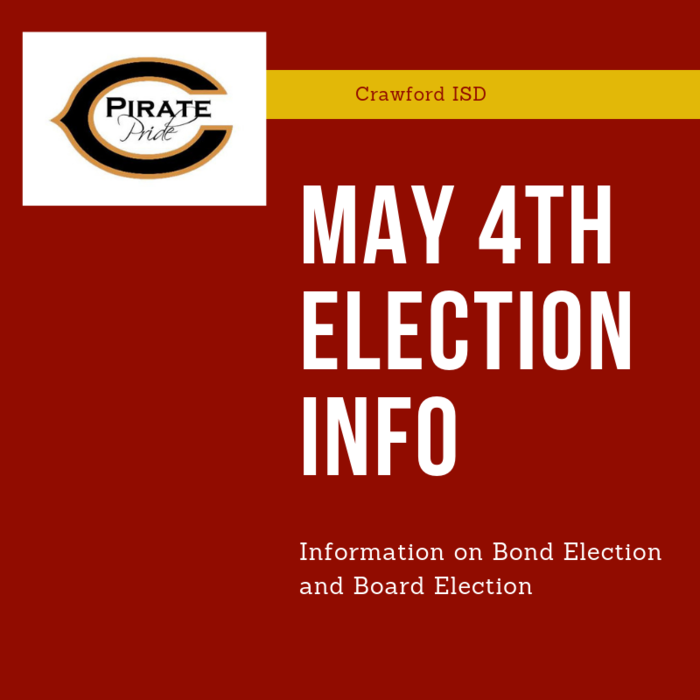 Email khall@crawford-isd.net or call 254-486-2381 between 8:30-3:30 Monday-Thursday. PIRATE FANS!! 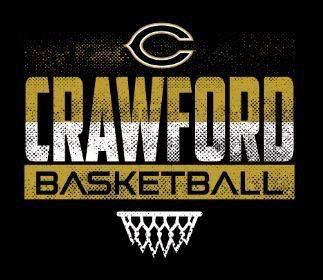 Your help is needed THIS SATURDAY to raise money for Crawford Athletics! Calling ALL runners/walkers AND washer players!!!!!! Please help Crawford Booster club kick off the new school year and join us for these two events held at Tonkawa Park on Saturday, July 28th!! 5K registration includes a tshirt! Come on out and join the fun! You can walk or run the race--we just want to see your smiling face there!!!!!!! Washer tournament to follow complete with concession stand! 5K Run: Registration at 7:00 a.m. Run will begin at 8:00 a.m. Entry fee is $25 per person. Prizes: Medals for the top 3 male and female finishers in each age group. After the race we will also draw for additional door prices. 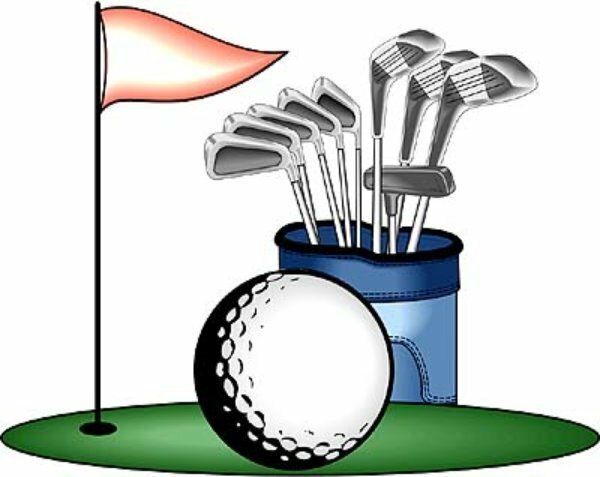 Washer Tournament: Starts at 11:00 a.m Entry fee will be $40 per team and $20 per individuals Prizes: Top 3 teams will get trophies. First place team will get $100. BE THERE!!!!!!!! Pirate Pride!!!! 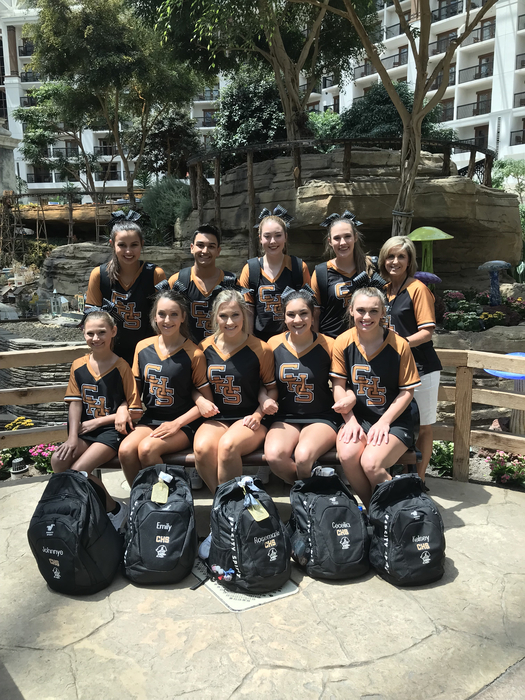 Congratulations to Crawford Cheer! They won Small Varsity Team Champion for Rally Routine and also the Cheer & Game Day Performance. 2nd Year Winner of Leadership Award which was voted on by all other squads (this year there were over 500 participants at camp). Crawford Cheer also was awarded the Spirit Stick all 3 days. They also received 1 Blue Excellence Ribbon, and 2 Gold Superior Ribbons! 3rd - 8th grade Pirates have had a great week at Football Camp! Special thanks to Kevin Engelbrecht & Tanner Lowry with D1 Sports in Waco for sponsoring the event! Shout Out to our very own Angie Slaughter! 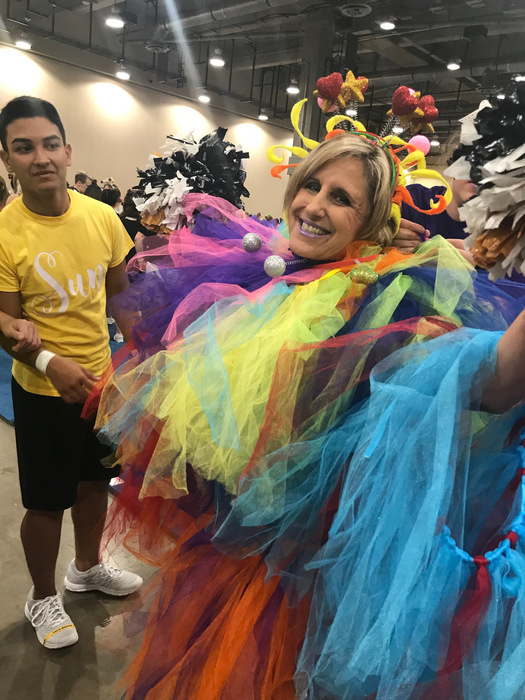 Best Dressed Coach at Cheer camp today! Day 1 of UCA cheer camp at the Gaylord Texan is underway! Calling ALL runners/walkers AND washer players!!!!!! Please help Crawford Booster club kick off the new school year and join us for these two events held at Tonkawa Park on Saturday, July 28th!! 5K registration includes a tshirt! Come on out and join the fun! You can walk or run the race--we just want to see your smiling face there!!!!!!! Washer tournament to follow complete with concession stand! 5K Run: Registration at 7:00 a.m. Run will begin at 8:00 a.m. Entry fee is $25 per person. Prizes: Medals for the top 3 male and female finishers in each age group. After the race we will also draw for additional door prices. 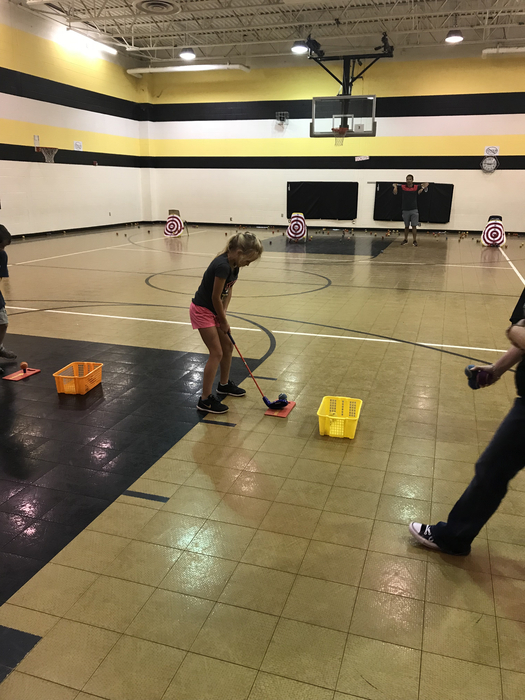 For additional information or to pre-register for the 5K, contact Jason Buie at jbuie@crawford-isd.net Washer Tournament: Starts at 11:00 a.m Entry fee will be $40 per team and $20 per individuals Prizes: Top 3 teams will get trophies. First place team will get $100. BE THERE!!!!!!!! Pirate Pride!!!! New to the District Elementary students that need to enroll need to go to the High School where there are Elementary enrollment packets. You will need to bring birth certificate, shot records, social security card and the drivers license of the person enrolling student so that we can make copies. The High School Summer Hours are Monday-Thursday from 8:30-3:30. "New to the District Student Registration" will be held on Wednesday, August 8th, from 9 am until 3 PM. for all Junior High Students and High School Students that are NEW to the district for 2018-2019. This will be a come and go event that will be held in the High School lobby. 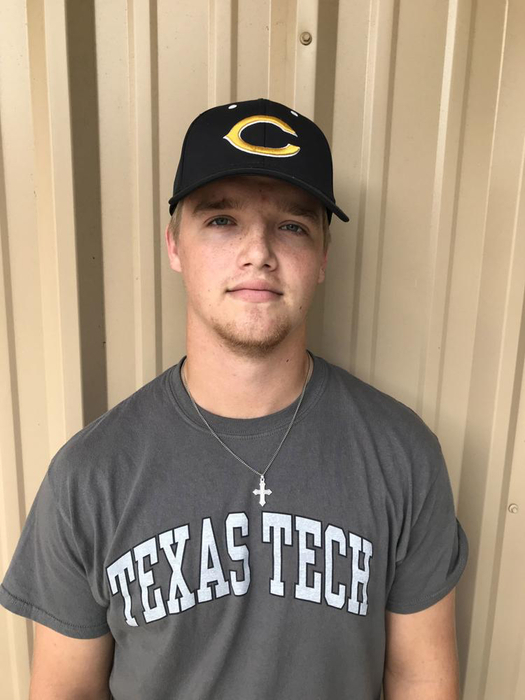 Congratulations to Koby Smith who was named to First Team Super Centex Baseball Team! Congrats also to Landry Bruce who made Second Team Super Centex! 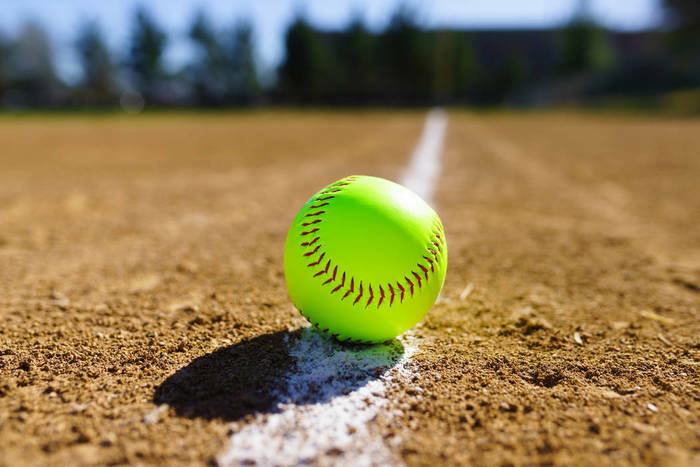 Lady Pirates Softball team raked in some big honors on the Super Centex Softball Teams! Coach Kirk Allen was recognized as Super Centex Coach of the Year! Lady Pirates named to First Team Super Centex was Baylee Griffith, Peyton Elmore, Kyla Mach, Joani Kohlscheen, and Cambree Aguirre! 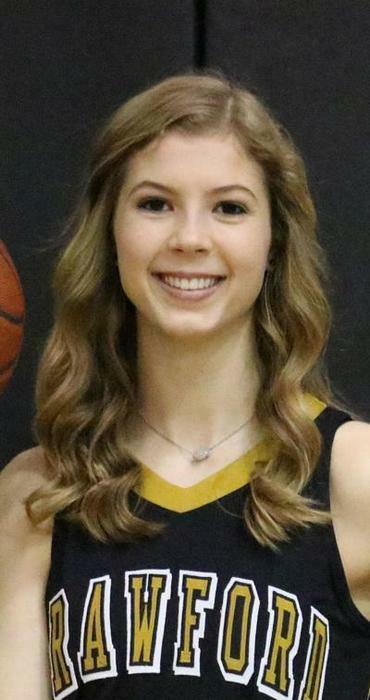 Makenzie Dunbar was named Second Team Super Centex! Congratulations to all! Crawford Summer Softball Camp will run Monday - Wednesday of next week RAIN or SHINE! Please note if it is raining then camp will be held in the old Middle School Gym. Congratulations to Koby Smith who was selected 3rd Team THSBCA catcher! Congrats and Good Luck to Reed Rogers! He is playing in the Central Texas Baseball All Star game tonight at West High School at 7 p.m. 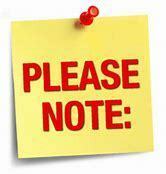 Please Note: Junior High & High School Report Cards should be mailed out by the end of this week. STAAR & EOC confidential student reports will also be included. Seniors will receive their transcript and a general information packet concerning scholarships. Congratulations to Cambree Aguirre! She was named to the TGCA All Star Softball Team! The Booster Club Officers need your help this summer as they launch a new fundraiser! 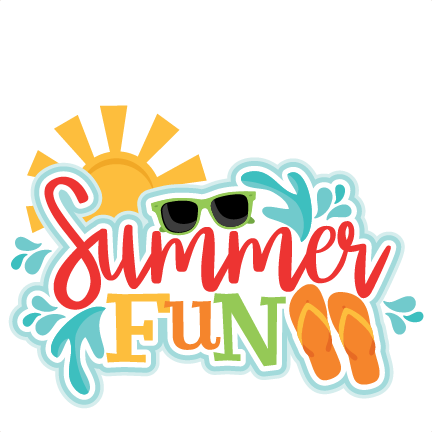 They will be collecting gate money at Tonkawa Falls on the following Dates: Saturdays: June 9, June 16 and June 23 10:00 am to 6:00 pm Shifts are for 2 Hours: 10-12; 12-2, 2-4, 4-6. Please contact Lisa Simpkins 254-855-3856 if you can lend them a hand! 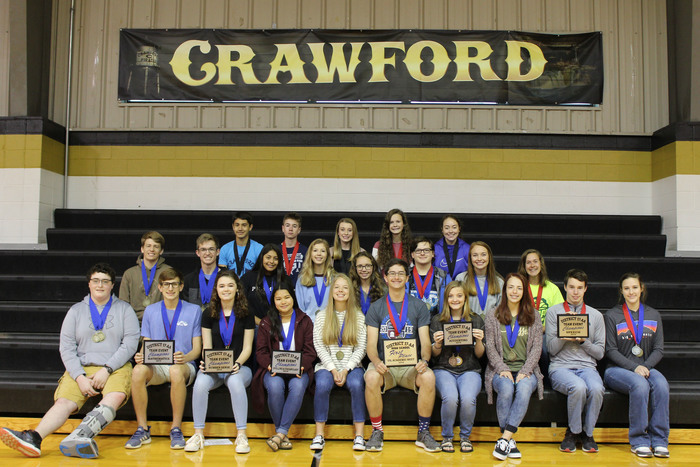 Crawford ISD sincerely thanks the local scholarship donors who awarded a total of $46,550 to the Senior Class of 2018. 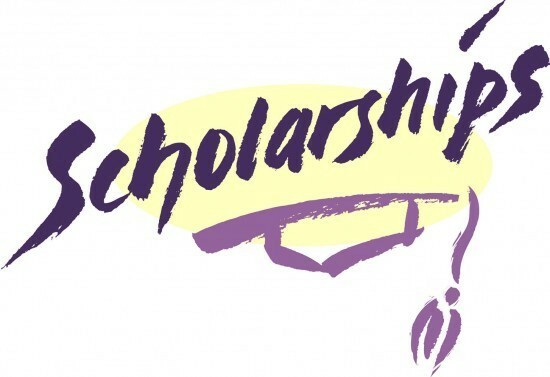 Our local scholarships included: Crawford PTO, First United Methodist Church, Crawford Booster Club, Levi Baur Memorial, Lhoist Community, Advanced Restoration Services, Crawford Lions Club, Lewis and Edna Foss Memorial, First Baptist Church, Crawford Youth Basketball Association, CHS Tradition, Crawford Masonic Lodge #585, Crawford Chapter of ATPE, Mickey Johansen, Sr. Memorial, Anita Allen Memorial, Ted Lewis Memorial, and Brent Kessler Memorial. These local groups and individuals gave a total of $23,100 to our senior class. 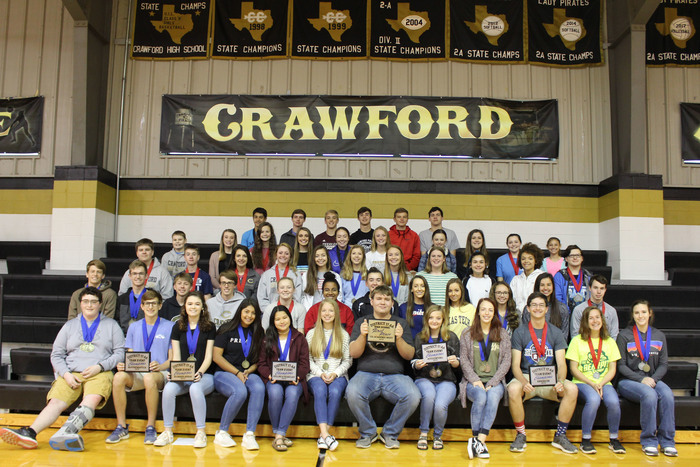 The Crawford Scholarship Program, established in 1994, provides scholarships to all seniors who graduate from Crawford ISD and pursue post-secondary education or training. The Crawford Scholarship Program awarded a total of $23,450 to the 2018 graduates. These organizations, churches, families, individuals, and businesses are greatly appreciated! We also thank the community members who have generously donated to these local scholarship funds! 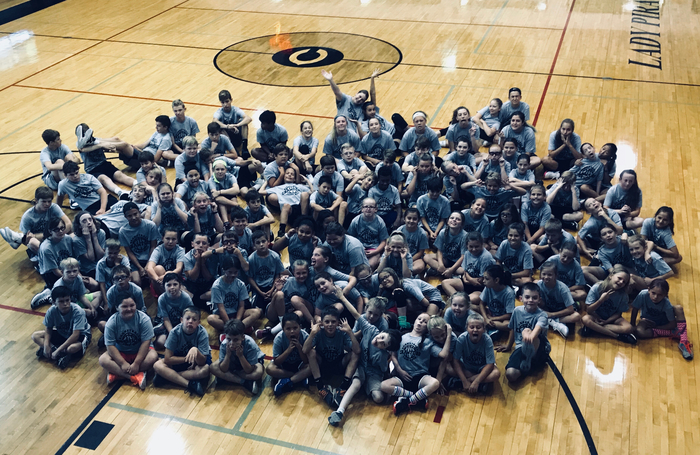 Basketball Camp is over... what a big success! 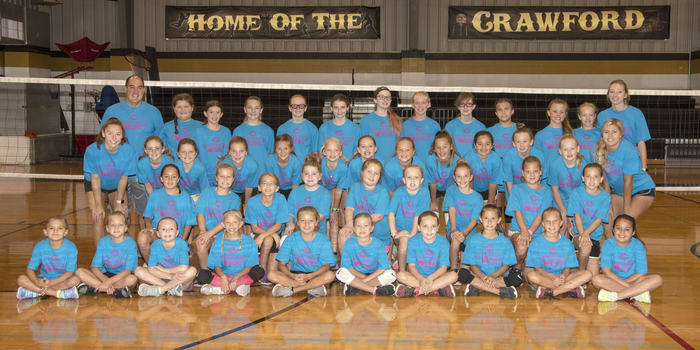 Thanks to all the future Pirates and Lady Pirates who participated! REMINDER: The Booster Club General Meeting will be held tomorrow at 6:30 pm in the High School Library. 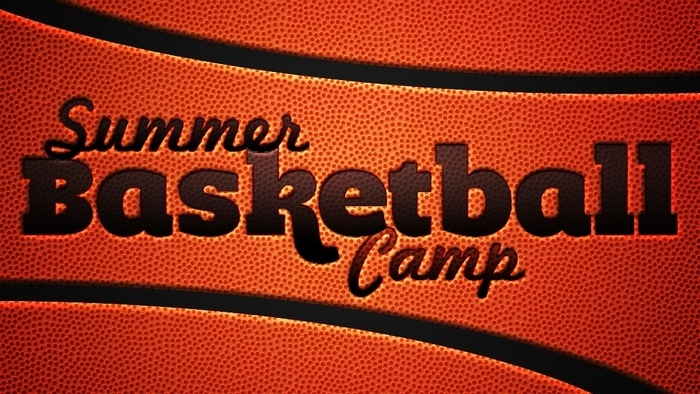 Tomorrow's Basketball Camp will be from 9-12 for all campers! 2nd - 9th graders will have their presentation and awards ceremony starting at 11:50 tomorrow in the HS Gym. They will receive their camp shirt tomorrow morning! 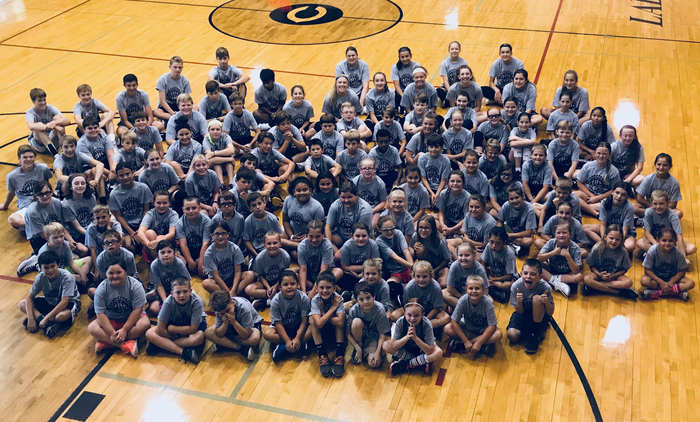 Crawford Pirate basketball camp kicked off today! Here are the little Pirates who participated in Summer Baseball Camp this week! They learned alot and had lots of fun! 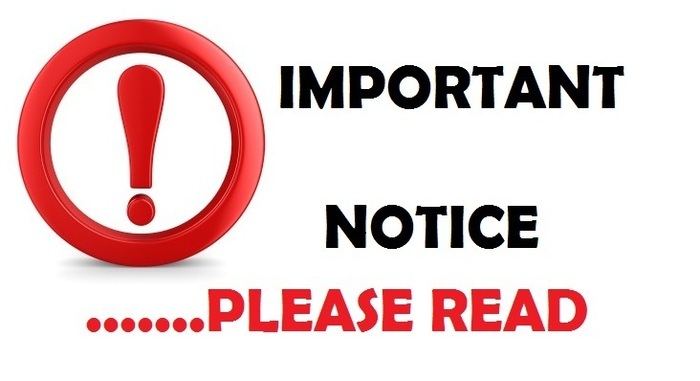 PLEASE NOTE: The Booster Club General Meeting has been moved to Wednesday, June 6 at 6:30 pm in the High School Library. 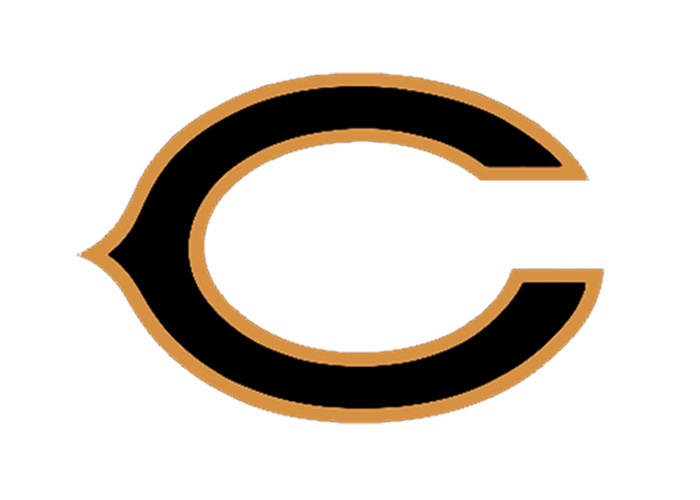 Crawford Booster Club General Meeting will be held Monday, June 4th at 6:30 p.m. in the High School Library. See the BC weekly email for more info. Lady Pirates season comes to an end in the 11th inning of game 3 vs Bells. 11-7. What an amazing season for our Lady Pirates! Seniors enjoyed a great breakfast with their parents this morning! Their last graduation rehearsal followed the meal. 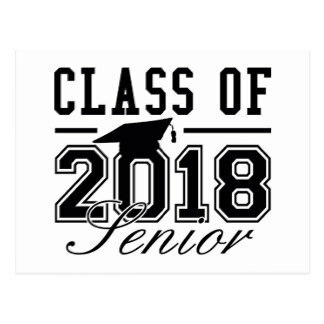 Graduation will be at 7:30 p.m. tomorrow night in the High School Gym! 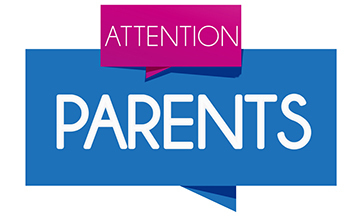 Parents of Elementary students: if your child did not come to school today, you may pick up their report card and other items at the High School office beginning Tuesday of next week. 4th - 6th grade Awards Assembly was held this morning! Congratulations to all on a great year! 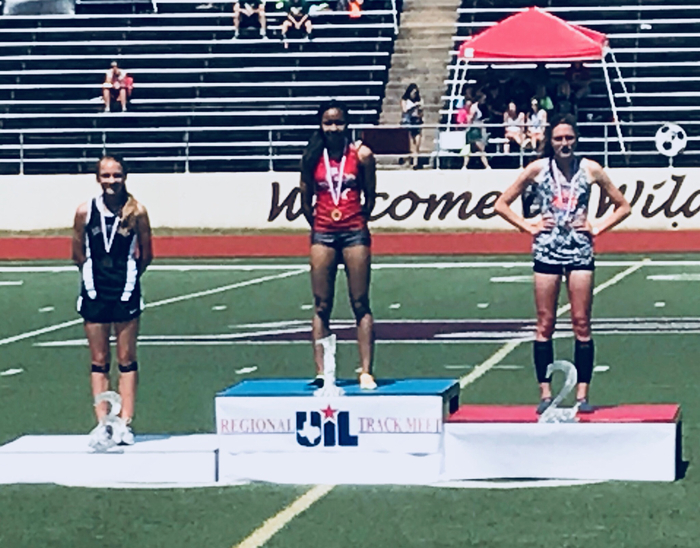 Congratulations to these Lady Pirates who were named to the TGCA All-State Track & Field: Holly Dawsen, Este Musil, and Anne Williams!! LOT's of excitement at Crawford ISD!!! Even the staff is celebrating the last day of school! Free Athletic Physicals (for incoming 7th - 12th graders) will be given next Tuesday, May 29th, at 5:30 p.m. Athletes will report to the High School Lobby. Baseball Camp as of right now is set for next Tues-Thurs, May 29th through 31st. If our girls win this weekend, they will play in the State Semi-Finals on Wed., May 30th. If the girls play on Wednesday then that day of camp would be moved to Friday, June 1st at the original times. If our girls win State Semi-Finals, then they would play next Thursday in the State Championship. If that scenario happens then that day of baseball camp would be moved to Saturday, June 2nd with the same times. Any questions or concerns feel free to call Coach Randy Smith at 709-0648. K-3 Awards Assembly was held this morning at Crawford Elementary! 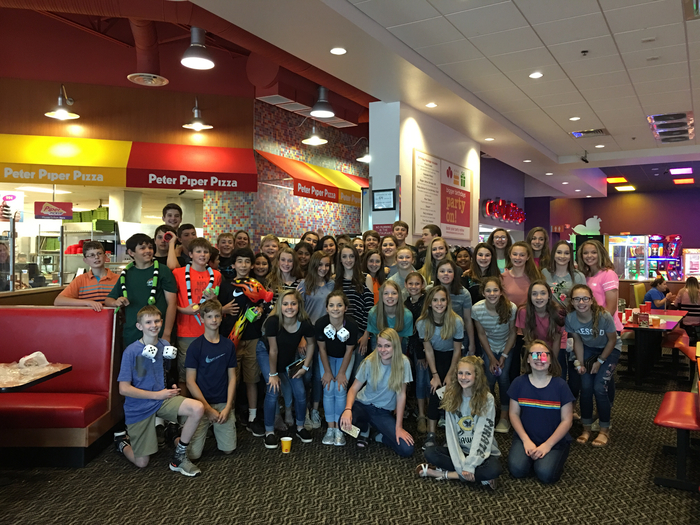 Junior High UIL District Champs celebrated at Peter Piper Pizza yeaterday! Congrats to Joe Edwards! He took 3rd place at State Debate today! 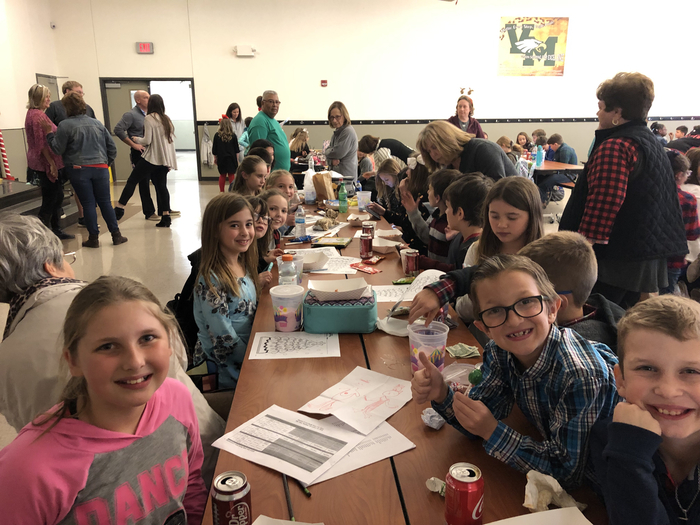 Elementary AR Celebration was held today! It was a great day for Shaved Ice! 8th grade Science Classes hosted a Science Fair for Crawford 3rd graders today! 8th graders demonstrated lots of cool projects that they have been working on this year! ATTENTION all 2018-2019 Boy & Girl Athletes in both Jr. High & High School! Southwest Sports Medicine will be giving Free Physicals to Crawford Athletes TODAY at 4 p.m. Athletes will be transported by bus to the clinic and back to school. 6th graders will be picked up at the Elementary School. 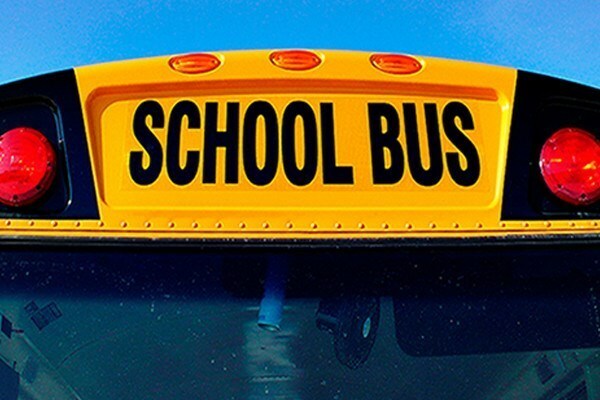 All students will be leaving the school at 3:15 and expect to be back at the high school sometime around 5:30 or 6 p.m. Students who will need to be picked up have been told that they will need to call their parents as the bus leaves Waco. 6th graders were told they can use Coach Kelm's phone if they don't have a phone they can use. Lady Pirates Regional Finals Softball Playoffs will be vs. Bells this week! 1st game will be Thursday at 7 p.m. Game 2 will be Saturday at 5 p.m. 3rd game if needed will follow 30 minutes after 2nd game. All games will be played at Weatherford College. Junior High Academic Awards will be TODAY at 2 p.m. in High School Gym! Lady Pirates Regional Finals Softball Playoffs will be vs. Bells this week! 1st game will be Thursday at 7 p.m. Game 2 will be Saturday at 5 p.m. Site TBD. Pirates lost game 1 of the Regional Quarterfinal Round vs. Valley Mills last night. Game 2 is today at 4:30 at Waco Veterans Field #1. Game 3 will follow 30 minutes after game 2 if necessary. PIRATE FANS...show up! BE LOUD! BE PROUD! Lady Pirates are headed to the Regional Finals! After trailing Axtell 6-5, entering the bottom of the 7th inning, they came back to win it 7-6!! Good Luck to Crawford Tennis! Our "Eight to State" are making school history as we send our largest group ever to the State Tennis Meet! They are on the road to College Station to start competition tomorrow! Thanks to St. Paul Lutheran Church in Crawford for hosting lunch for our Seniors today! The fajitas and delicious sides and desserts were a big hit! 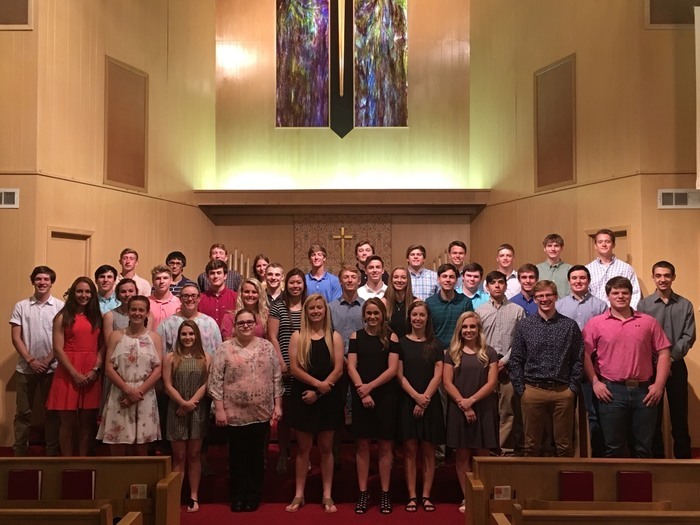 The Lutheran Church will also be hosting Baccalaureate this Sunday, May 20th, at 6 p.m.
Crawford ISD will finish out the school year next Thursday! There will be Early Dismissals next Wednesday & Thursday. Elementary will dismiss at 12:45. High School will dismiss at 1 p.m. Please Note! Awards Assemblies will be held next week! 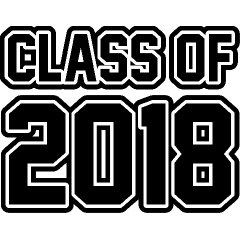 Junior High Awards Assembly will be held on Monday at 2 p.m. in the High School Gym. 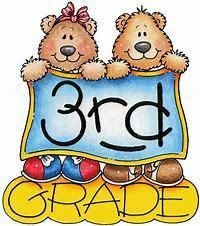 K-3rd graders will have theirs on Wednesday at 9 a.m. in the Elementary Cafeteria. 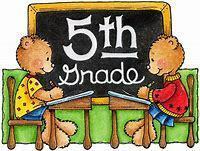 4th - 6th grade will be on Thursday at 9 a.m. in the Elementary Cafeteria. Regional Quarterfinal Round in Baseball: Crawford vs Valley Mills. Game 1: May 17, Thursday, at 6:00 Game 2: May 18, Friday, at 4:30. Game 3: 30 minutes following game 2 if necessary. All games at Waco Veterans Field #1. Dawsen was 5th in the mile run at the State Meet with a time of 5:36.45! Lady Pirates are Regional Semifinal Bound! Softball plays Axtell at 6:00 on Wednesday at Waco ISD...one game! Congrats to Dawsen Holly! 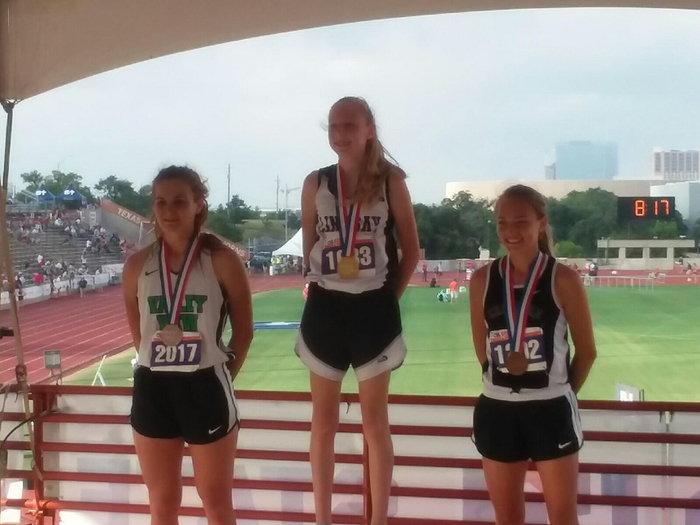 3rd place in the 3200 meter run at the State Track Meet! Congratulations to Camille Ward! 3rd place at the State Track Meet with a vault of 12'!! WE NEED YOUR HELP! Elementary Awards Assemblies are coming up soon! 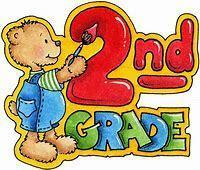 K-3 will be Wednesday, May 23rd, at 9 a.m. in the Elementary Cafeteria. 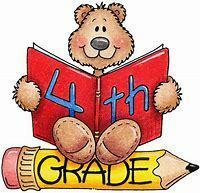 4th-6th will be Thursday, May 24th. Due to limited space in the lunchroom during Awards Assemblies, all students will now be required to stay with their class during the entire awards assembly. This means, you will not be able to check one of your children out of school so they can watch their sibling's awards assembly. This also means that you will not be able to get your Kindergarten student to stay with you to watch the rest of the K-3 assembly when the Kindergarten students get up to go back to class. You are free to check out your students as soon as the assembly is over! Thank you so much for your help with this! ATTENTION all 2018-2019 Boy & Girl Athletes in both Jr. High & High School! 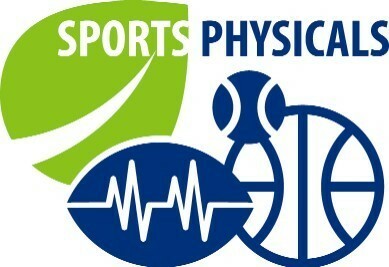 Southwest Sports Medicine will be giving Free Physicals to Crawford Athletes at 4 p.m. on May 22nd. Athletes will be transported by bus to the clinic and back to school. More Information will be given to athletes by their coaches. 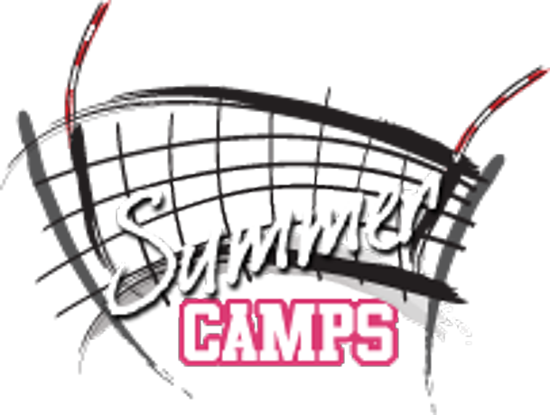 NEW SUMMER CAMP!! A Summer Football Camp will be offered to incoming 3rd-8th graders! Camp dates will be July 24th- 26th. Registration Forms will be given out next week. Congratulations to Meghan Kevil who signed her letter of intent this morning! Meghan will be running track & cross country for Concordia University in Austin! 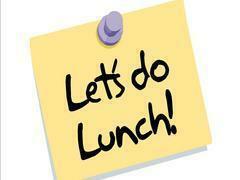 Thanks to Crawford PTO for providing lunch today for our teachers! The salads & desserts were delicious! Thank you for everything you do for our students and staff!! 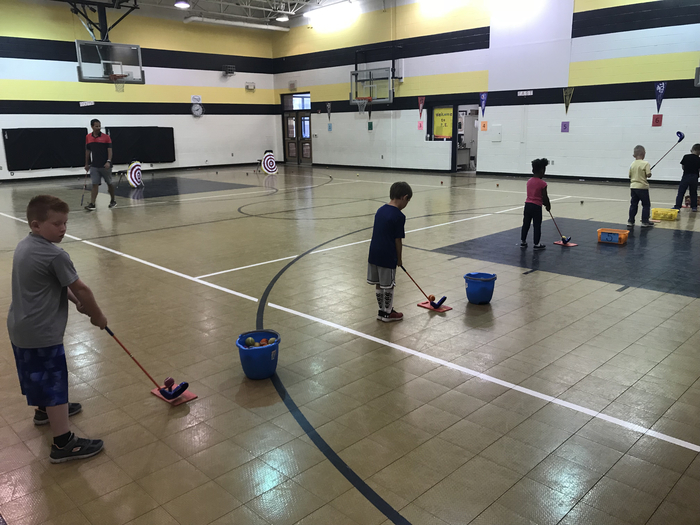 Crawford Elementary enjoyed Jon Antunes and his golf lesson! 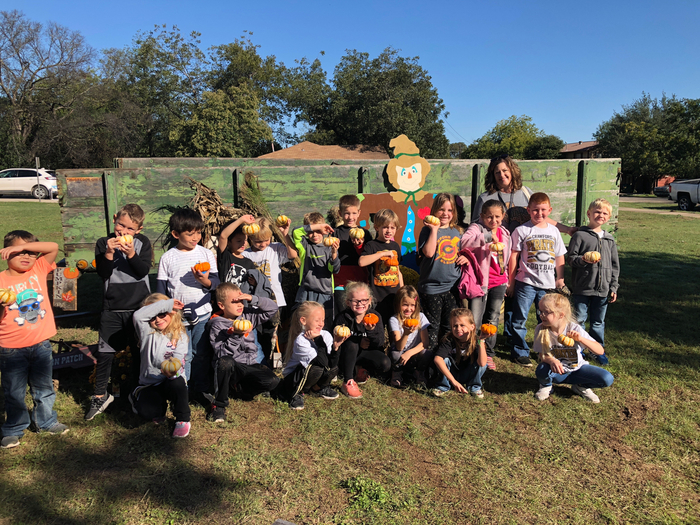 Fun day for all students K-5! 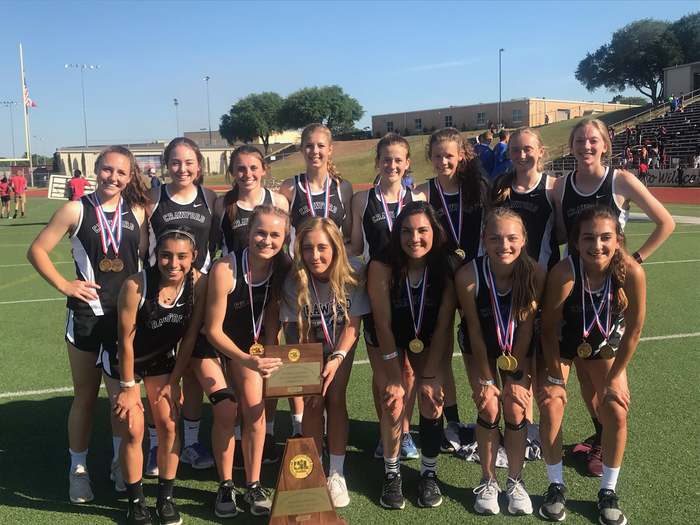 Good luck to our students who will be competing later this week at the STATE Track Meet that will be held at the University of Texas! 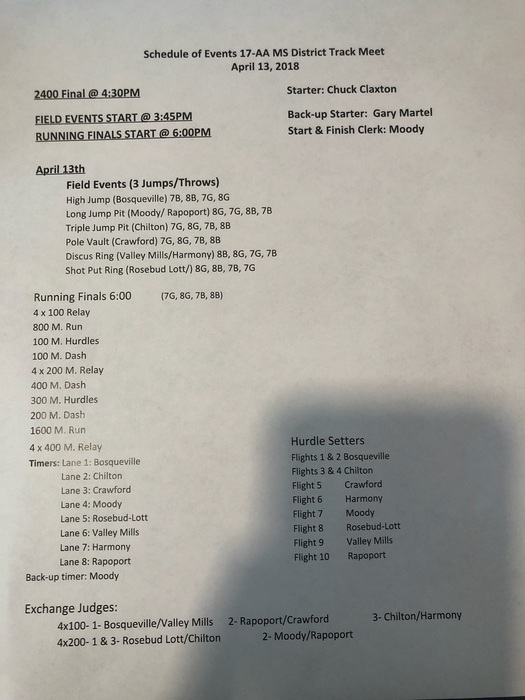 Schedule of events: Fri. 5/11 8:00 am Girls Pole Vault; Camille Ward Sat. 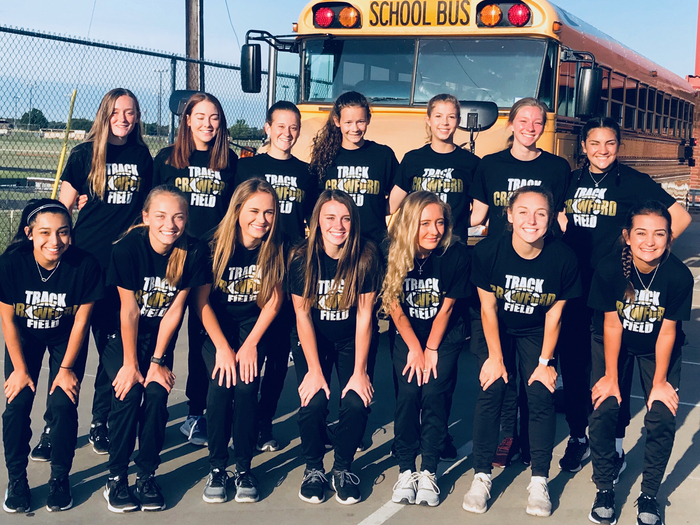 5/12 8:00 am 3200m-Dawsen Holly; 7:25 pm 300m Hurdles-Charlie Adamick; 8:05 pm 1600m run- Dawsen Holly; 8:25 pm 1600m Relay-Anne Williams, Ana Maddox, CeCe Villa, Este Musil, Alternates- Morgan Claxton & Haley Vaughn. Ticket prices: 1 Session-no re-entry $12/$7; Day Pass $20; 2 Day Pass $30. See UIL website for stadium rules. 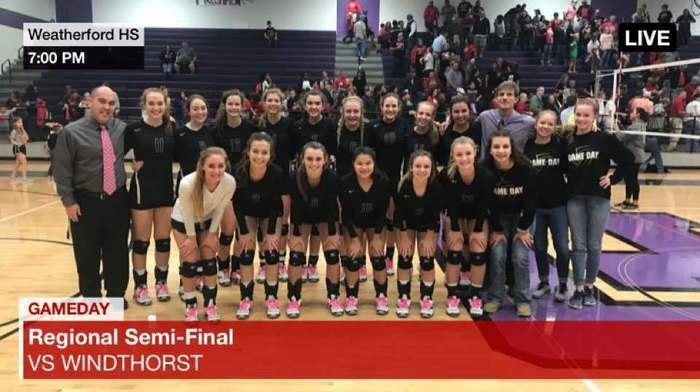 Lady Pirates defeated Perrin-Whitt in 2 games to advance to the Regional Quarterfinals! Playoff round vs Collinsville will be played in North Crowley. Game 1 is Friday night at 6 p.m. Game 2 is Saturday at 10 a.m. with Game 3 to follow at noon if needed. GO LADY PIRATES! It’s been a great weekend at the State Academic UIL Meet! Social Studies team got 4th place, Anne Williams placed 6th in State Editorial Writing, Lily Norcross got 8th in Spelling, and Jonathan Weatherman placed 10th in Number Sense! 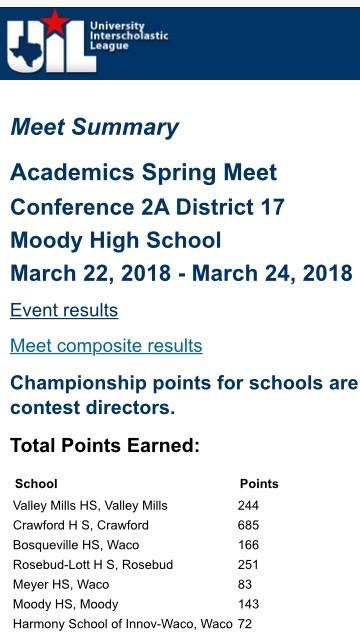 Congratulations to our students and coaches! Pirates are Bi-District Champions! Baseball Area Round information... Game 1: May 11th, Friday, at 4:30 at Waco Veterans field #1. Game 2: will follow Game 1 around 6:30. Game 3: if necessary, May 12th, Saturday, at 10:00 at Waco Veterans field #1. Thanks to all who came out to the FFA Banquet last night to celebrate Crawford FFA and the many accomplishments they have had this year! 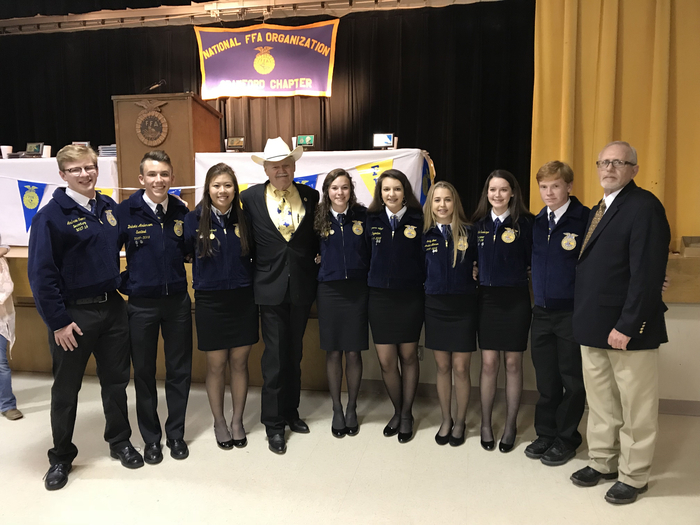 Pictured are FFA Officers with State Rep. Doc. Anderson! Congrats to Anne Williams!! 6th place State Editorial Writer!! Game 2 of the Softball Area Playoffs vs. Perrin-Whitt will start at 5 p.m. today at Glen Rose High School. Lady Pirates won Game 1 last night! If a 3rd game is needed, it will be played tomorrow at 11 a.m. in Glen Rose. GO LADY PIRATES!! 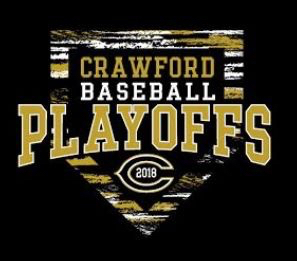 Baseball Bi-District Playoffs start tonight vs. Perrin-Whitt! Game 1 will be tonight at 6 p.m. at Whitney High School. Game 2 will be tomorrow at 2 p.m. at Brock High School. If a 3rd game is needed, it will follow Game 2. GO PIRATES!! Good luck to everyone competing today and tomorrow at the State UIL Meet! Kindergarten Field Trip scheduled for today has been CANCELLED due to weather. Students will have a fun day at a school instead. 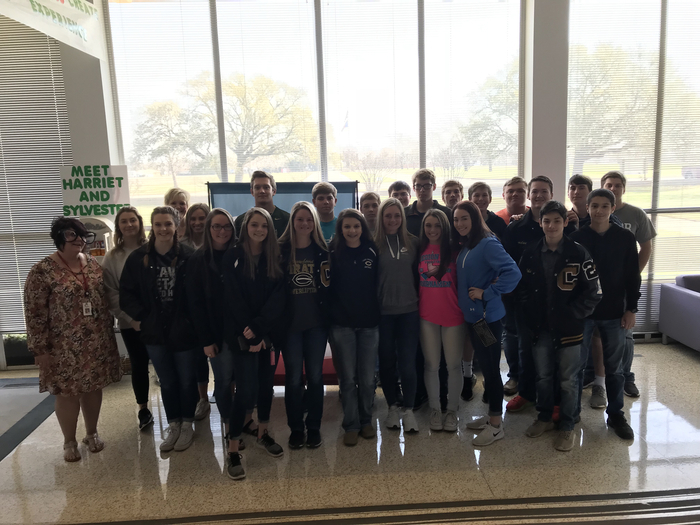 Good Luck to the Crawford High School students and sponsors who will be competing in the upcoming State UIL competition! Attention Parents of Current Juniors! The counselors have been working with the juniors to select courses for next year. They have talked to all students specifically about Spanish 3. Spanish 3 is not required for graduation. Spanish 3 will serve as a foreign language elective. Depending on the college, taking Spanish 3 may give a high school student's transcript an advantage because of course difficulty, especially with universities who have a competitive admission process. 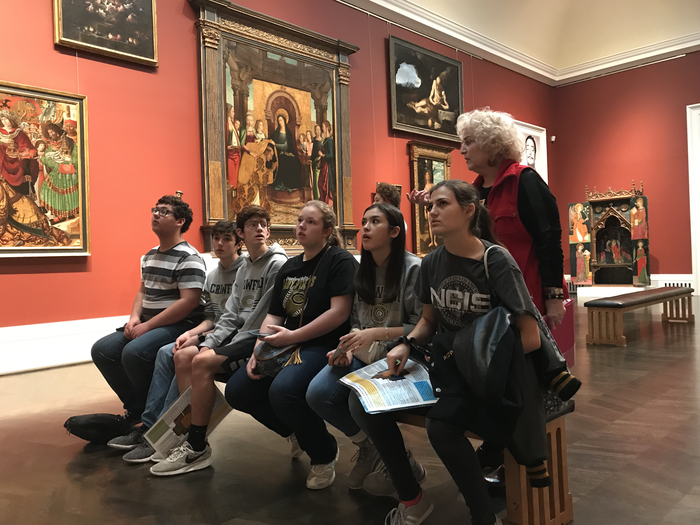 In addition, taking Spanish 3 gives students the opportunity to earn a Performance Acknowledgement if they meet grade requirements outlined in the HB 5 graduation program. 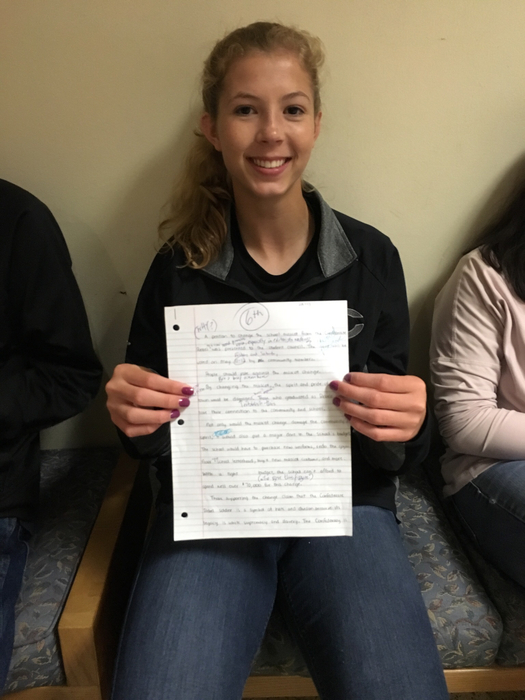 To meet these requirements, students must maintain an 80+ average in their four English classes and an 80+ average in their 3 Spanish classes. Students should consider college choice, future plans, and course interest when deciding if they would like to take Spanish 3. 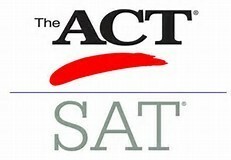 Students should let the counselors know by end of day on Friday, May 4 if they would like to take Spanish 3. 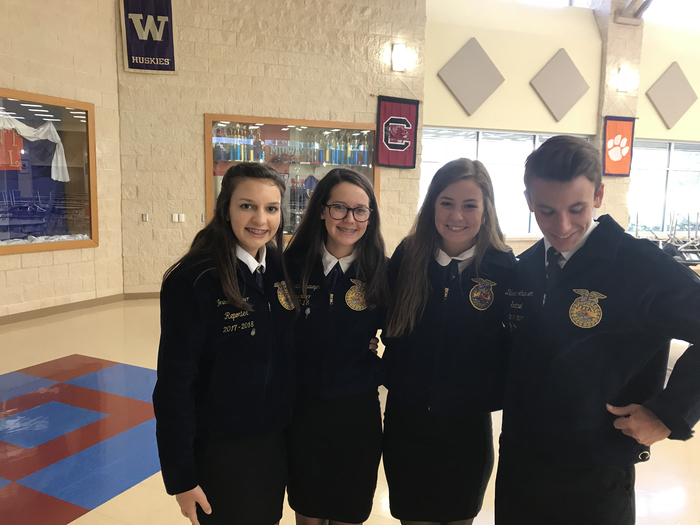 Congratulations to the following students who made the Crawford FFA Chapter Officer team for the 2018-2019 school year: President – Jeanette Meyer, Vice President – Kierstan Osseweyer, Secretary – Sally Love, Treasure – Mason Perry, Reporter – Kaitlyn Tamplin, Sentinel – Makenzie Dunbar, Student Advisor – Dakota Anderson. 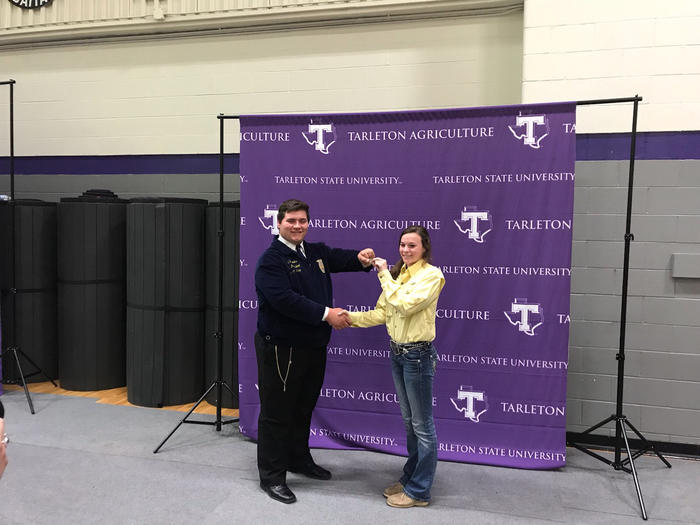 Congratulations to Jeanette who is also representing Crawford FFA as a District 8 Vice President! SPREAD THE WORD! 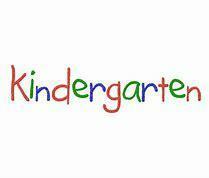 Kindergarten Roundup will be held tomorrow from 9 - 10 a.m. at Crawford Elementary! Child should be 5 years old on or before September 1st, 2018. Please bring a Copy of Certified Birth Certificate, Current Immunization Record, and Social Security Card. Also bring the Drivers's License of enrolling parent or guardian. If you are unable to attend, please call the Elementary Office at 254-486-9083. Thanks to Crawford First Baptist Church for hosting lunch today for our Seniors! Hamburgers, Coke Floats, and a Balloon Release are always a winning combination! Thanks to Crawford First United Methodist Church for hosting lunch for our seniors today! The great meal was kicked off by entertainment from our very own Coach Elmore's! We had a great weekend at the Regional Track Meet with a good number of athletes qualifying for the State Track Meet! Congratulations to the Girls Mile Relay Team! They placed 1st with a time of 4:10! 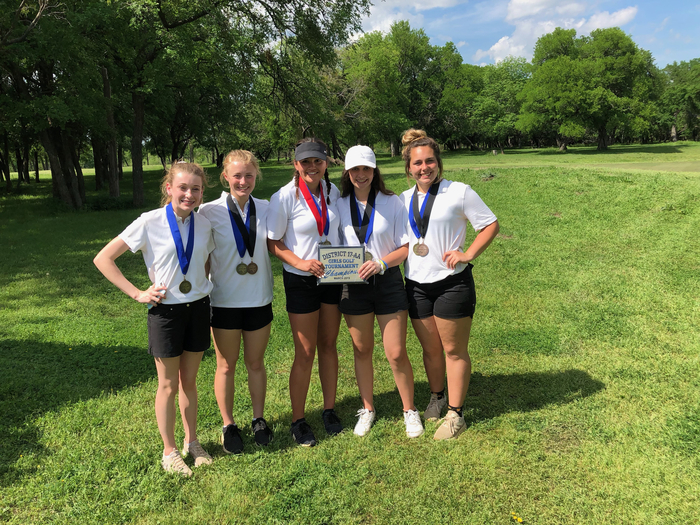 Good luck to these Lady Pirates and the others who will be competing at the State Meet that will be held May 11th & 12th at the University of Texas in Austin! Baseball Bi-District Playoffs will be vs. Perrin-Whitt. All games will be played this week. Game 1 will be Friday night at 6 p.m. at Whitney High School. Game 2 will be on Saturday at 2 p.m. at Brock High School. If a 3rd game is needed, it will follow Game 2. GO PIRATES!! 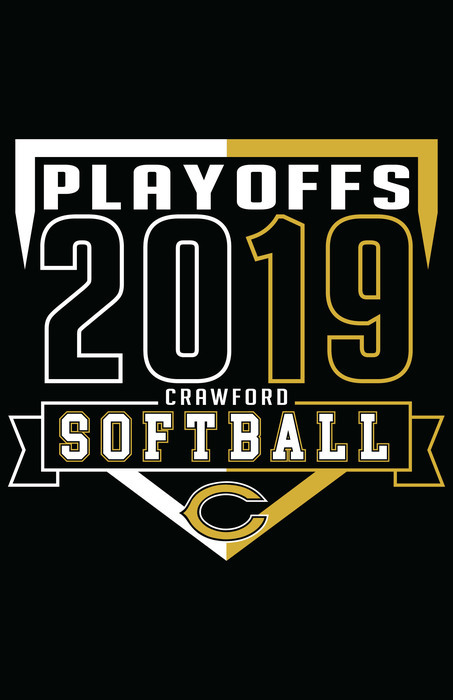 Softball Area Playoffs will be vs. Perrin-Whitt. All games will be played at Glen Rose High School this week. Game 1 will be Thursday at 6 p.m. Game 2 will be at 5 p.m. on Friday. If a 3rd game is needed, it will be played Saturday at 11 a.m. GO LADY PIRATES!! 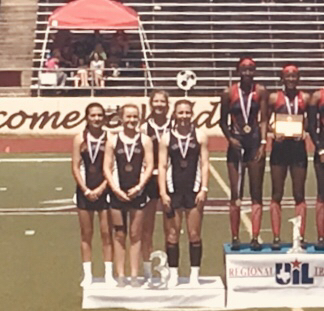 Mile Relay Team got 3rd place at Regional Meet! Way to go Pirates! 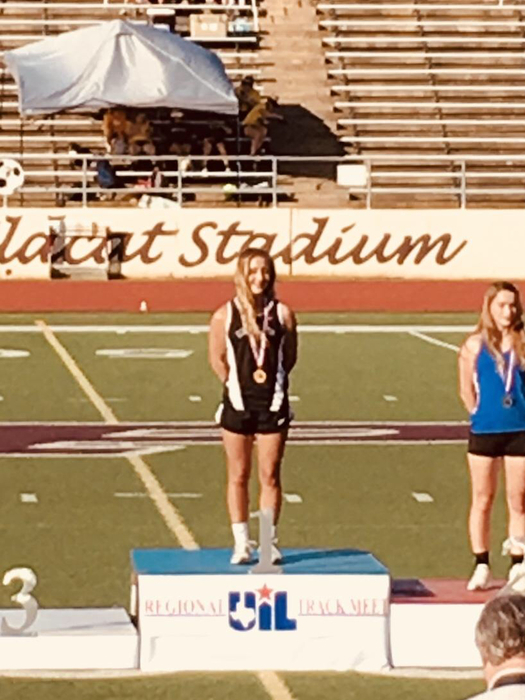 Dutschmann got 3rd place 400 meter dash at Regionals! Congratulations!! Lady Pirates are Regional Champs!!!! Charlie Adamick- 2nd in 300 hurdles!! State Qualifier!! Congrats to Dawsen Holly! 3rd in the 800 meter at Regional Track Meet! Congrats to the Girls 4x100 team! Finished 3rd at Regional Meet! Crawford Lion's Club will be hosting a BBQ Chicken lunch with all the trimmings on Sunday, April 29th! Money raised will help fund scholarships for local graduates. 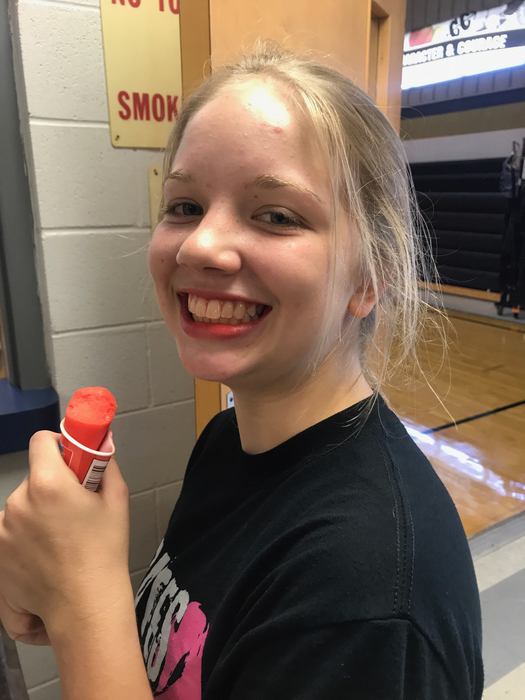 Event will be held in the High School Cafeteria from 11 a.m. - 1 p.m.
State Qualifiers so far: Camille Ward- Regional Champ in pole vault. 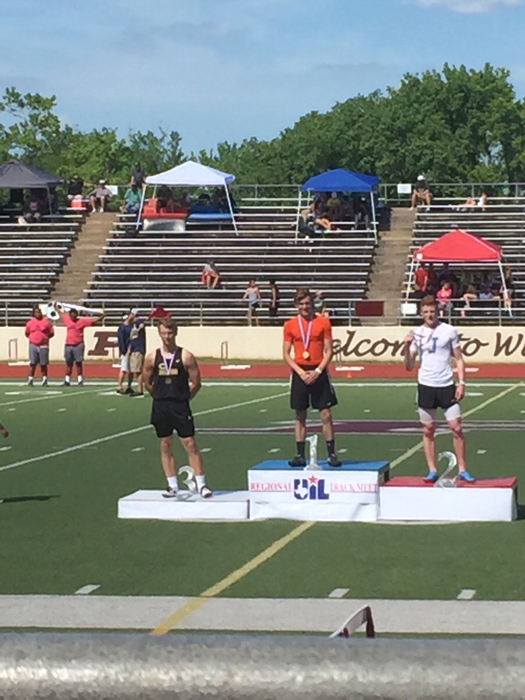 Connor Jones- 3rd in pole vault. Dawsen Holly- Regional Champ in 3200 m. Meghan Kevil - 3rd in 3200 m. Congratulations to all! Lady Pirates are headed to Regional Track Meet!! Good luck!!! RESCHEDULED EVENT! FCA Spring Fling will be held Sunday, May 6th, at 6:30 p.m.! Do you enjoy Fields of Faith? This event is like Fields of Faith but is being hosted by Crawford FCA. Spring Fling will be held at the baseball fields and will include Food, Music, Fellowship, and a Special Speaker! This is an event you will not want to miss! Baseball Warm up game will be Monday, April 30th, at 5 p.m. in Whitney vs. Mart. 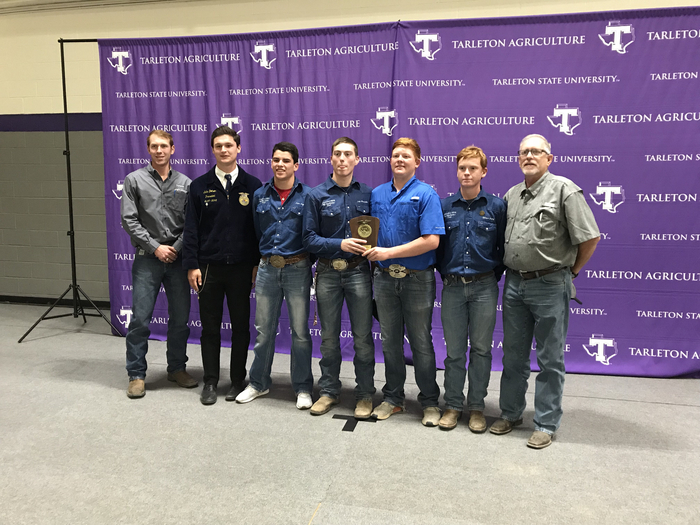 Good Luck to the Dairy Judging team that will be competing at the State Meet tomorrow at Tarleton! 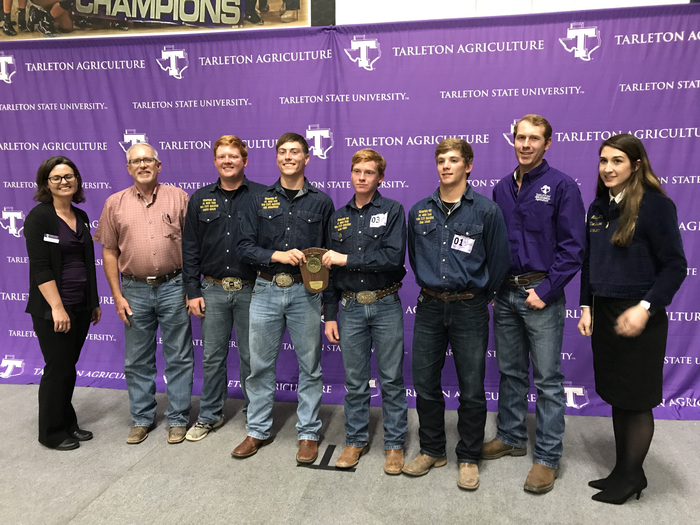 Good Luck also to the Ag Mech team that will be competing later this week at the State Meet that will be held at Sam Houston State! Lots of fun at the Elementary AR Celebration that was held at Hewitt Park this afternoon! There will be a State Send Off tomorrow for the Ag Mech team and the Dairy Judging teams! Send off will be held at 9:40 in the HS Lobby! Crawford FFA Banquet will be held in the High School Cafeteria on Friday, May 4th! 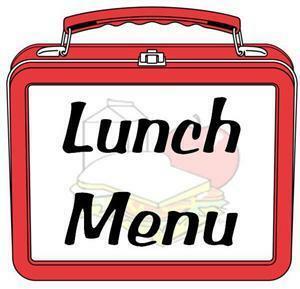 A BBQ meal will be served starting at 6:30 p.m. RSVP by May 1st to Mr. Hunter via email at ahunter@crawford-isd.net or by calling 254-486-2381. Softball Bi-District game will be vs San Saba on Wednesday, April 25th. Game will start at 7 p.m. in Gatesville. GO LADY PIRATES! FCA Spring Fling has been cancelled for this Wednesday night. 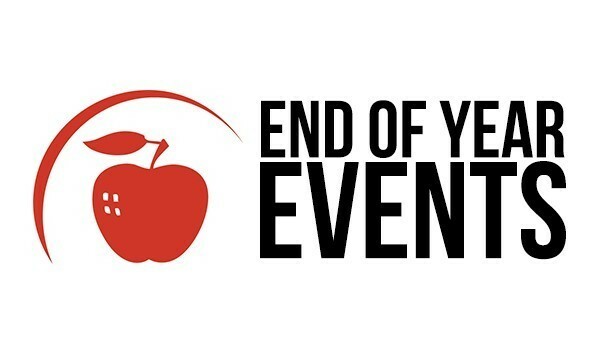 The event will be rescheduled at a later date. Stay tuned! Summer Basketball Camp will be held June 4th-6th! More information coming soon! Just a reminder! Crawford ISD will be closed THIS Friday, April 27th! This day was designated as a bad weather day and was unused. 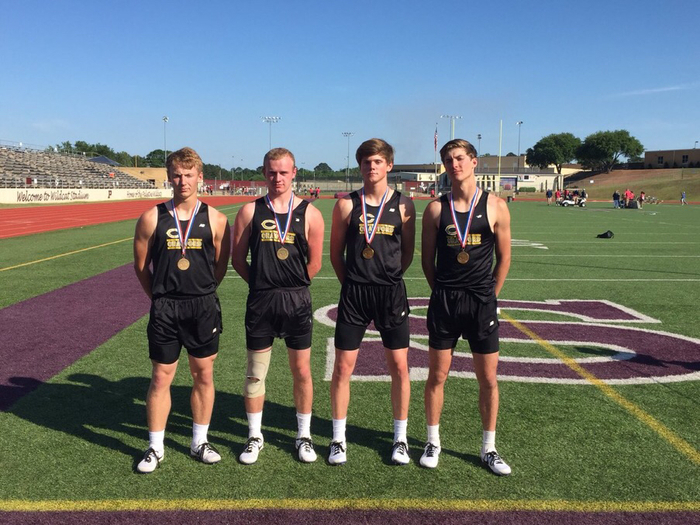 Pirates finished 2nd at the Area Track Meet in the boys division! Congratulations!! 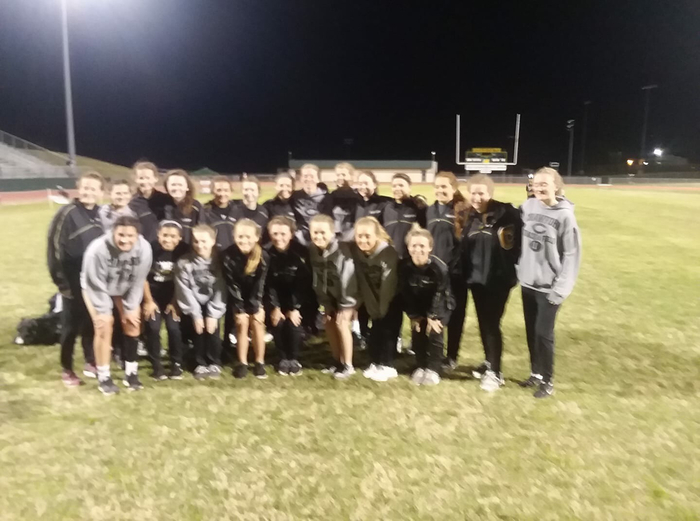 Congratulations to our Area Champion girls track team! 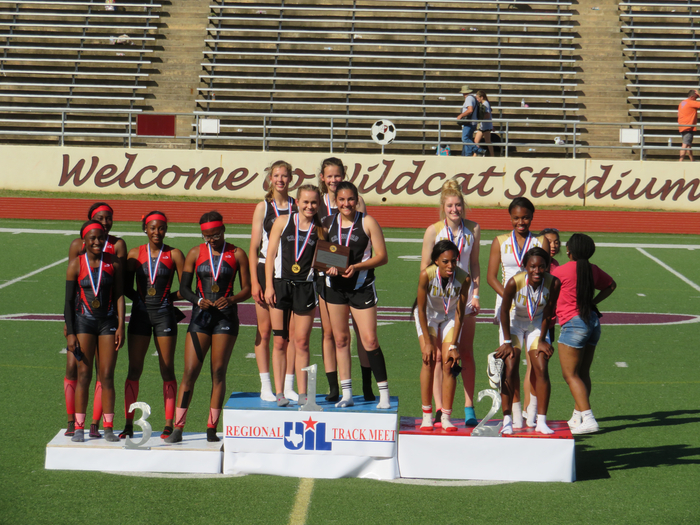 All Lady Pirates that qualified for Area was able to qualify for the Regional Meet! 8 to State!! We have 8 advancing to the State Tennis Meet! Congratulations!!! Congratulations to the other Crawford FFA trams that competed at the Area contest today! Wool Team placed 12th. 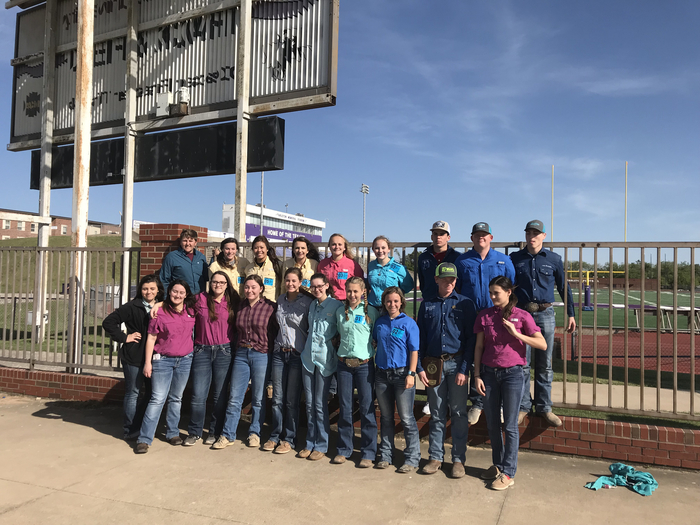 Horse Team placed 23rd, and Poultry Team placed 15th at the Area contest. Confratulations to the Ag. Mechanics team! They placed 3rd at area and will advance to the state contest. Mason Perry 5th high, Luke Brookshire 7th, Zane Taylor 11th and Cooper Gohlke 15th. Good luck at state! Congrats to Crawford FFA Dairy team! They places 2nd at area and will advance to state. Kinze Reich 5th high, KC Le 9th high and Jeanette Meyer 10th high. Jerin Milam was the other member of team. Congratulations and good luck at state! 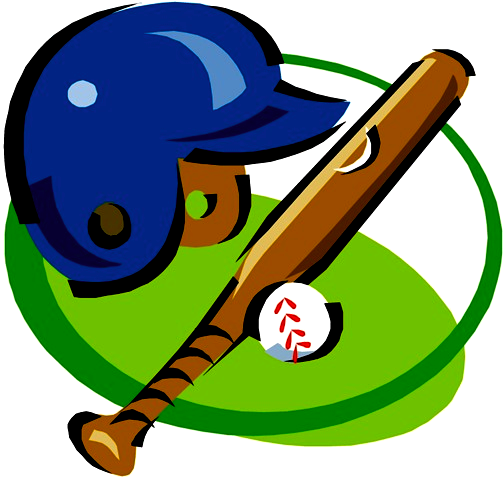 The JV baseball game with Bosqueville next Tuesday (May 24th) has been cancelled. We will only play Varsity at Bosqueville starting at 4:30 p.m. Band Concert will be held Monday night, April 30th, at 6:30 p.m. in the High School Gym! This High School Band Concert will also include the 6th graders. Make plans now to come out and support the Pirate Band! The Booster Club Flags are here and will be at the trailer tonight at the ball fields for those who have purchased to pick up! There are also some extra so if you still need to buy one, drop by the Booster Club trailer tonight! 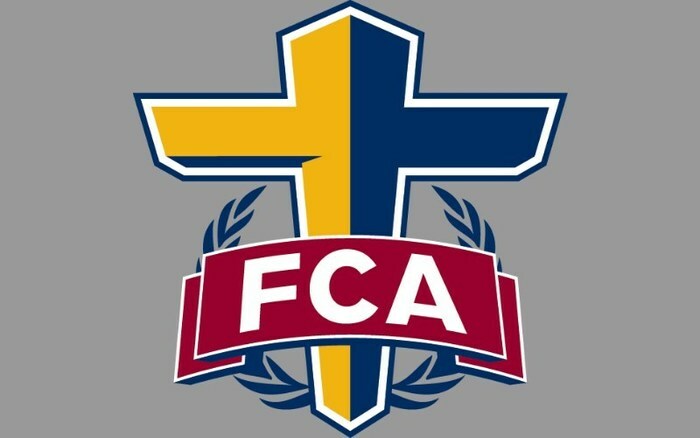 FCA Spring Fling will be held Wednesday, April 25th, at 6:30 p.m.! Do you enjoy Fields of Faith? This event is like Fields of Faith but is being hosted by Crawford FCA. Spring Fling will be held at the baseball fields and will include Food, Music, Fellowship, and a Special Speaker! This is an event you will not want to miss! PLEASE NOTE: Tonight's Band Concert has been cancelled. It will be rescheduled at a later date. 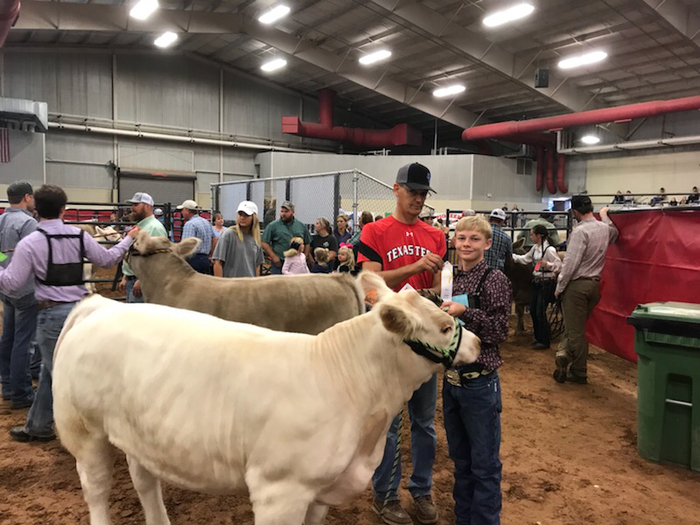 Please Note: District Track Meet will resume today in Moody at 5 p.m.
Congratulations to Jeanette Meyer who was elected as a FFA Bosque River District Officer! It was a GREAT day to be a Pirate in the 2nd day of the 2A Region 3 Academic UIL meet! Jonathan Weatherman--2nd number sense; Jack Williams--3rd number sense; team of Weatherman, Williams, Colby Plemons and Chris Driver--2nd number sense; Anne Williams--1st editorial writing; Lily Norcross--2nd spelling; Luke Westerfield--5th social studies; team of Westerfield, Tristan Metayer, and Jackson Reynolds--2nd social studies; Este Musil--6th headline writing. 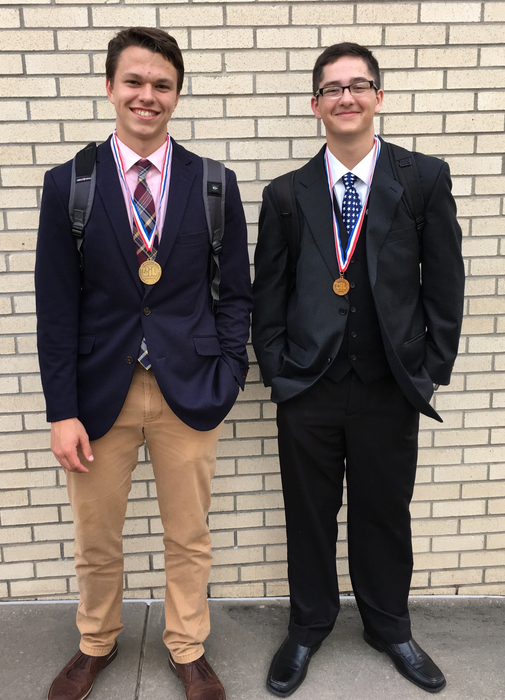 Joe Edwards placed 3rd in LD Debate to advance to state and Luke Westerfield placed 4th in Informative Speaking to be alternate to state in the first day of Region 3 Academic UIL competition!! 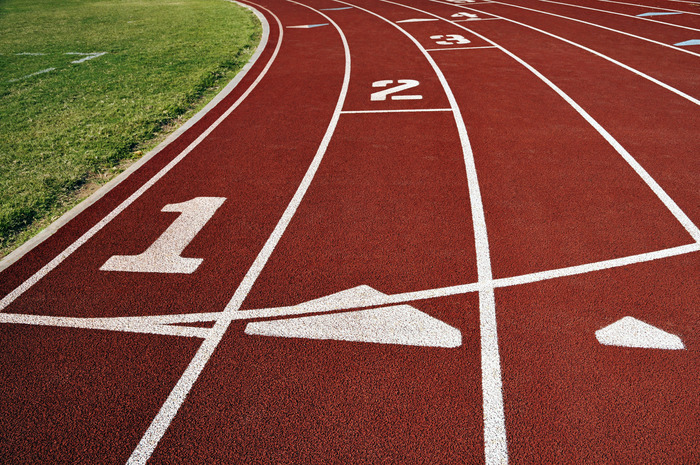 Today's Junior High Track Schedule is now posted online. Just a reminder that dual credit forms are due Monday, April 16th to Mrs. Allovio! Mark Your Calendars! Crawford ISD will be closed on Friday, April 27th! This day was designated as a bad weather day and was unused. 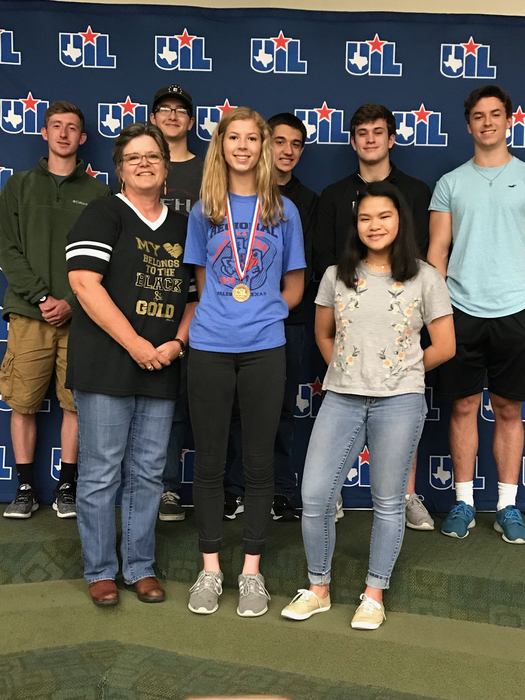 Good Luck to our Pirates & Lady Pirates who are competing in Carthage at the Regional UIL Academic Meet! Congratulations to our Pirates and Lady Pirates! Varsity boys, Varsity girls, and JV boys were all crowned district champs in track! Congratulations to Haley Vaughn who signed her National Letter of Intent this morning to play volleyball for Anglelo State University! SPREAD THE WORD! Kindergarten Roundup will be held Wednesday, May 2nd! Event will run 9- 10 a.m. at Crawford Elementary. Child should be 5 years old on or before Sept. 1, 2018. Please bring a copy of certified birth certificate, current immunization record, social security card, and driver's license . If you are unable to attend, please call the Elementary office at 254-486-9083. SAVE-THE-DATE: 2018 Spring Academic & Sports Banquet-Tuesday, May 1st. Ticket's will be Pre Sold Only. Cost is $12. Students are free. Doors open at 5:30 pm and program begins at 6:00 pm. Baseball Change for Today: There will only be a varsity game vs Temple at 5:00 in Temple. No JV game. Today's softball games have been moved up. JV starts at 4 p.m. and Varsity at 5:30 p.m.
Today's home Varsity baseball game has been moved up to 3:30 p.m. Varsity only will be played today. Don't Miss Out on the Fun! 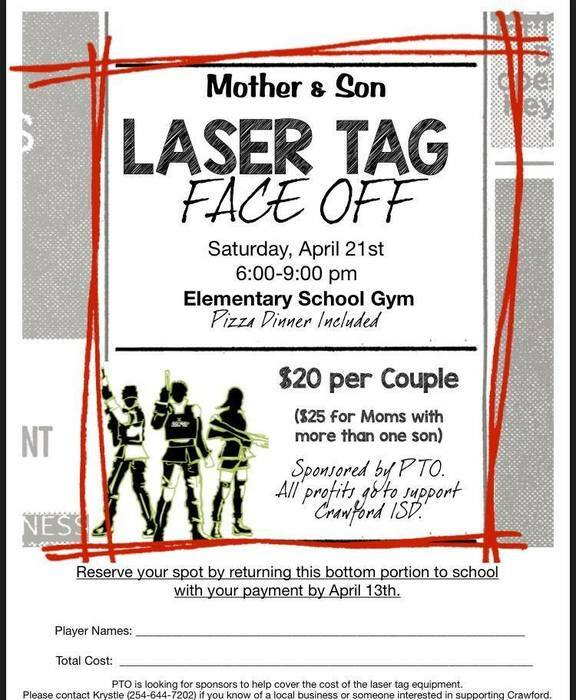 Forms for the Elementary Mother & Son Laser Tag Face Off are due Friday, April 13th! Softball games vs Moody that we were not able to play yesterday will be played today in Crawford. 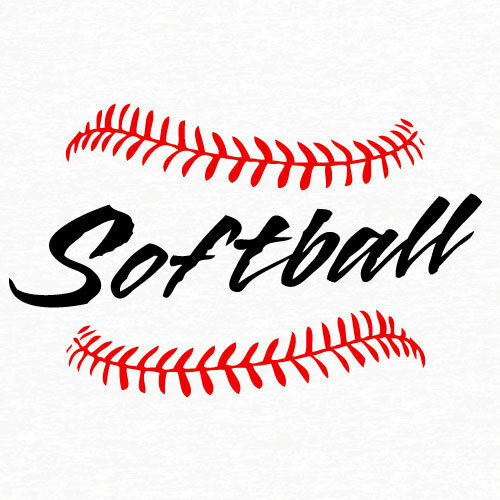 JV at 4:30 and Varsity starts at 6 p.m.
Softball (Varsity only) will be played at the Little League fields on Hwy 6 in Valley Mills this afternoon. Game starts at 4:30. Today's Baseball games vs Moody have been moved to the old Valley Mills ball field that is on Hwy. 6 towards Clifton. Varsity starts at 4 p.m. today. JV will follow. Varsity Baseball start time today has been moved to 3:30. JV will follow. These are home games vs. Moody. Crawford OAP did a great job today but did not advance. 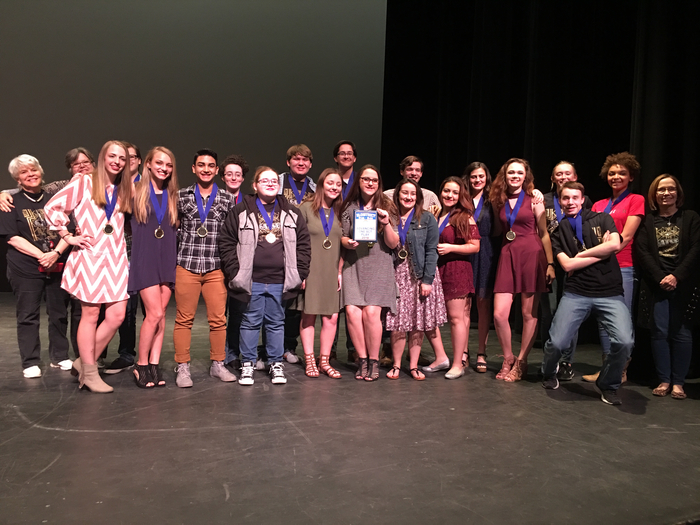 Honorable Mention: Dawsen Holly & Silas Cunningham; All-Star Cast: Luke Westerfield; All-Star Crew: Kenzie Johansen. Congrats on a great season!! Wool team placed 3rd today! Dalton Grieger 4th high place! Team members: Dalton Grieger, Molly Augeri, Kristin Bernhardt and Taylan Cochran. Tennis Update: Girls Team are District Champs! Boys Team Runner-up! 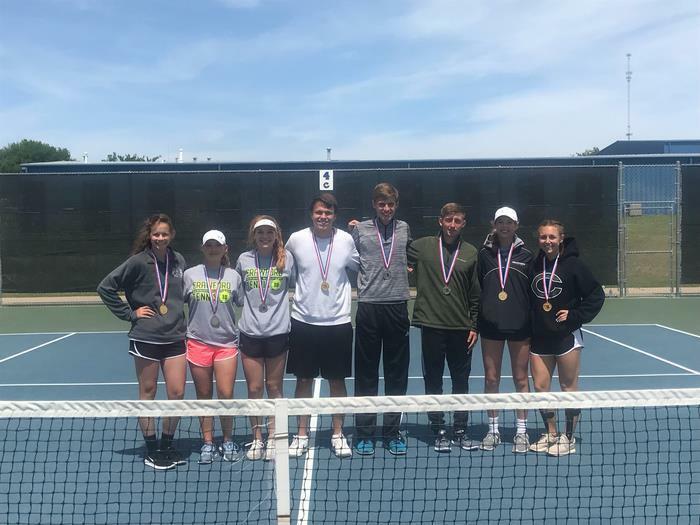 MD: Joe Edwards-Anne Williams 1st Karson Green- Jaelyn Lewis 2nd GD: Blair Brunson- Taylor Westerfeld 1st Haley Vaughn-Ana Maddox 2nd BD: Hogan Hall-Jackson Reynolds 1st BS: Dakota Anderson 3rd All 1st & 2nd place teams advance to Regionals in Corsicana! Congratulations to Coach Coker and Crawford Tennis! The baseball games versus Bosqueville tomorrow have been moved up to varsity starting at 10:00 and jv to follow in Crawford. PLEASE NOTE: FFA banquet has been changed to Friday, May 4th. at 6:30 PM. 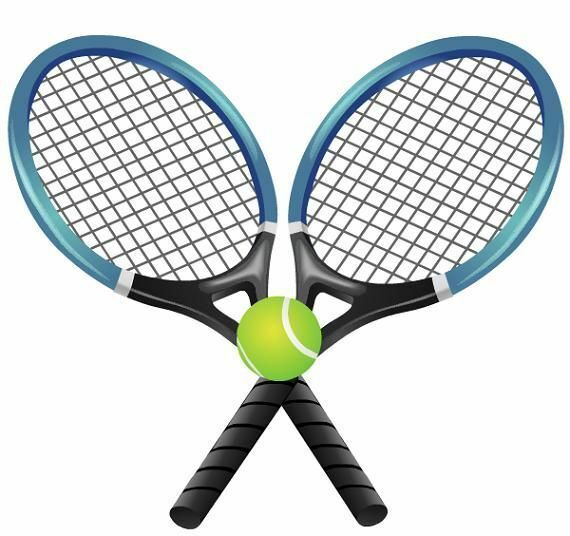 District Tennis has been moved to Temple High School starting at 9 a.m. in the morning. Softball games vs, Bosqueville will be played on Friday in Crawford. Varsity will start at 10 a.m. JV will follow. BASEBALL games for today have been cancelled. Will be rescheduled as weather permits. SOFTBALL games has been cancelled for today. We will try to play the games tomorrow with Varsity starting at 4:30 p.m. and JV to follow..weather permitting. No word yet on Baseball games. Cancellation for today is only for softball. FCA sponsored an egg hunt for 7th - 12th graders today during tutorials! They filled over 500 eggs with candy, $100 in cash, and $100 in gift cards to Sonic, Starbucks, and Chick-fil-a! 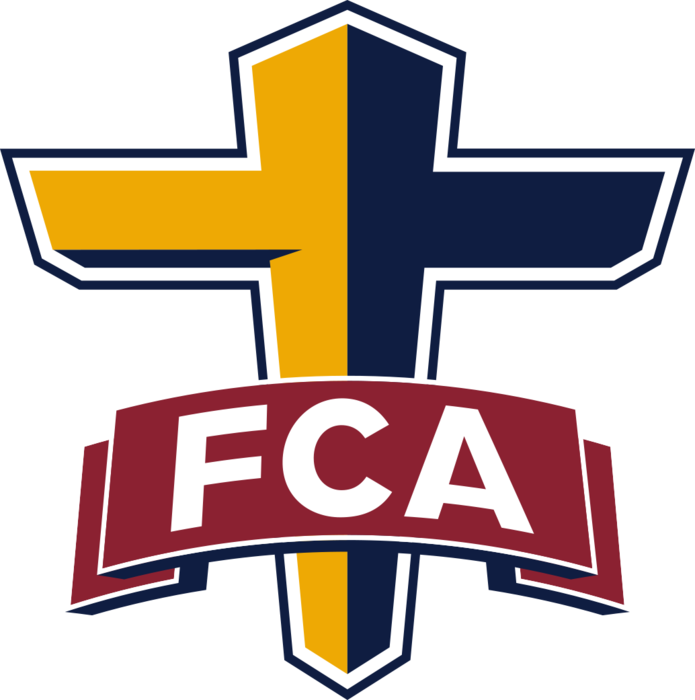 Thanks to FCA for sponsoring this event! Congratulations to the 32 students and 4 alternates who qualified for the Regional UIL Meet! Regional Meet will be held at Panola College in Carthage on April 13th & 14th. 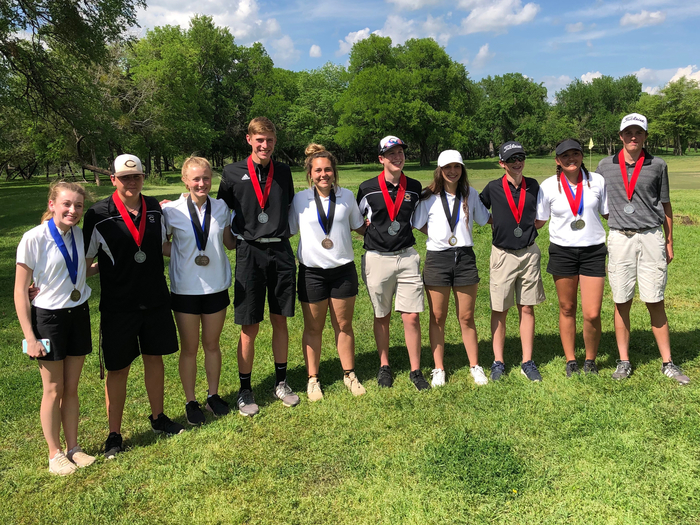 Regional Qualifiers: Jazmine Salazar, Courtney Allen, Kourtney Bernhardt, Sally Love, Libbi Joyner, Anne Williams, Caitlin Plemons, Kenzie Smith, Este Musil, Grace Powell, Brianna Downie, Jeanette Meyer, Lily Norcross, Taylor Westerfeld, Makenzie Dunbar, Alex Bruno, Koby Smith, Andrew Easter, Luke Westerfield, Silas Cunningham, Weston Metayer, Joe Edwards, Blake Hazzard, Ty Hilliard, Jonathan Weatherman, Mason Browning, Colby Plemons, Jack Williams, Chris Driver, Payson Taylor, Tristan Metayer, and Jackson Reynolds. Alternates are Tristan Johansen, Maci Westerfeld, Morgan Claxton, and Kristin Bernhardt. District Champs! 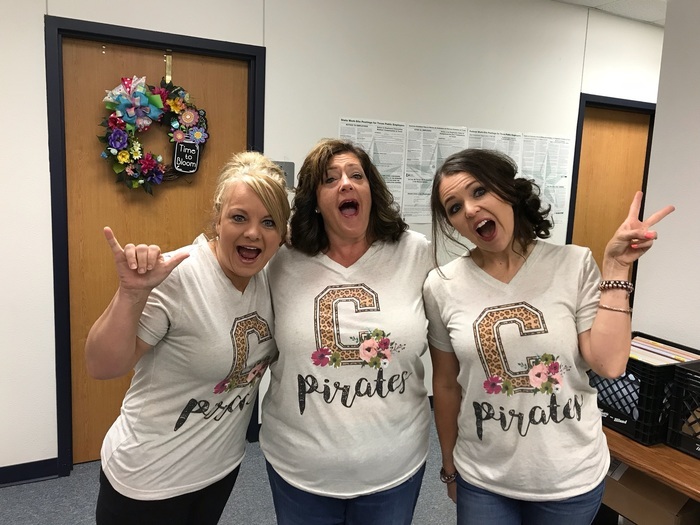 Congrats to the 62-member Crawford Pirate Academic UIL team and to their hard working coaches: Christy Murphy, Christy Walker, Chris Wilkins, Janet Walters, Judy Smith, Kim Buie, Kirk Allen, Lisa Fisher, and Donna Lightfoot. What a day to be a Pirate! Seth is the new State Champion in Powerlifting! He went 710 in the squat, 405 in the bench and 605 in the dead lift to win by 20lbs! Good Luck to Seth Kohlscheen and Coach Jacobs! 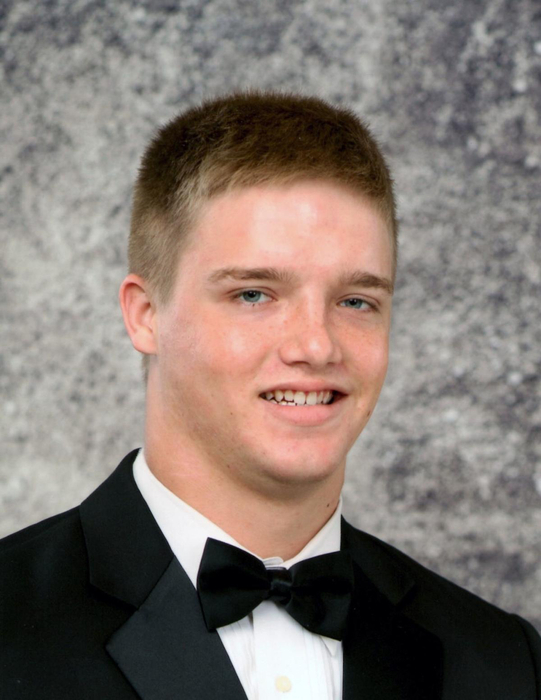 Seth competes at the Boys State Powerlifting Meet tomorrow that will be held in Abilene at the Taylor County Expo! Congrats to the following who received individual acting awards at tonights Bi-District OAP contest! Luke Westerfield was Best Actor. Dawsen Holly was All-Star Cast. Kristen Bernhardt and Silas Cunningham were Honorable Mention All-Star Cast. Carolyn Reynolds was All-Star Crew. Great job to all!! Congratulations to Crawford One-Act Play Cast, Crew, and Directors! They are advancing to the Area contest that will be held March 31st at Hillsboro! Thanks to the First National Bank of McGregor! 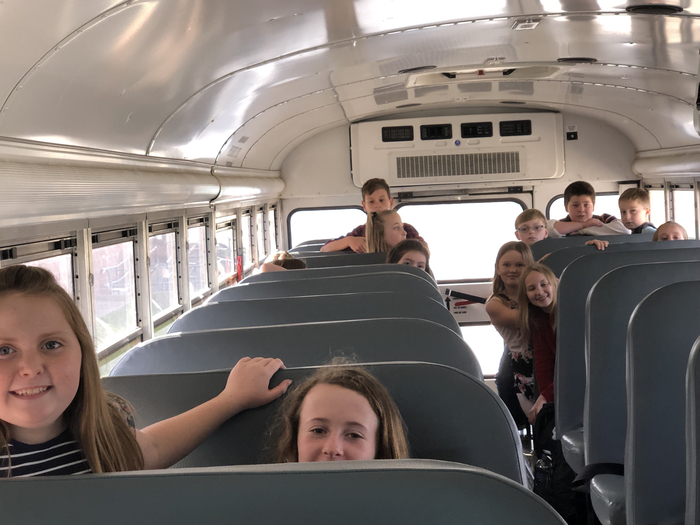 They hosted our students on their Principles of Business Field Trip today! There will be a state sendoff for Seth Kohlscheen on Friday morning around 9:40 in the High School Lobby! 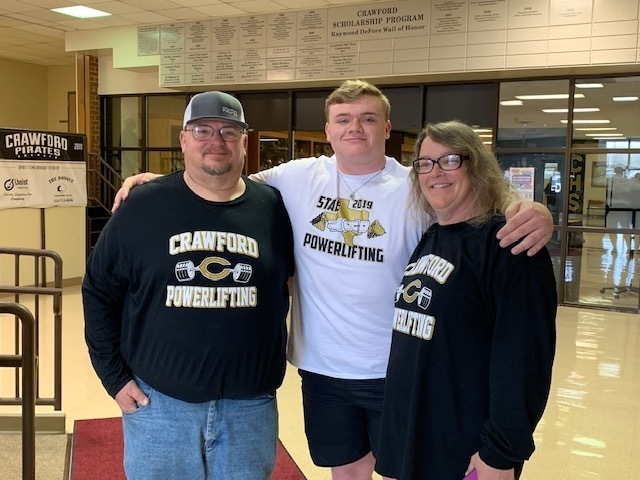 Seth will be competing at the Boys State Powerlifting Meet that will be held this Saturday in Abilene at the Taylor County Expo. Good Luck to Seth Kohlscheen and Coach Jacobs! 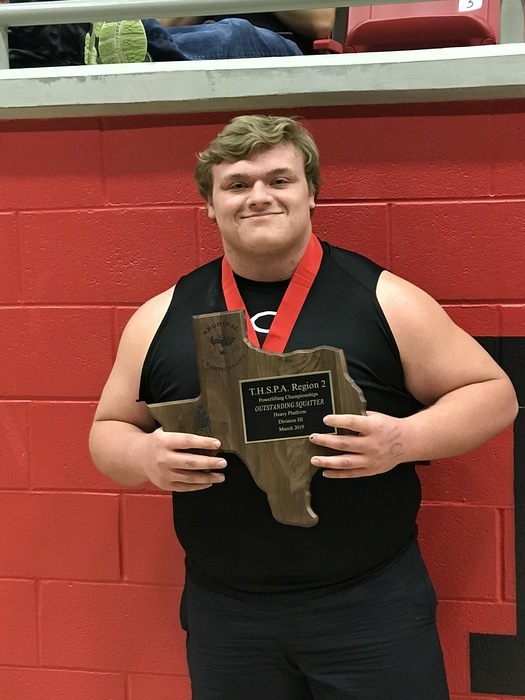 Seth will be competing at the Boys State Powerlifting Meet that will be held this Saturday in Abilene at the Taylor County Expo Center! 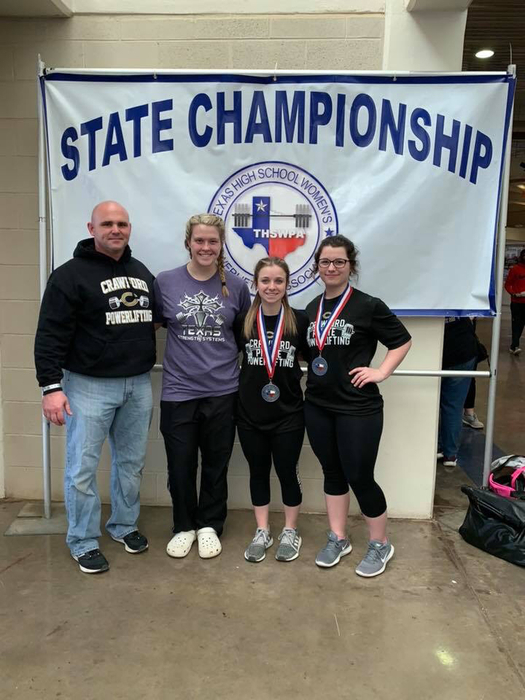 Congratulations to our Lady Pirates who competed at the State Powerlifting Meet on Saturday! All 4 placed! Kamryn Winget Placed 8th, Angela Foss Placed 4th, Sadey Paniagua Placed 8th and Kealey Witt placed 4th in her weight class! It was a Great Day to be a Lady Pirate! 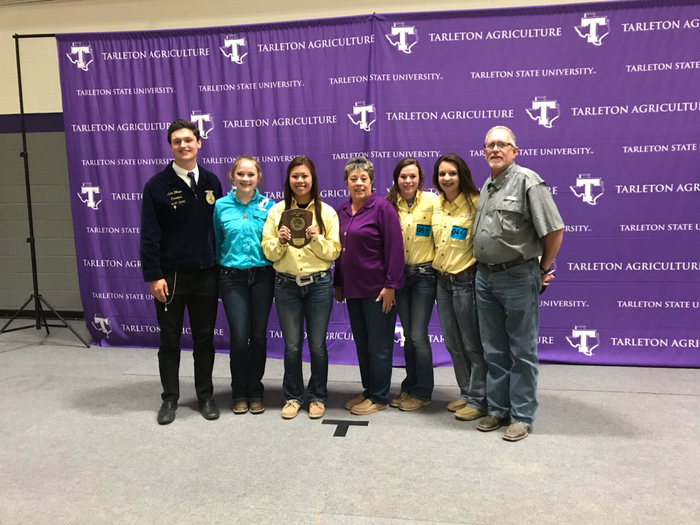 Congrats to Mr. Hunter and his Dairy judging team! 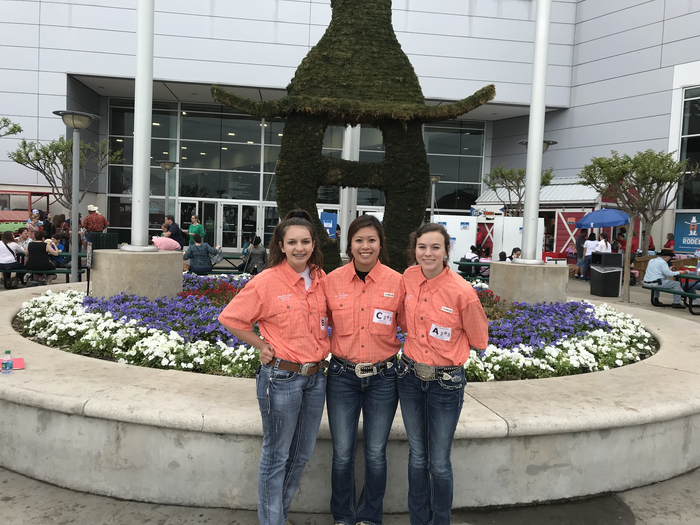 They placed 9th out of 66 teams at the Houston Livestock Judging Contest! Members are Kinze Reich, KC Le and Jeanette Meyer. Good luck to Kamryn Wingett, Kealy Witt, Sadie Paniagua, Angela Foss, and Coach Abel! 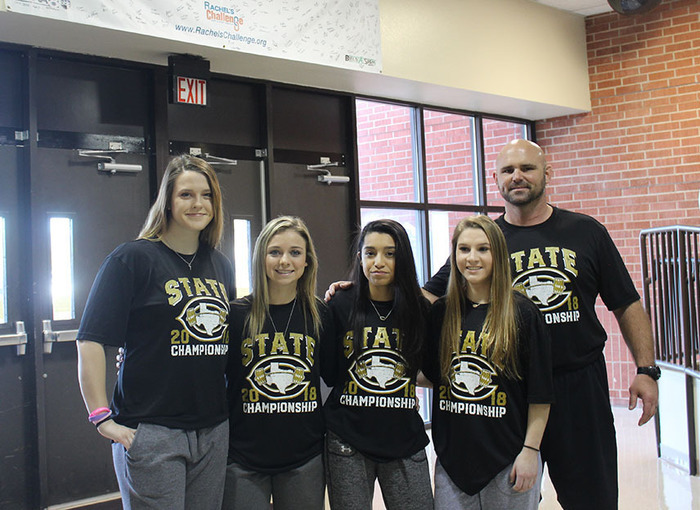 They will be participating in the State Powerlifting Meet that will be held tomorrow at the Extraco Events Center in Waco. 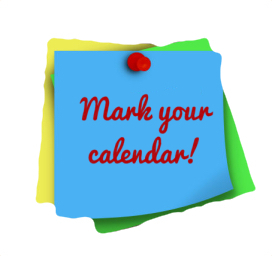 Event kicks off at 8 a.m.
An important parent meeting regarding the MCC Dual Credit program will be Wednesday, March 21 at 6:00 pm in the high school library. Parents of first-time dual credit students are encouraged to attend. Students may attend with parents if they would like to. An MCC representative will present information on the application process, TSI assessment, courses available, and other topics. 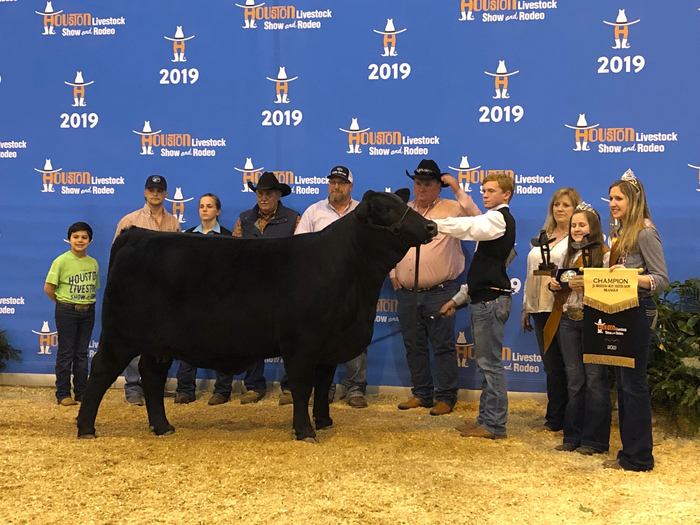 Mason Perry won Champion Heifer at Houston!! Congratulations Mason! Congrats to Kinze Reich! 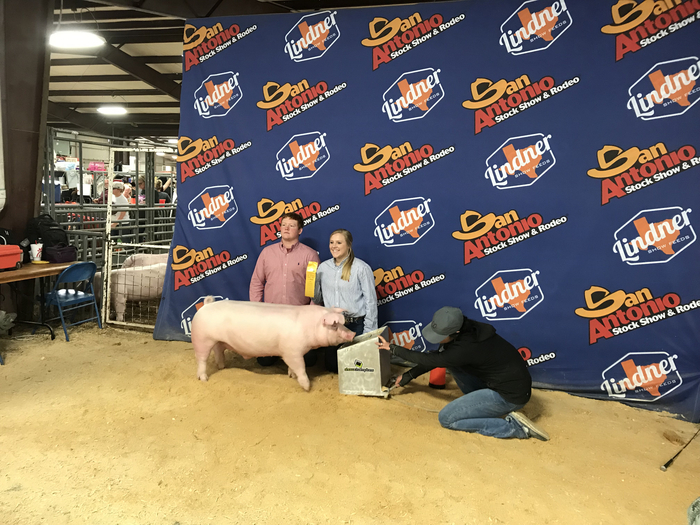 She got 2nd place cross swine at Houston! 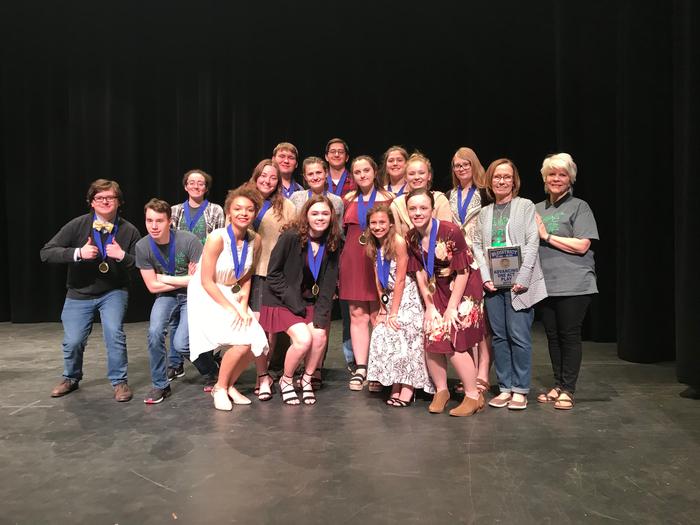 Congrats to the followong students who won Individual Awards at District OAP! Tristan Johansen was All-Star Crew. Honorable Mention All-Star Cast: Dawsen Holly, Kristen Bernhardt, and Silas Cunningham! Marlon Melean got All-Star Cast! Luke Westerfield was Best Actor! Great job to all!! Congratulations to Crawford One-Act Play! They are advancing to Bi-District which will be held next Wednesday at the Temple CAC! 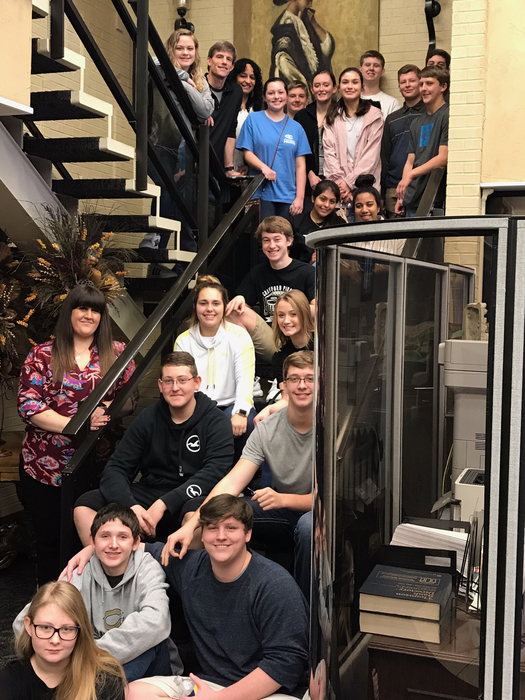 Business Law classes had a great field trip to C3 in McGregor today! Mark Your Calendar! Elementary Spring Pictures will be taken Wednesday, March 21st. Good luck today to Silas Cunningham and to Luke Westerfield! 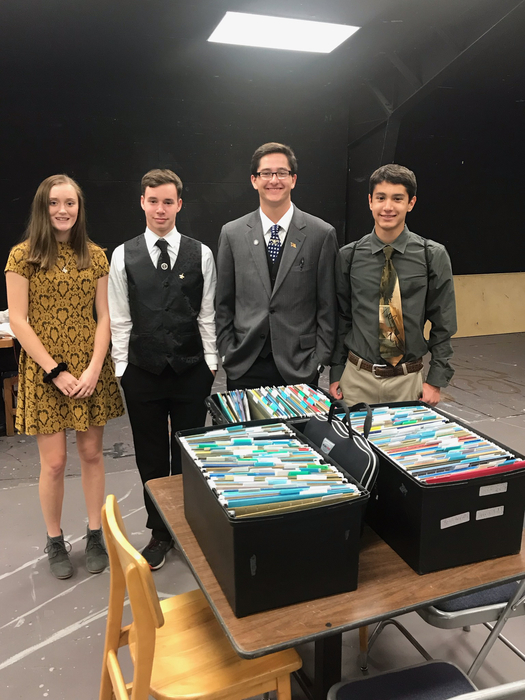 They have made the finals in the State Cross X Debate Tournament that is being held in Austin. 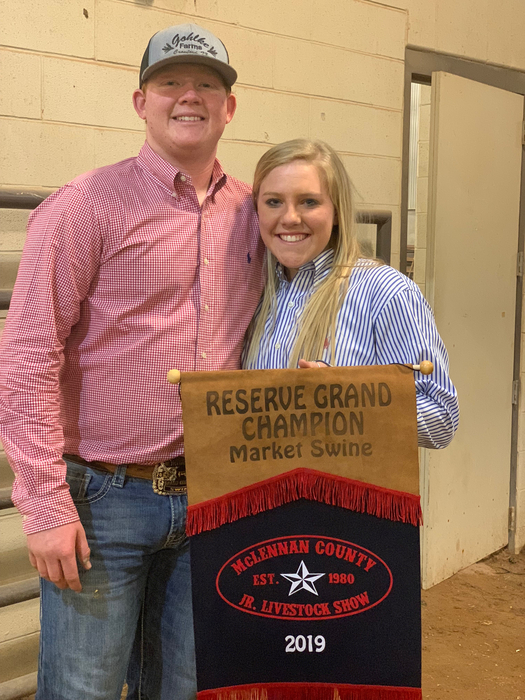 Congrats to these two and to their sponsor, Mrs. Walters. Good luck to Sadie Paniagua, Kealy Witt, Kamryn Wingett, and Angela Foss! They have qualified for the State Powerlifting Meet that will be held this Saturday! Meet starts at 8 a.m. at the Extraco Events Center in Waco. There will be a sendoff for them in the HS Lobby starting around 9:45 on Friday morning. 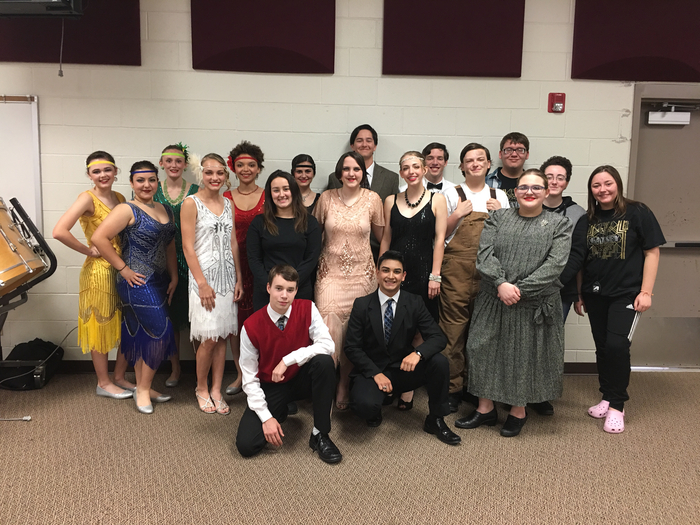 Crawford One-Act Play presents: The Great Gatsby by Simon Levy! 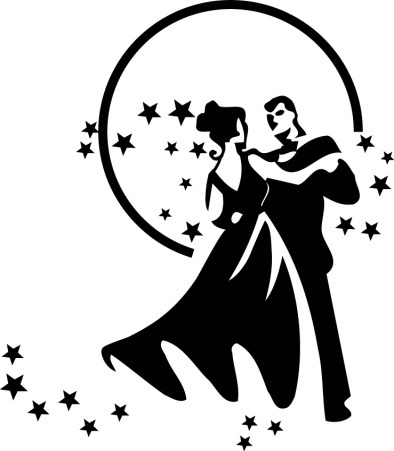 The community performance will be tomorrow, March 11th, at 3 p.m. in the HS Cafeteria. We hope you can join us! 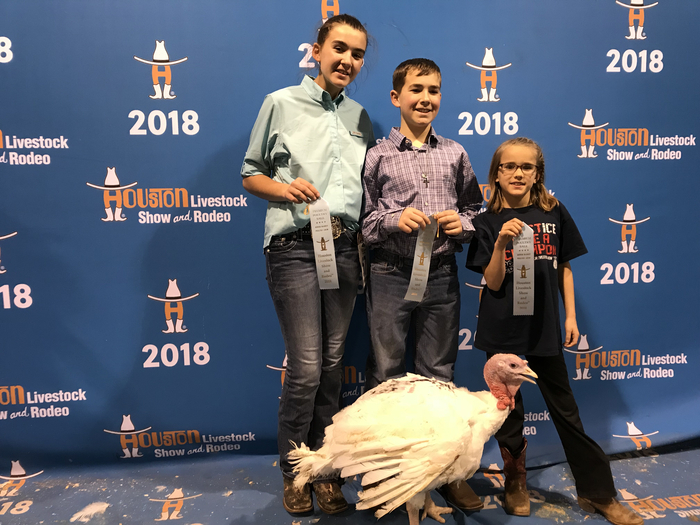 Congrats to Megan, Jared, and Kylie Ray!Earlier this week they placed 50, 31 and 17th and all qualified for the sale at the Houston Livestock Show! Crawford Elementary will be conducting a lockdown drill this morning. Please be aware this is only a drill. This drill is just part of many things that we will be doing this year to review security and safety of our district, staff and students. Baseball Schedule Change: March 9th with Moody has changed to March 8th (Thursday) in Moody with Varsity at 12:00 and JV to follow. 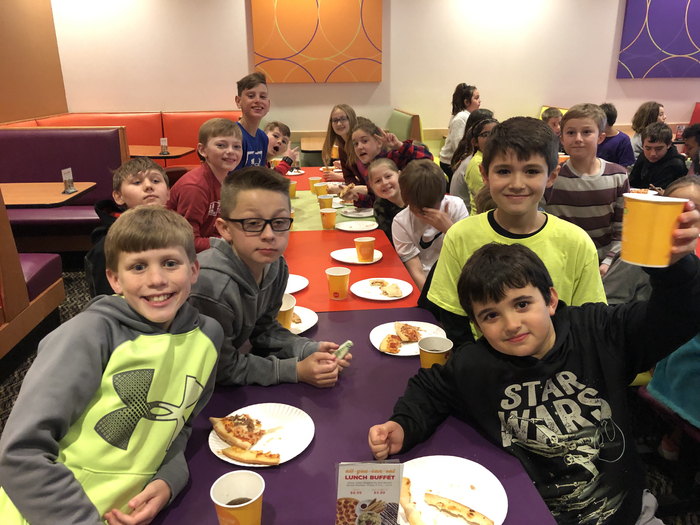 AR Celebration at Peter Pipers Pizza was a big hit this morning for the students who met their AR goal last 6 weeks! 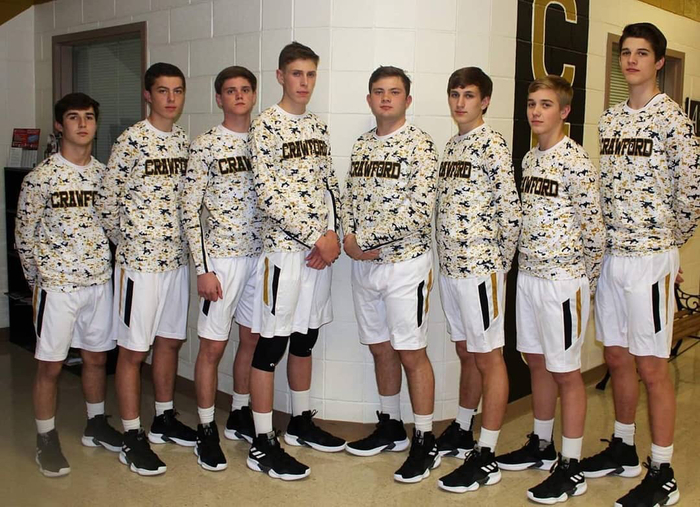 From Buffalo, class 2A Regional, Crawford fights hard and drops a close one to Lapoyner 44-39. Great season Pirates! 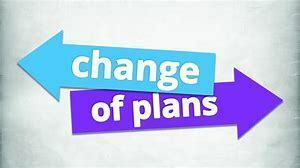 Schedule Changes this week: Tomorrow nights softball games vs Bosqueville have been cancelled. 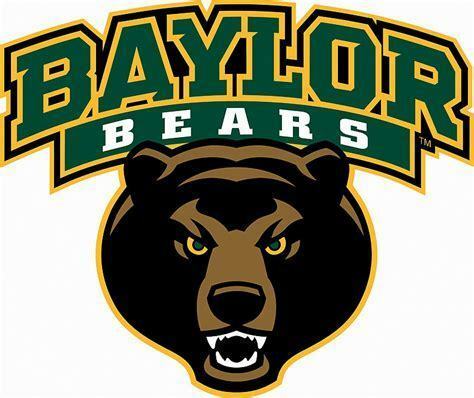 Tennis will be playing in Waco on Friday instead of on Thursday. Girls Regional Powerlifting Meet will be held in Temple instead of Academy on Saturday at 8:45 a.m. at the Ralph Wilson Youth Center. 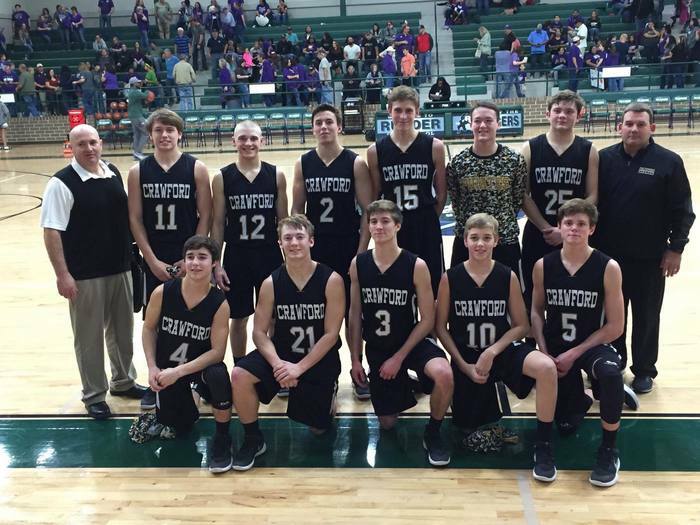 Pirates Regional Quarterfinal playoff game vs LaPoyner will be tomorrow night (Tues. Feb. 27th) at 7 p.m. at Buffalo. GO PIRATES! Haley Vaughn received her plaque this morning for being selected as the TGCA 1A-4A Volleyball Player of the Year! Sam Tipton, the Executive Director of the Texas Girls Coaches Association presented Haley with the award. Congratulations again to our Lady Pirate on this outstanding recognition! With the boys basketball team winning tonight, Baseball will play a varsity only game Monday in Georgetown at 5:30. Congratulations to our Area Champion Pirates! They defeated Big Sandy 36-34! A big congratulations go out to two of our Sophomore Lady Pirates who earned top honors in Basketball All-District! Congrats to Peyton Elmore who was named the District MVP and also to CeCe Villa who was named the Offensive Co-MVP!